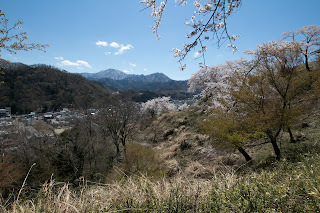 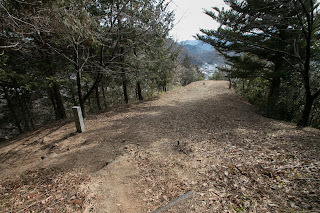 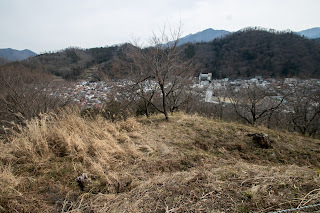 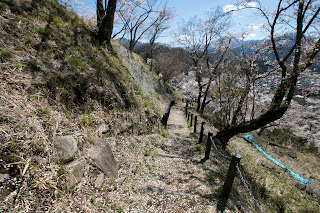 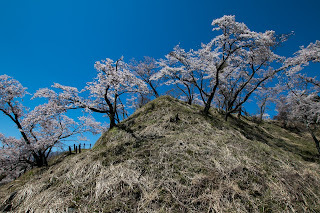 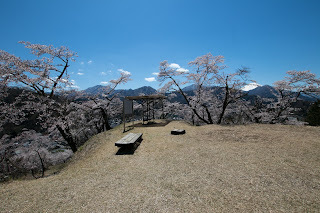 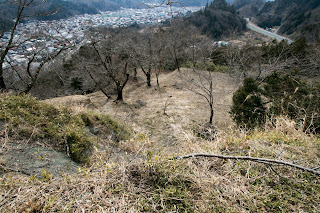 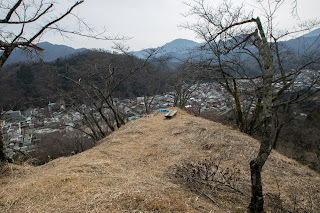 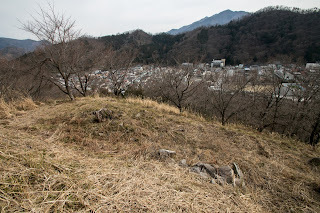 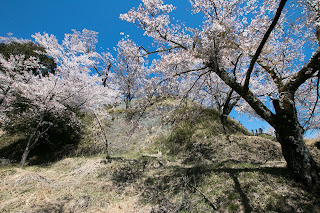 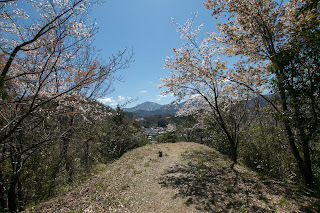 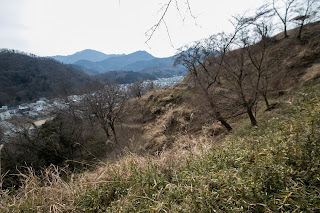 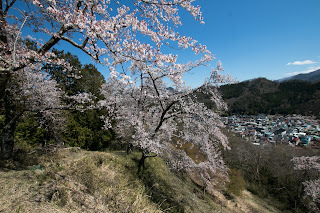 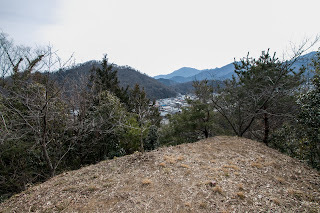 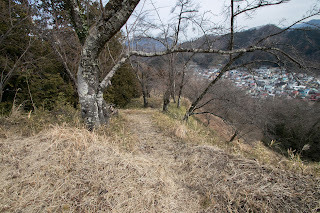 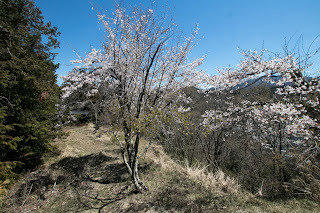 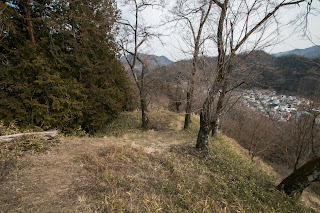 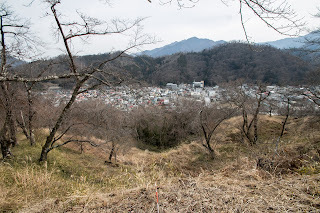 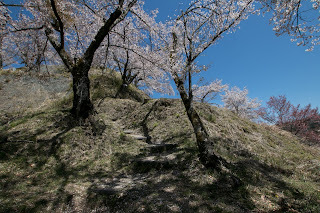 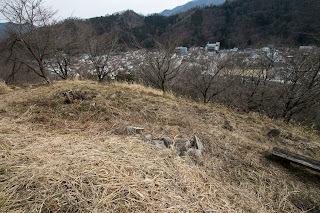 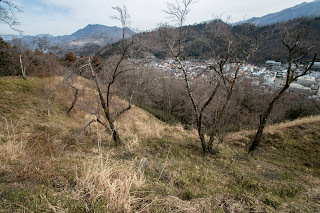 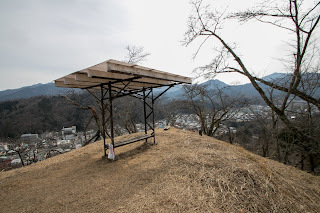 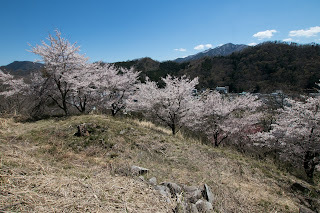 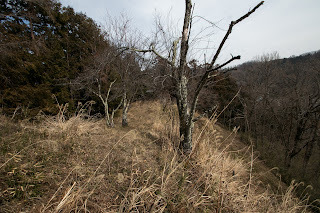 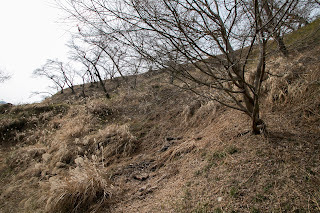 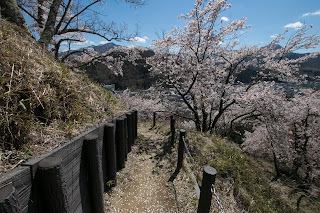 Katsuyama castle (勝山城) is built over Shiroyama mountain, one of about 100 meter height from hillside at the center of Tsuru city where Katsura-gawa river curved like 90 degree rotated "Ω" letter. 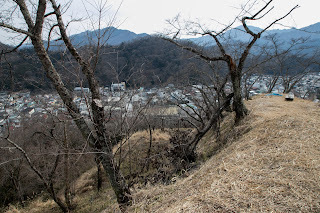 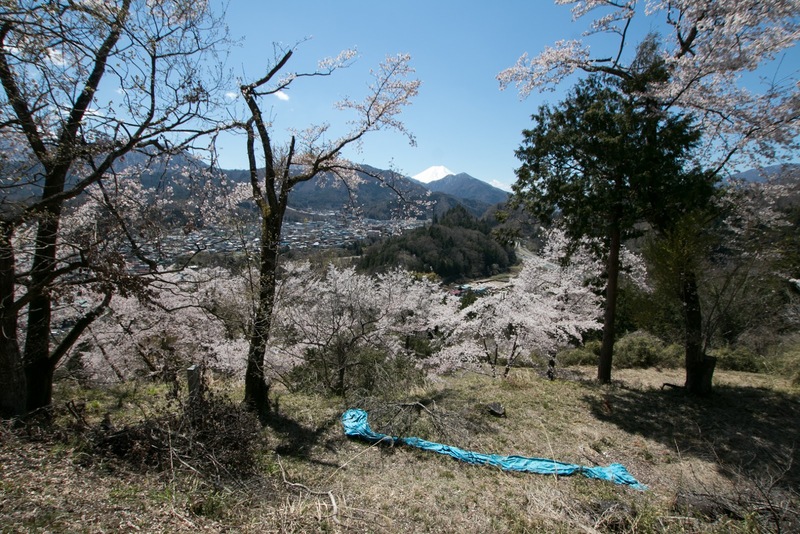 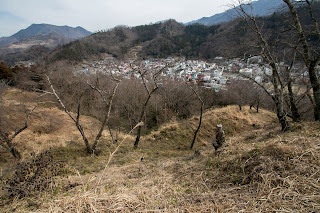 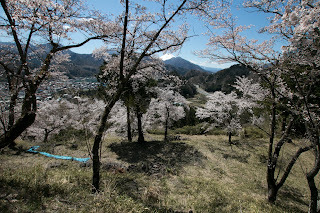 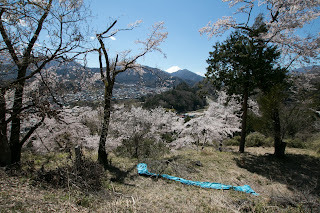 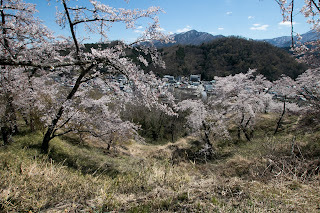 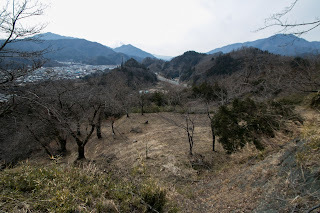 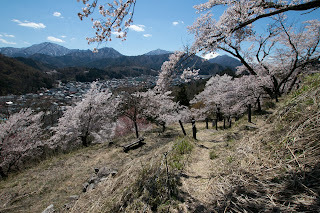 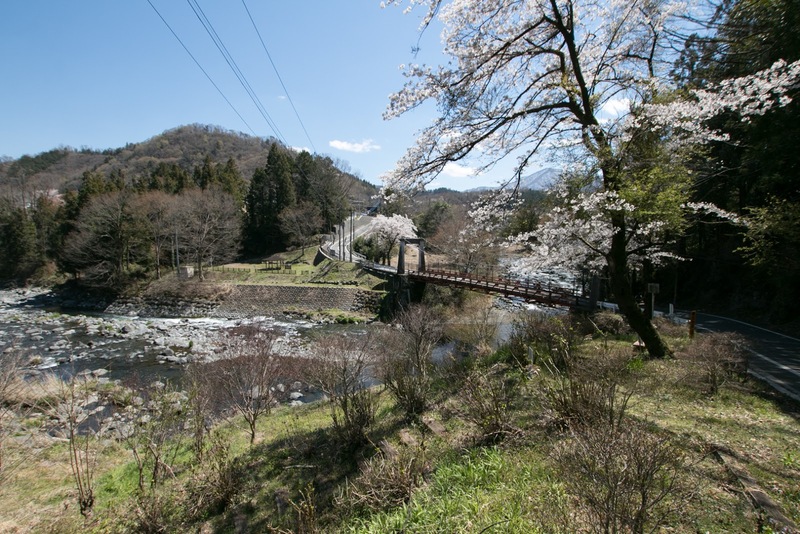 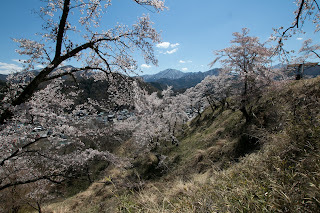 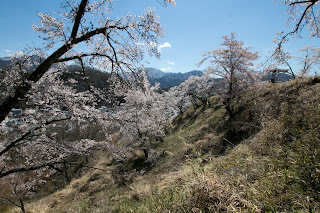 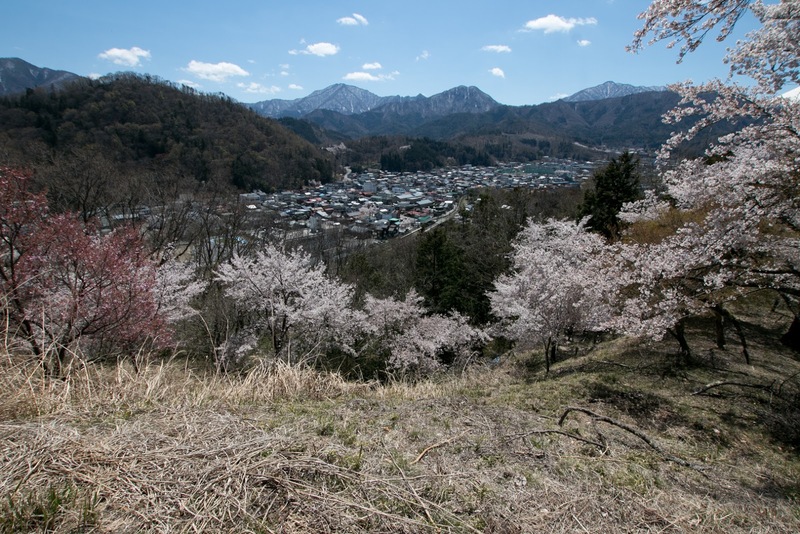 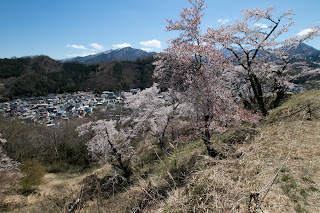 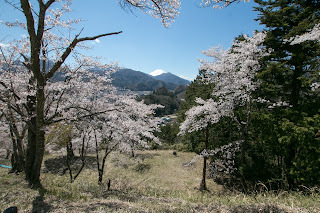 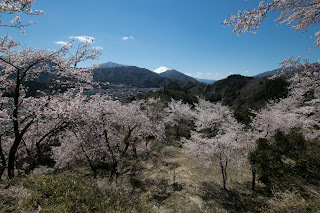 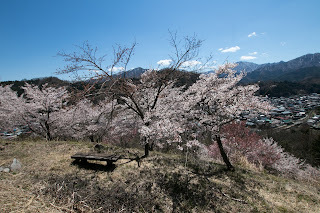 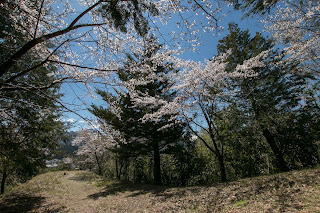 Tsuru city places at the middle of the valley of Katsura-gawa, the upstream of Sagami-gawa river flows from the north side slope of Mt. 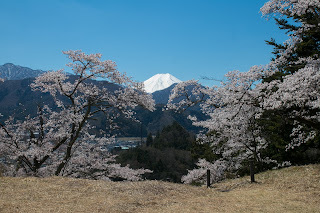 Fuji toward Pacific Ocean. 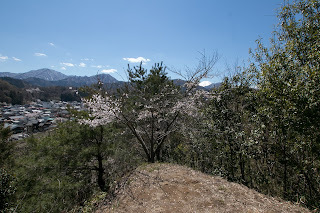 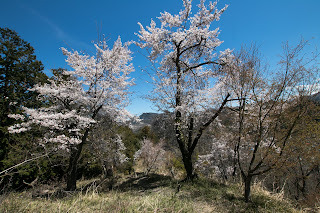 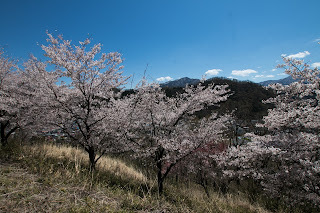 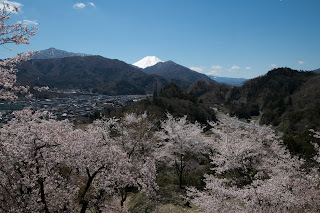 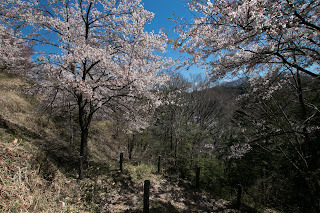 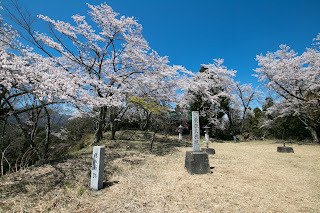 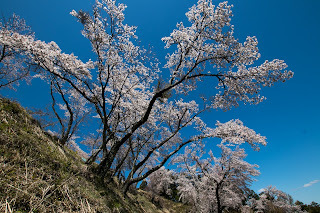 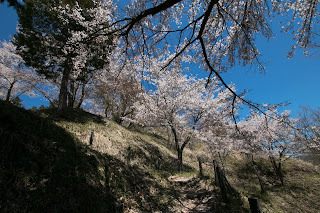 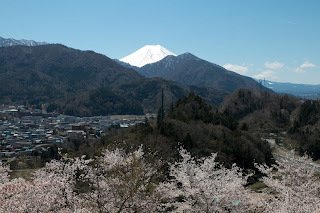 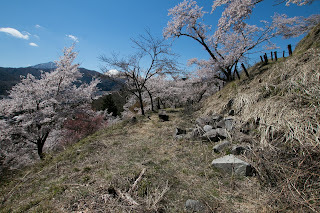 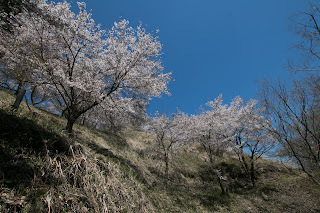 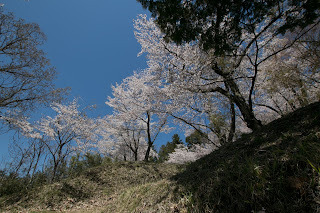 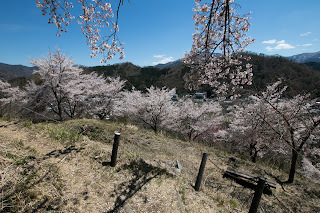 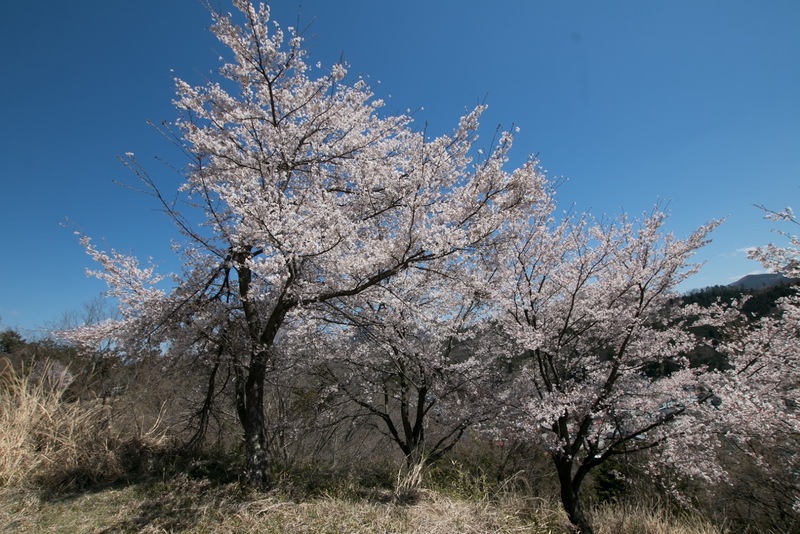 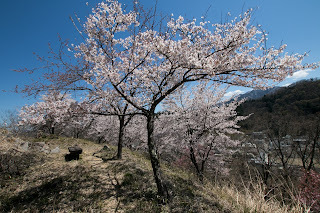 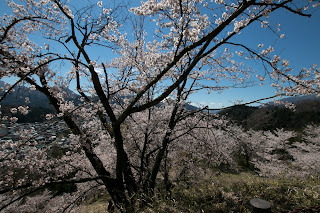 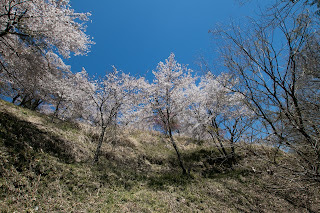 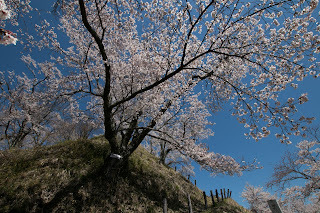 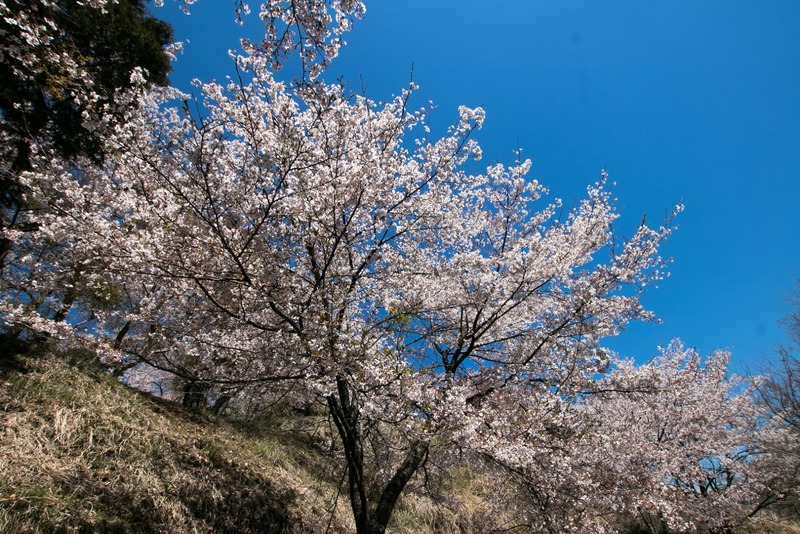 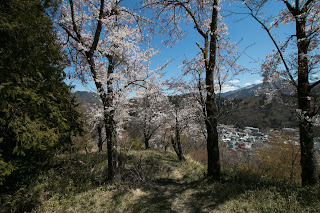 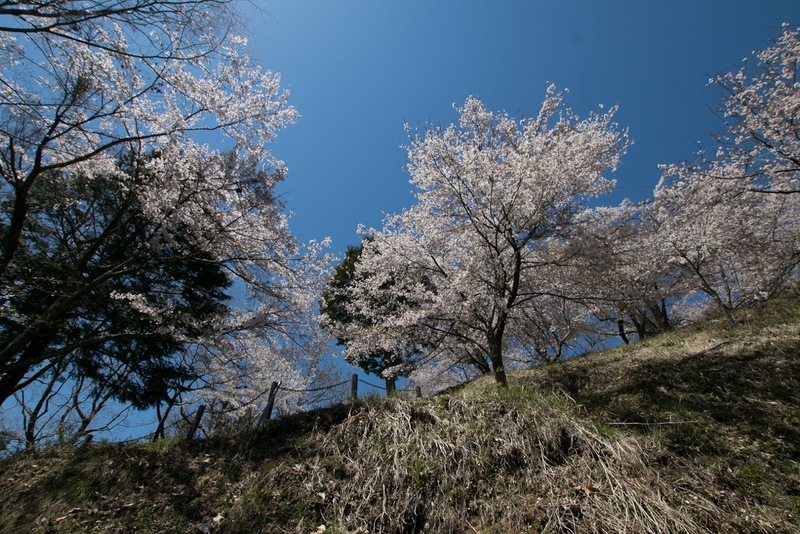 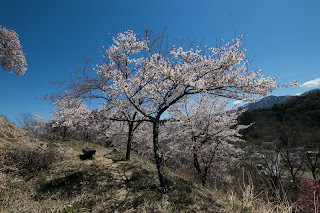 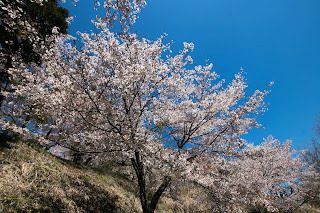 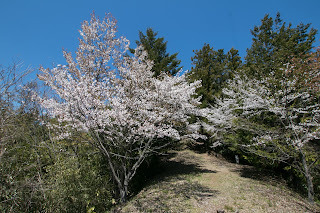 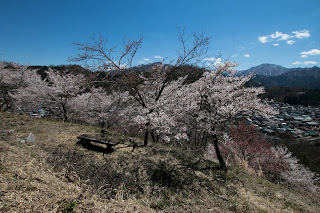 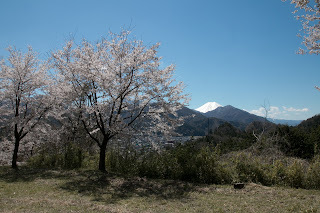 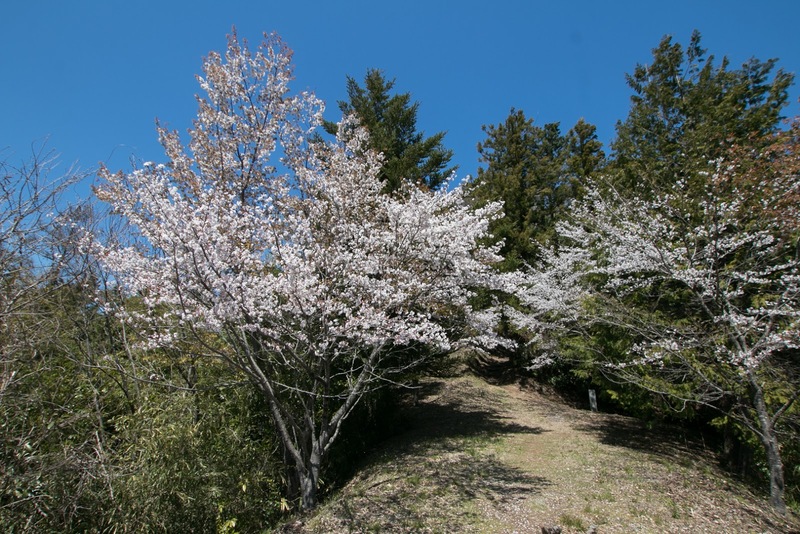 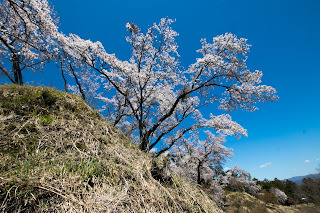 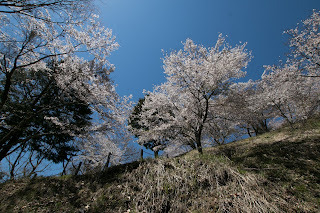 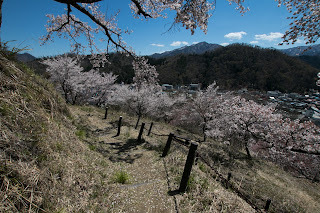 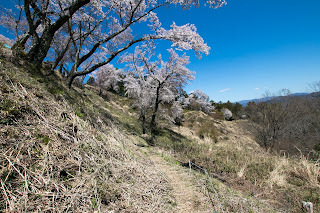 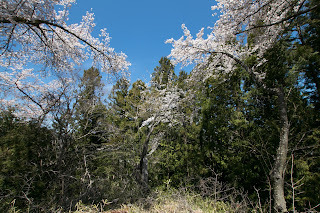 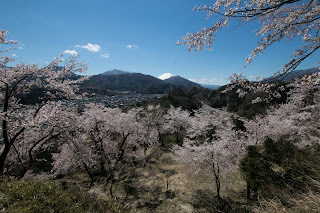 Tsuru city exists along with Fujimichi road, a bypass road which diverges from Kosyukaido road that connected Edo city and Kofu city at Otsuki area, and merges to Kamakura-Kaido road which starts from Kofu city to Odawara area or Kamakura area at Fuji-Yoshida city. 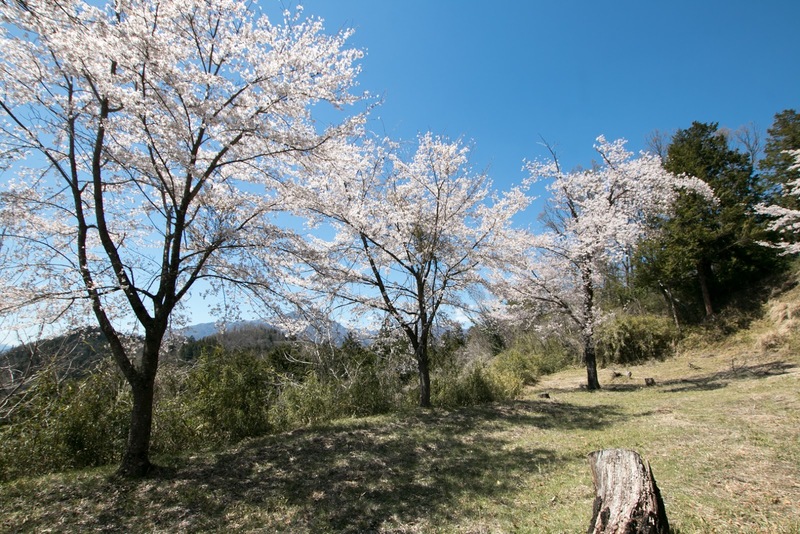 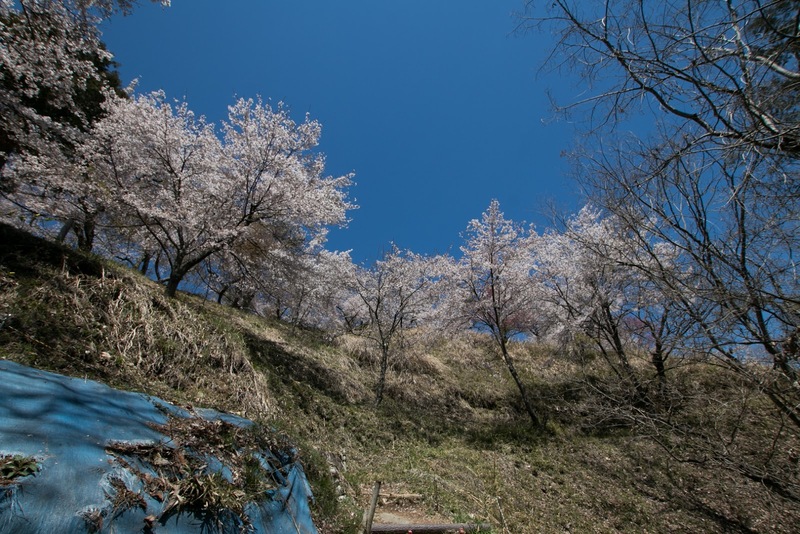 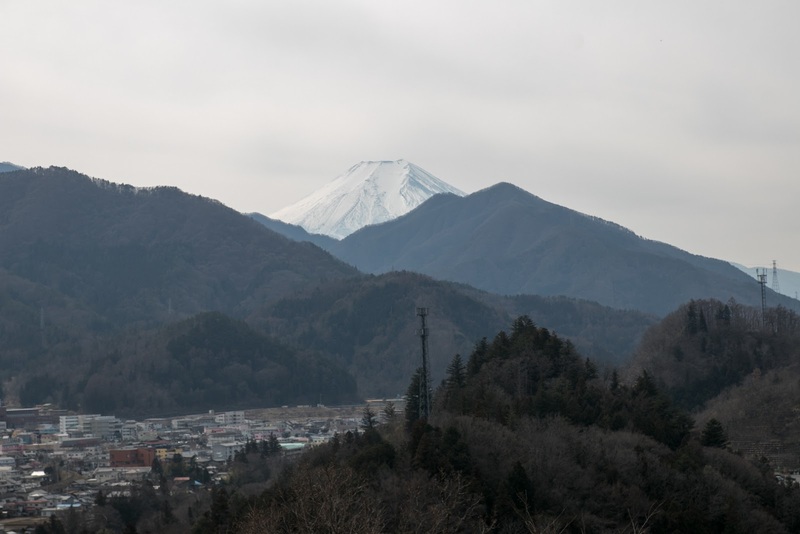 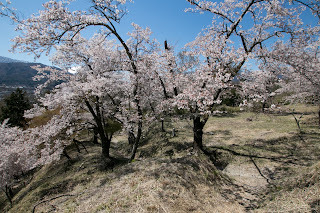 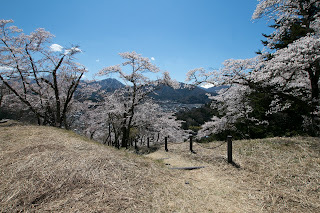 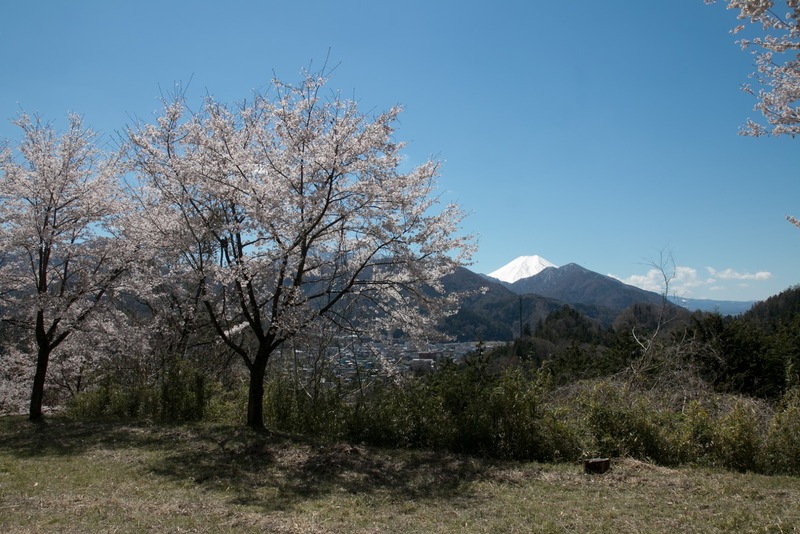 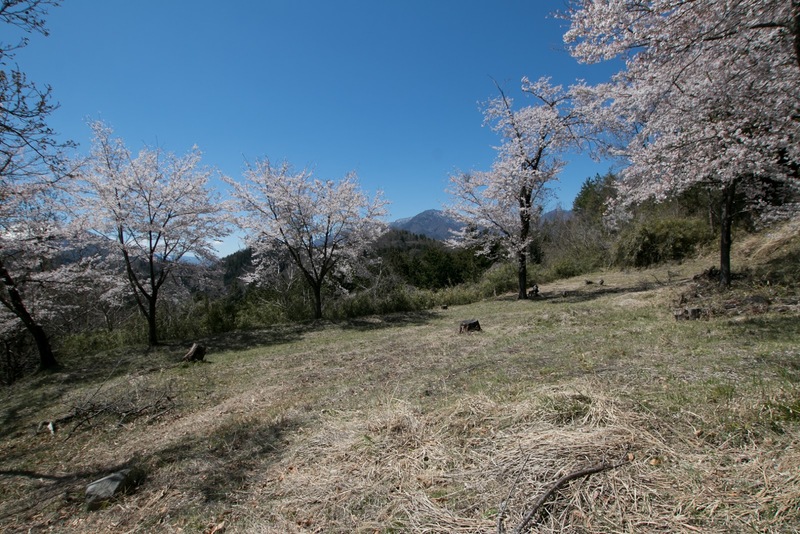 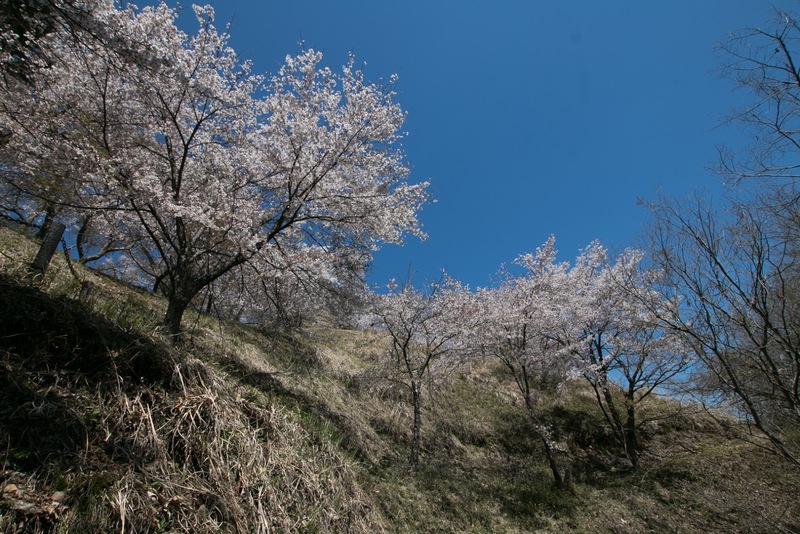 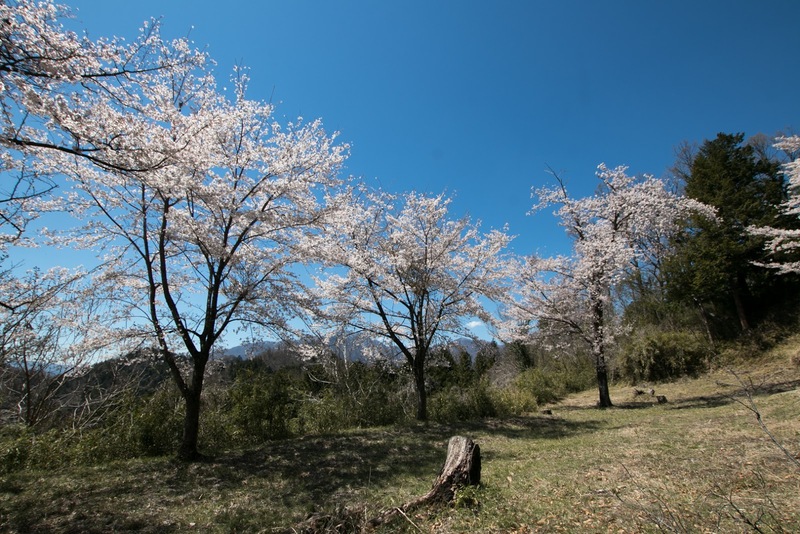 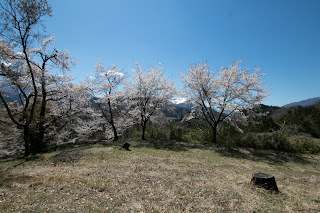 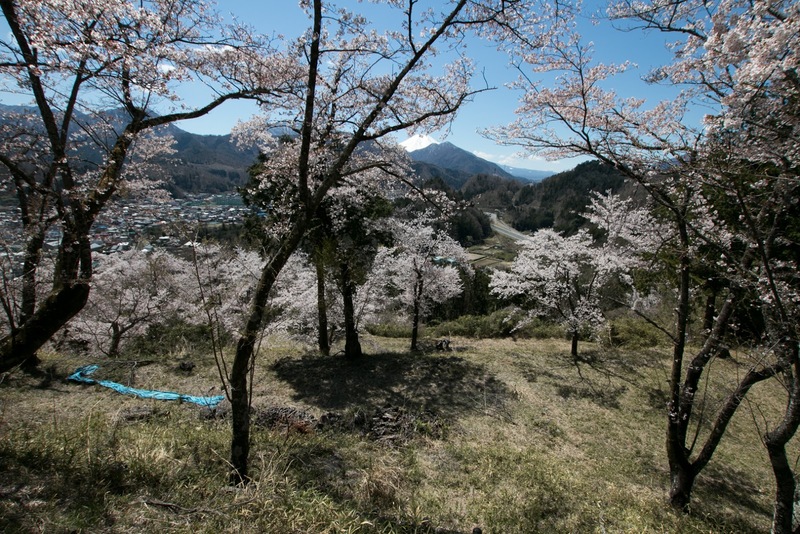 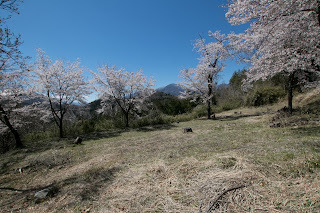 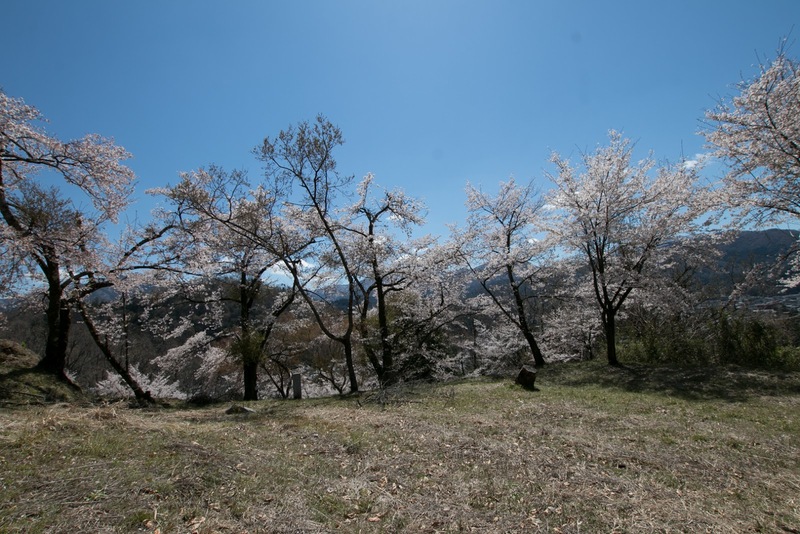 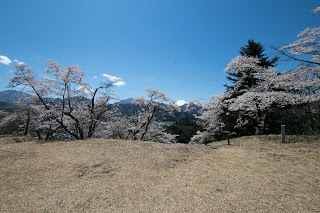 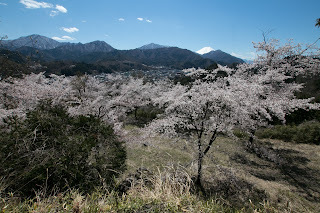 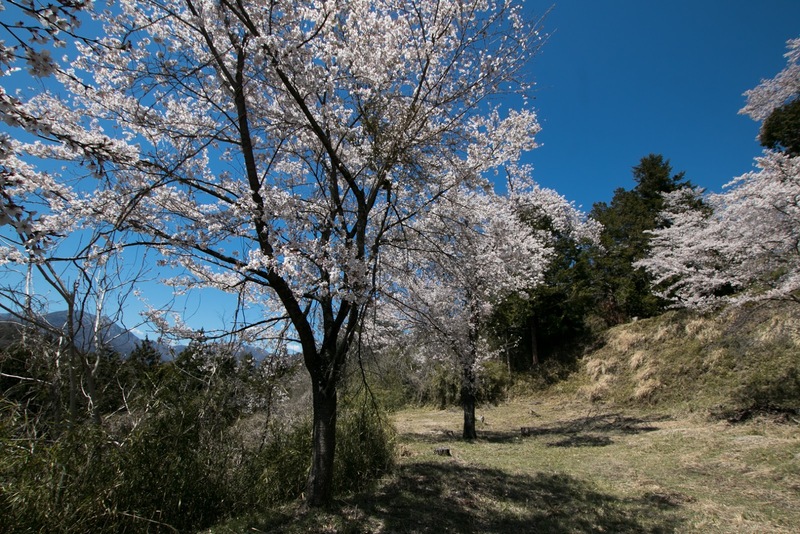 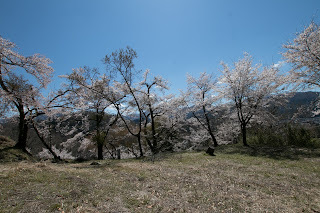 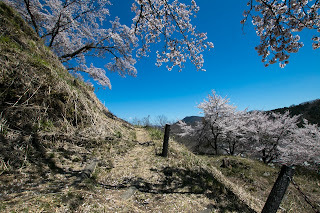 Because of this geographical condition, Tsuru area is an appropriate place to manage whole part of Gunnai area, the eastern part of Kai province (Yamanashi prefecture) and its local transportation. 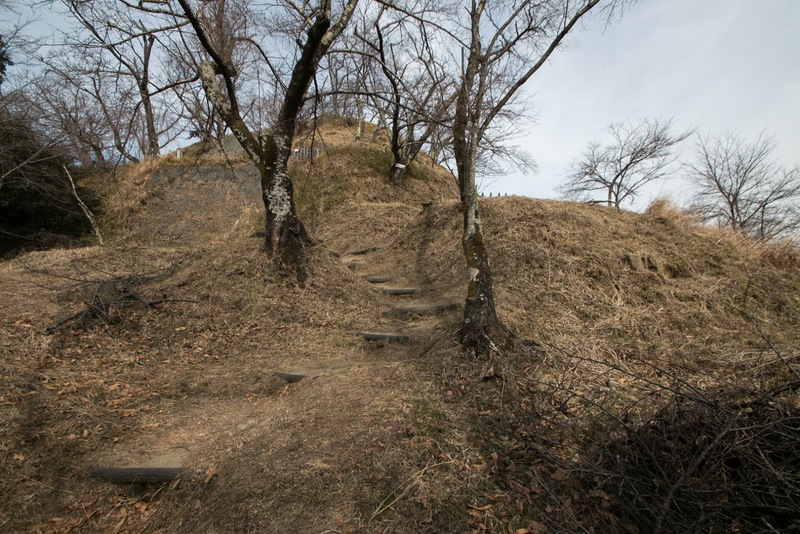 It is said that Katsuyama castle was originally built as a backside fortress of Yamura residence by Nobuari Oyamada (1519-1552), the local lord of Gunnai area in 1532. 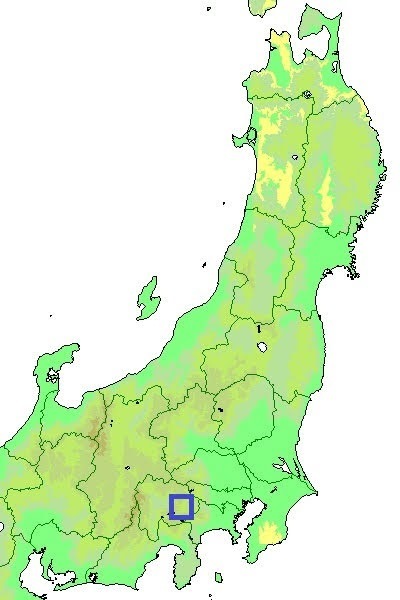 Origin of Oyamada clan is unknown but said as a descendant of Taira clan and was originally a local lord of Chichibu area at current Saitama prefecture. Oyamada clan activated at many battles under Yoritomo Minamoto, the founder of Kamakura Shogunate (1147-1199) then achieved many territories, but was almost ruined being involved in political conflict. After that the situation of Oyamada clan became unknown for about 200 years, but one family of their descendant might move to Gunnai area including Iwadonoyama castle, one of three large flat areas of Kai province at its eastern edge, and gradually grow their territory. 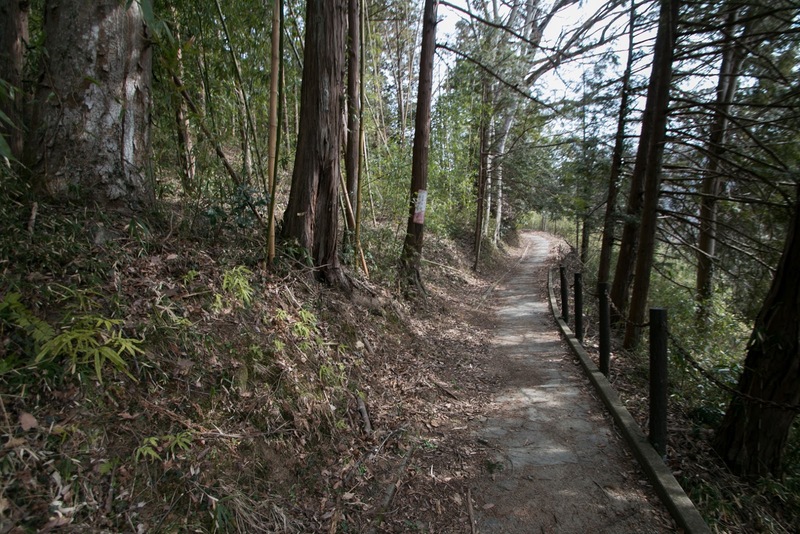 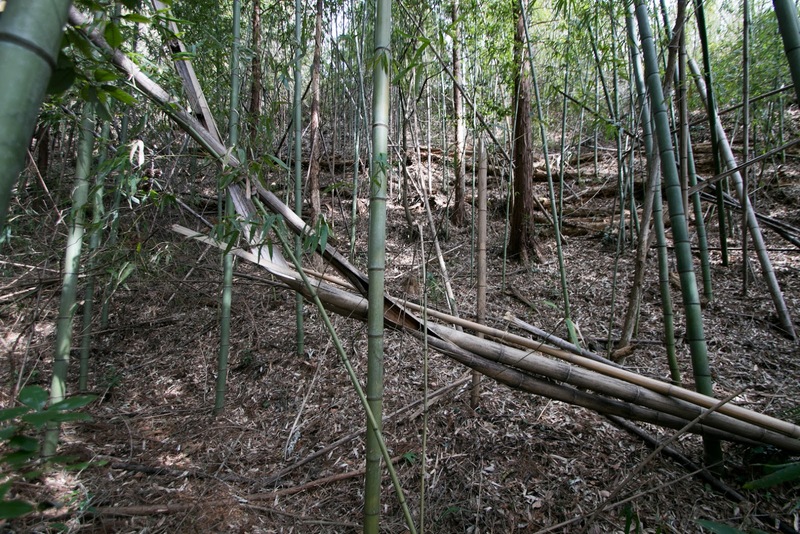 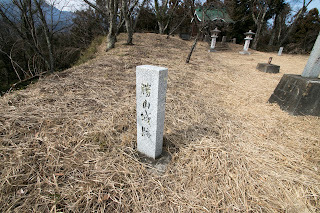 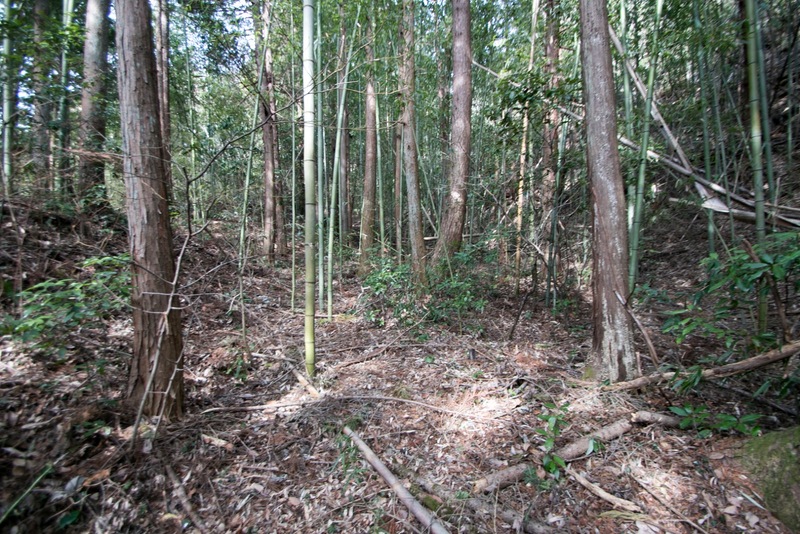 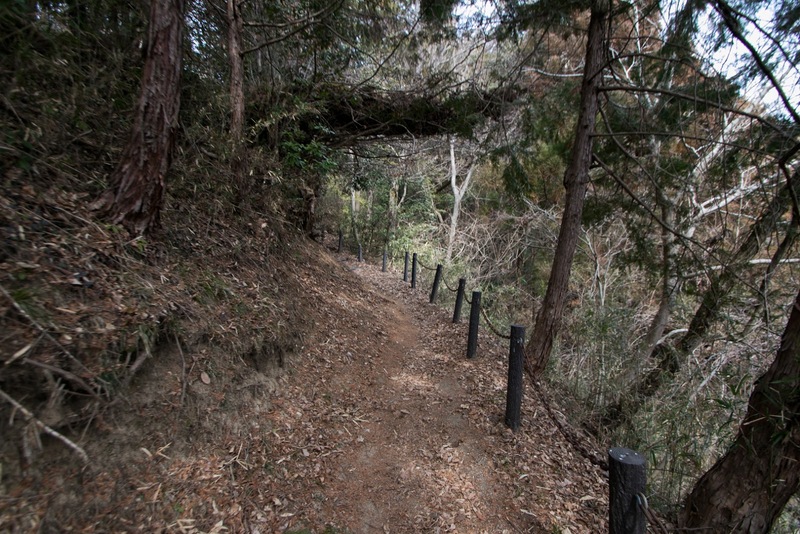 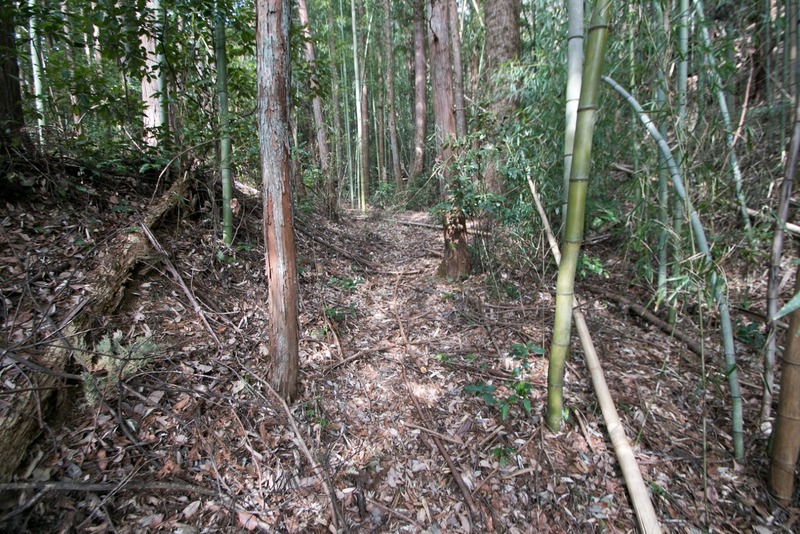 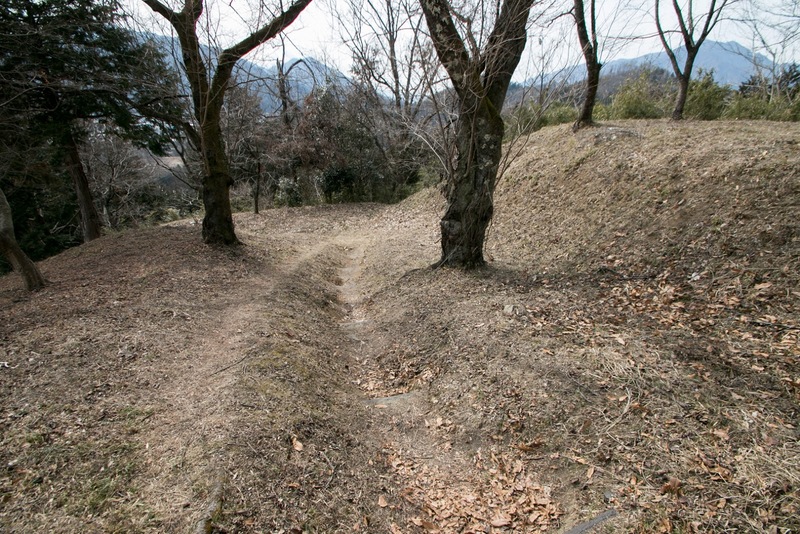 By the end of 14th century, Oyamada clan became a major local retainer of Kai province reigned Gunnai area. 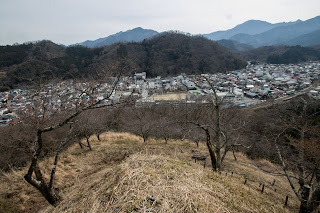 At Kai province, after the decline of South Court supporters, Takeda clan which was a distinguished family of Minamoto clan since Nobumitsu Minamoto (1045-1127), was appointed as the governor of province. But in 15th century Takeda clan was involved in the revolt of Zenshu Uesugi (?-1417) and once subjugated. 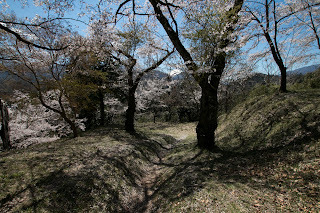 Later Muromachi Shogunate restored Takeda clan but their power was weak because of conflict with deputy governor Atobe clan or internal conflicts. 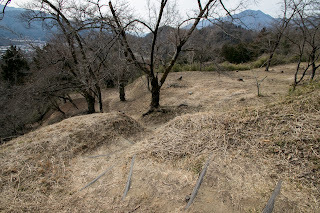 Looking at the disorder of Takeda clan, major local lords of Kai province such as Anayama clan or Oyamada clan tried to become independent lord. 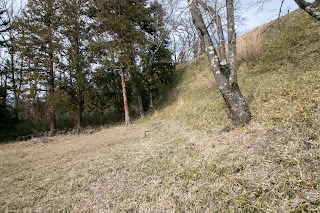 But since the end of 15th century, leaders of Takeda clan such as Nobumasa Takeda (1447-1505) or his grandson Nobutora Takeda (1494-1574) proceeded centralization strongly. Facing pressure from Nobutora Takeda, Oyamada clan once attacked Kofu basin where was the main territory of Takeda clan but was defeated. 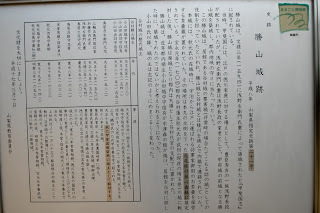 Furthermore, in 1510, Nobutora Takeda reversely intruded into Gunnai area, and inferior Oyamada clan had to subordinate to Takeda clan. 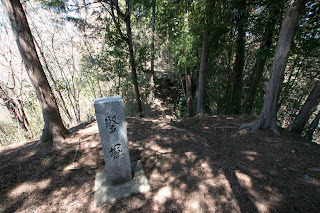 Oyamada clan became a marital relative of Takeda clan and followed but still kept authority for internal administration. 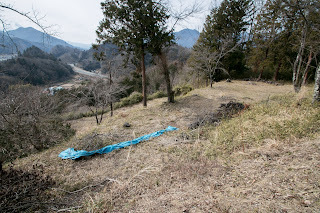 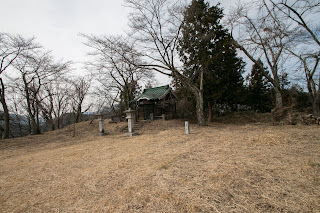 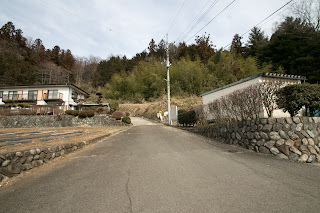 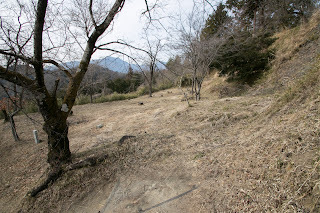 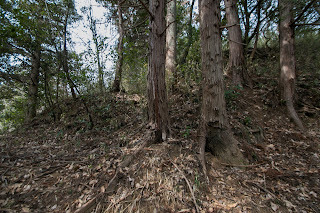 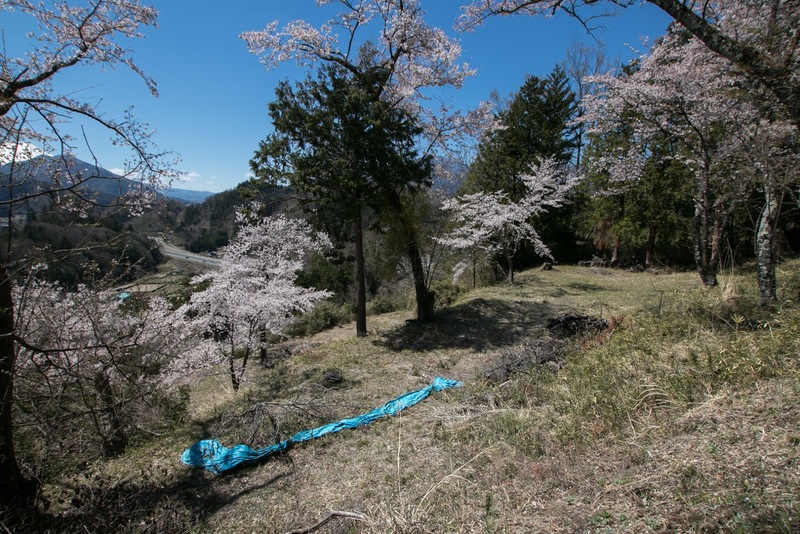 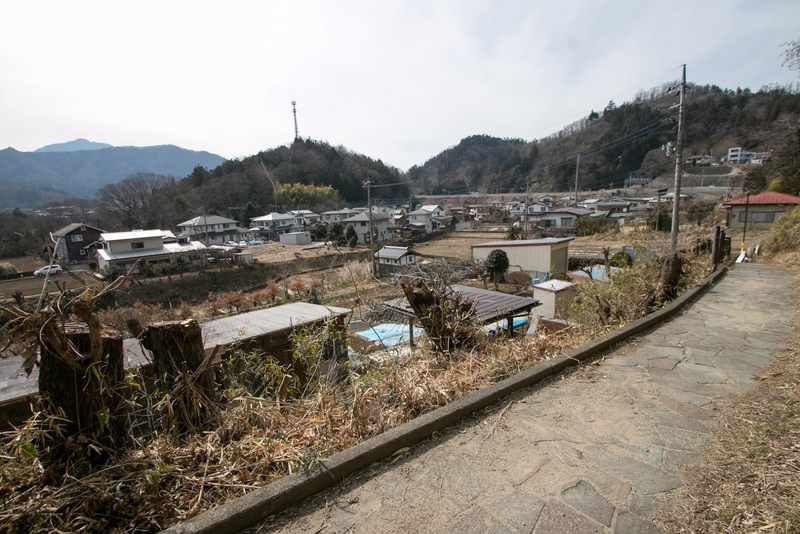 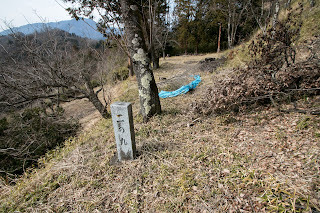 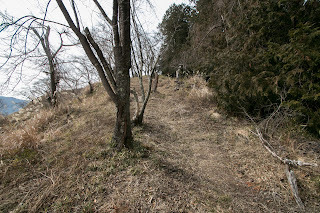 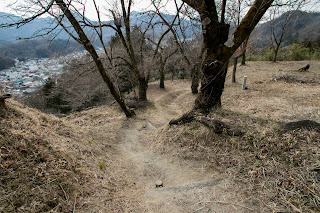 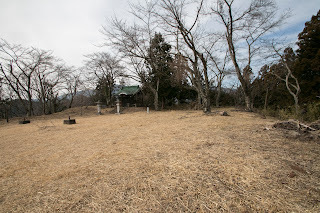 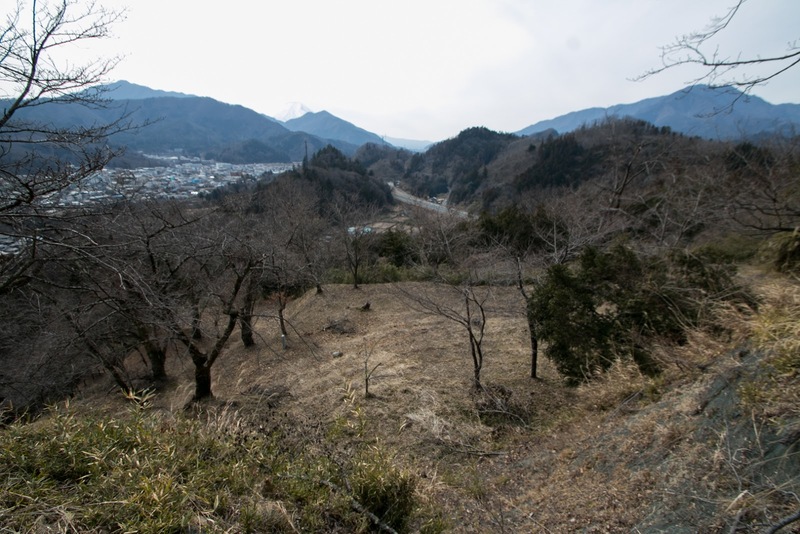 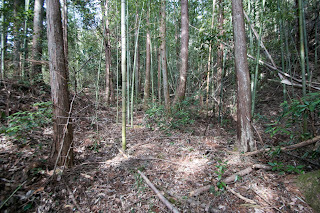 Oyamada clan fixed their position as an important retainer of Takeda clan moved their residence from Nakatsumori residence at western edge of Tsuru area to Yamura residence at the center of Tsuru city, at the opposite of Katsura-gawa river from Katsuyama castle. 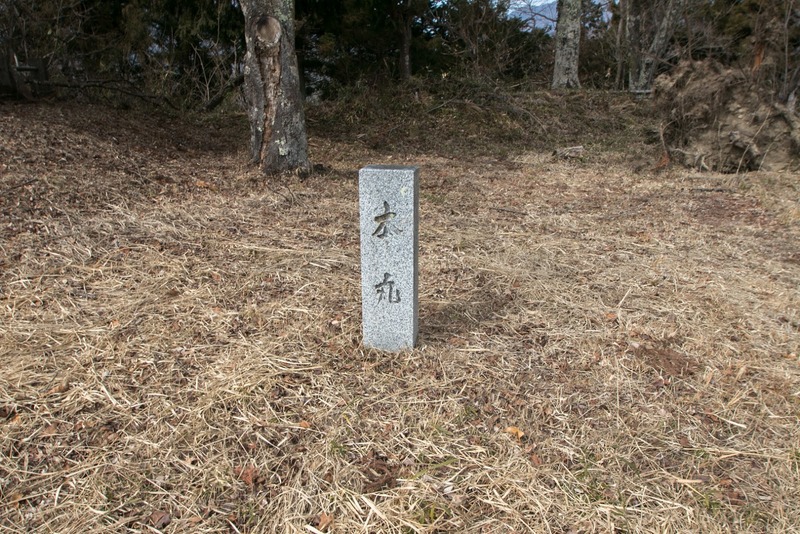 In 1541, Harunobu Takeda (1521-1583, later Shingen Takeda), the eldest son of Nobutora, expelled his father to Imagawa clan then became the leader of Takeda clan. 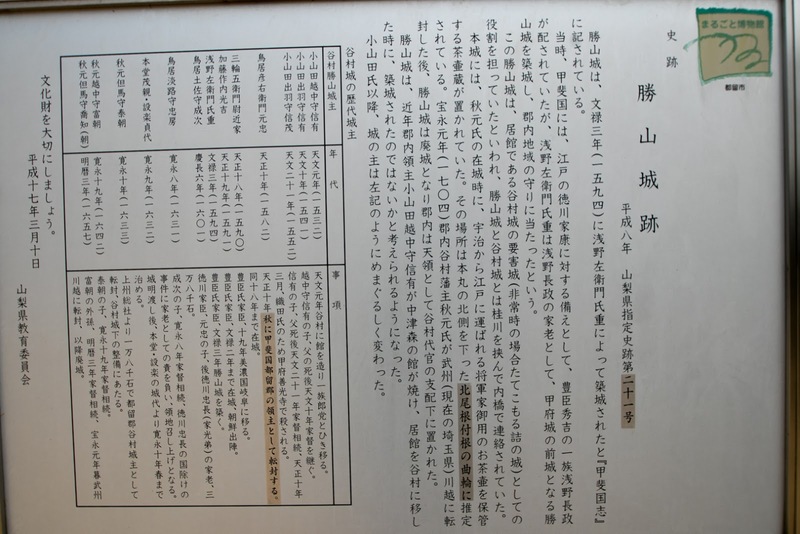 Harunobu allied with Hojo clan and Imagawa clan then fixed backward, and started expansion into Shinano province. 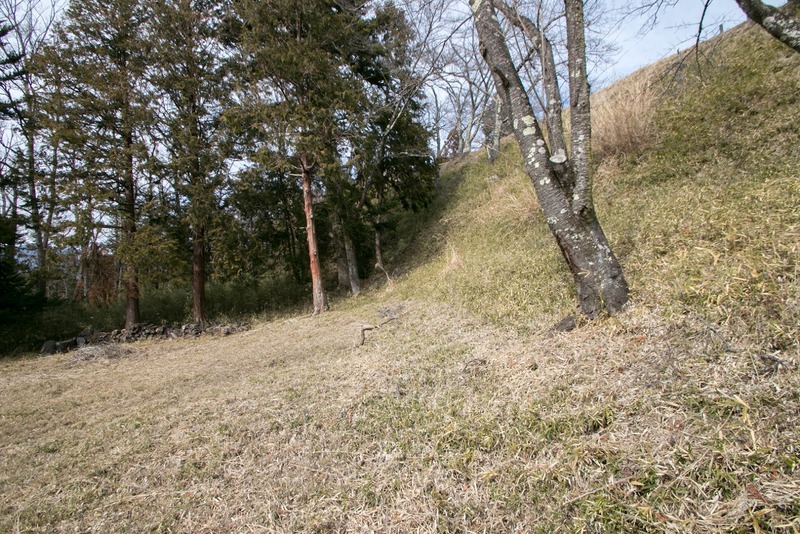 Nobuari and his son Nobushige Oyamada (1539-1582) activated at many battles of Shingen and praised their braveness. 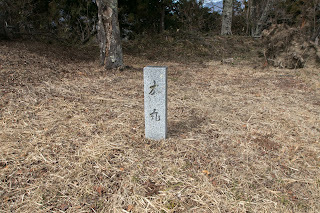 Shingen Takeda experienced many battles against strong rivals such as Kenshin Uesugi (1530-1578), Ujiyasu Hojo (1515-1571), and expanded Takeda clan into one of the largest warlord which reigned Kai province, Shinano province, Kozuke province (Gunma prefecture) and Suruga province (middle part of Shizuoka prefecture). But in 1573, on the way of campaign against central ruler Nobunaga Oda (1534-1582) and his ally Ieyasu Tokugawa (1543-1616) toward Kyoto city, Shingen died in ill.
After the death of Shingen, his successor Katsuyori Takeda (1546-1582) aggressively fought against strengthening Nobunaga and Ieyasu, but suffered fatal defeat at the battle of Nagashino occurred in 1575. 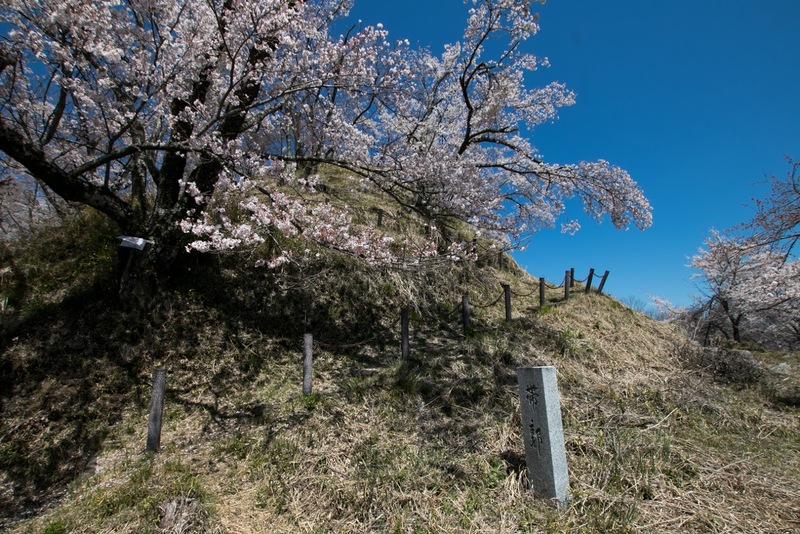 Katsuyori made desperate effort to keep Takeda clan for seven years, but was finally attacked by overwhelming Oda and Tokugawa army then ruined in 1582. 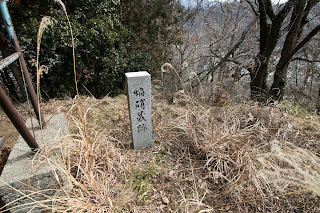 Nobushige Oyamada was killed by Nobunaga at this time, and Heroic Age of Kai province ended at this time. 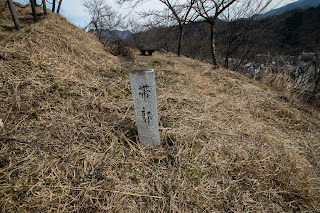 Nobunaga once held Kai province placed his veteran general Hidetaka Kawajiri (1527-1582) as the lord of Kai province, but Nobunaga himself died at the incident of Honnoji, a coup d'etat by his general Mitsuhide Akechi (1521-1582) only three month after the ruin of Takeda clan. 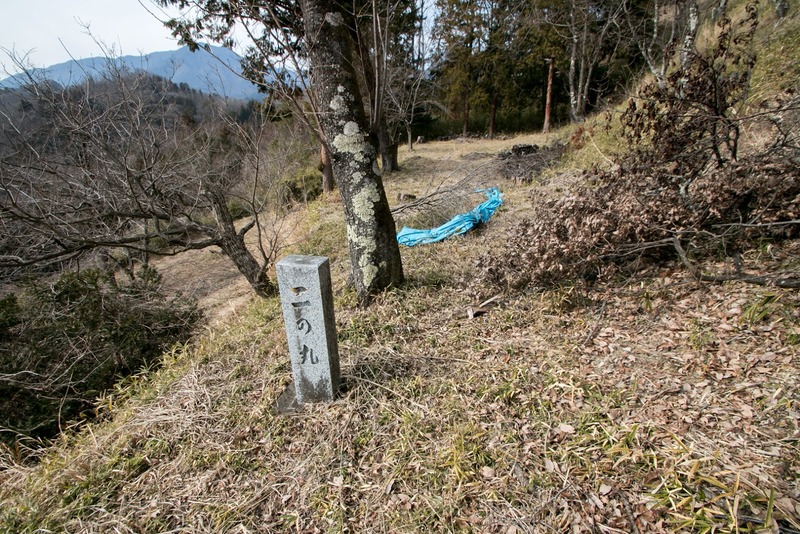 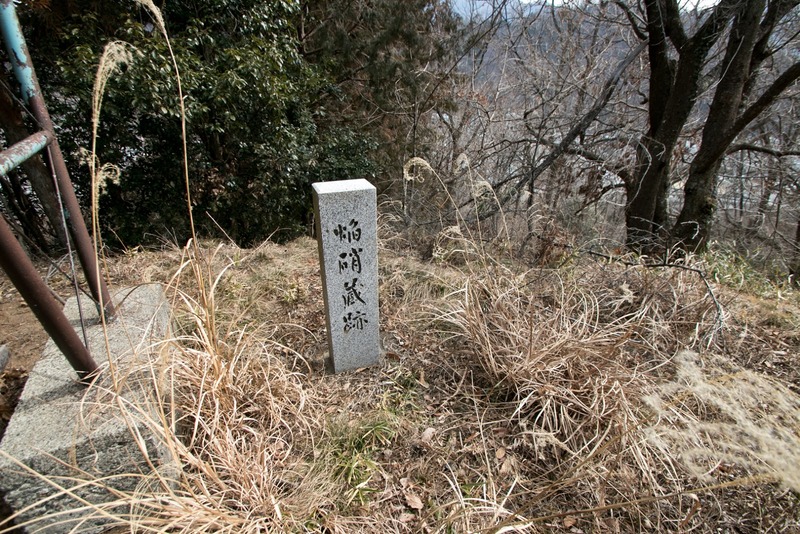 Hidetaka Kawajiri was killed by rebel of former retainers of Takeda clan, then Kai province became the target of struggle between Ieyasu Tokugawa and Hojo clan. 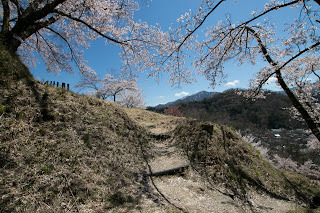 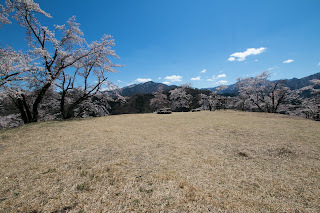 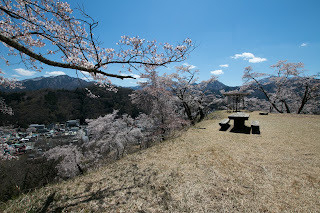 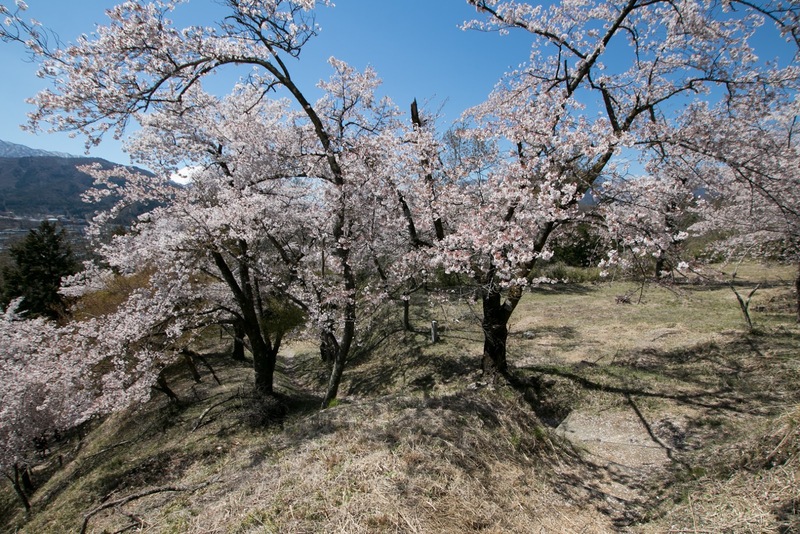 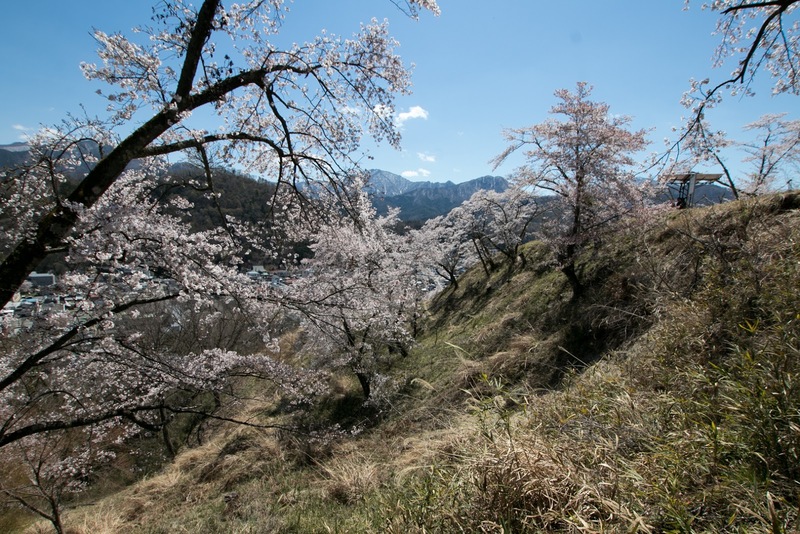 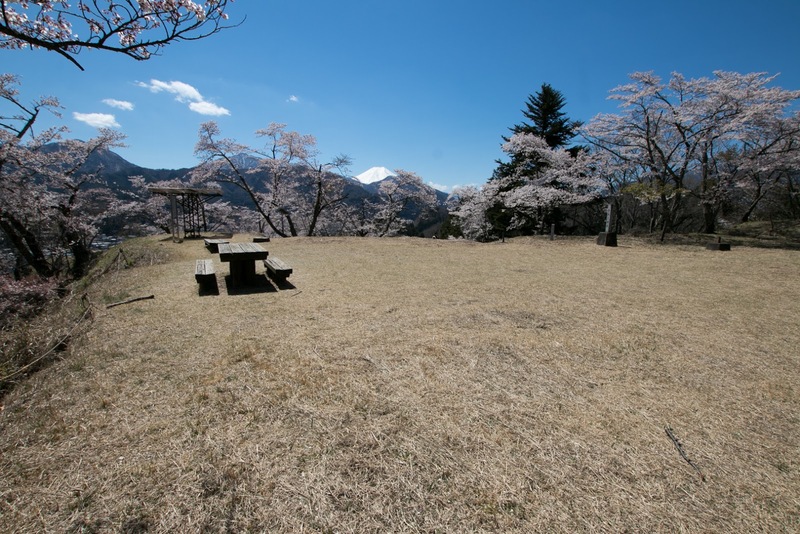 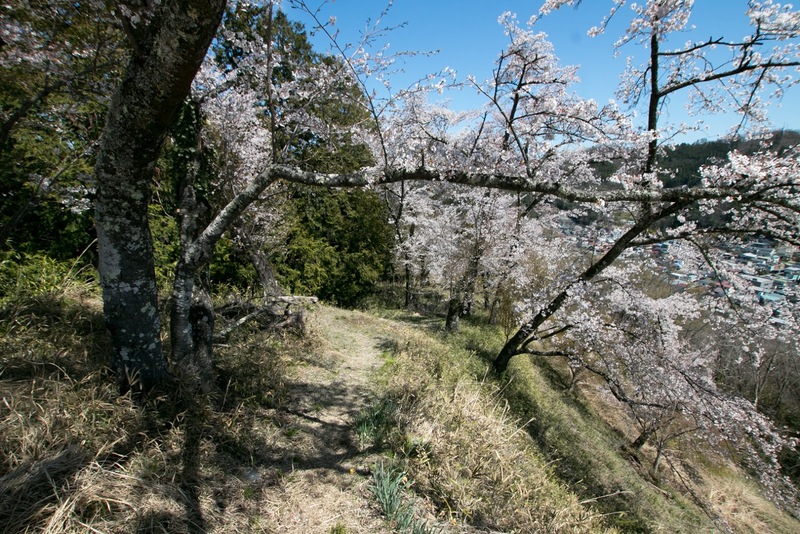 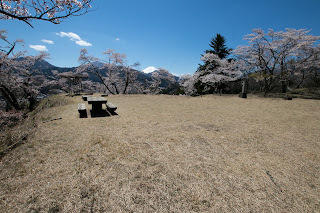 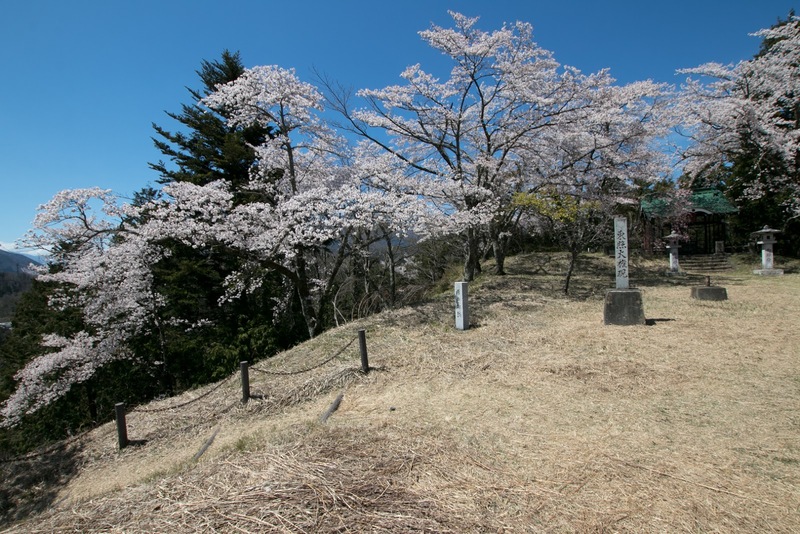 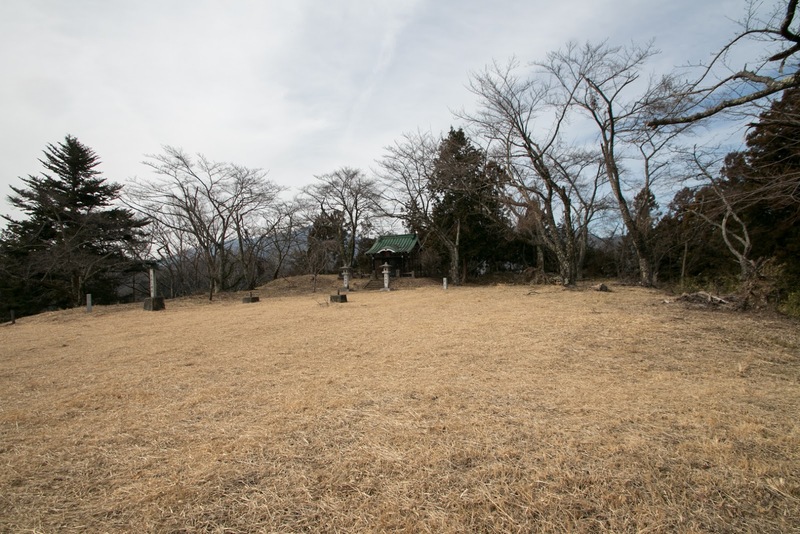 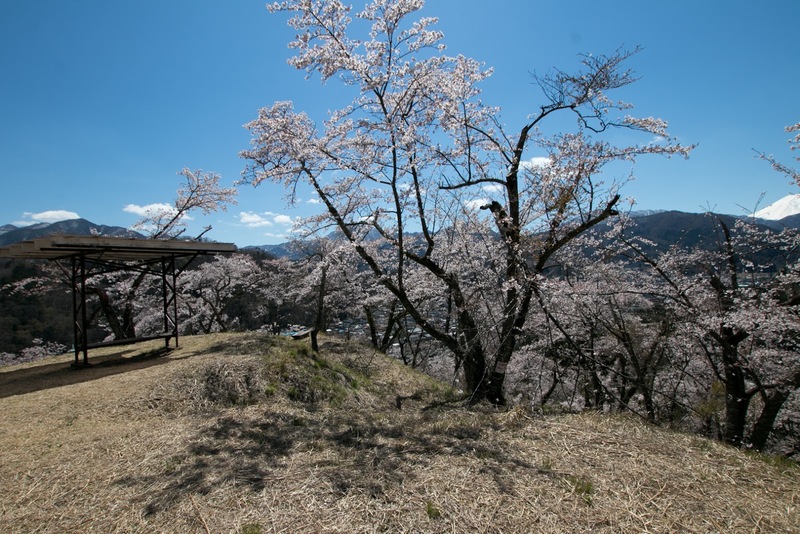 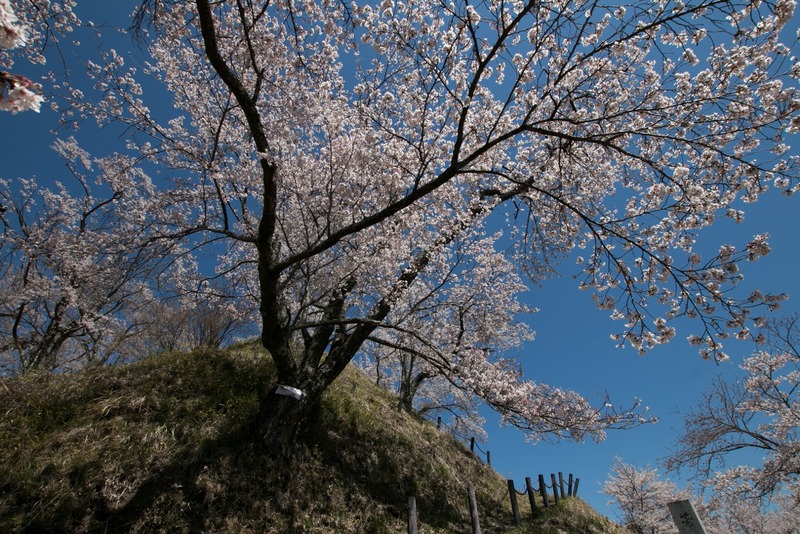 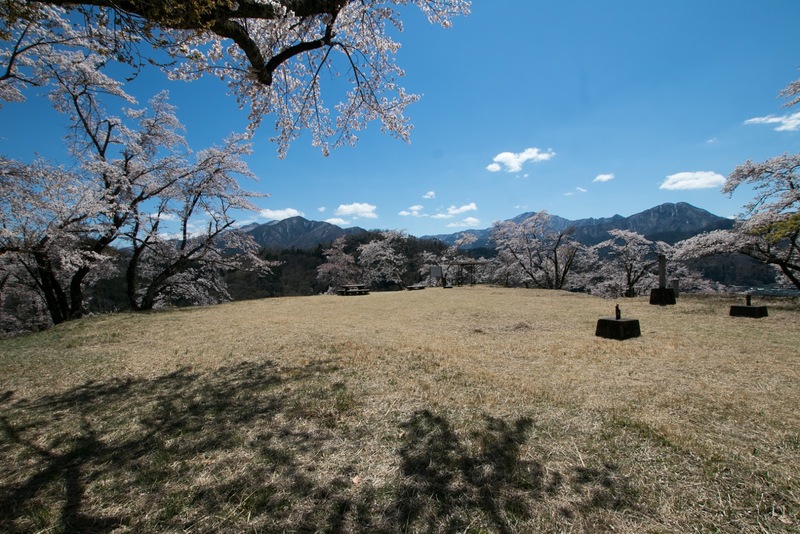 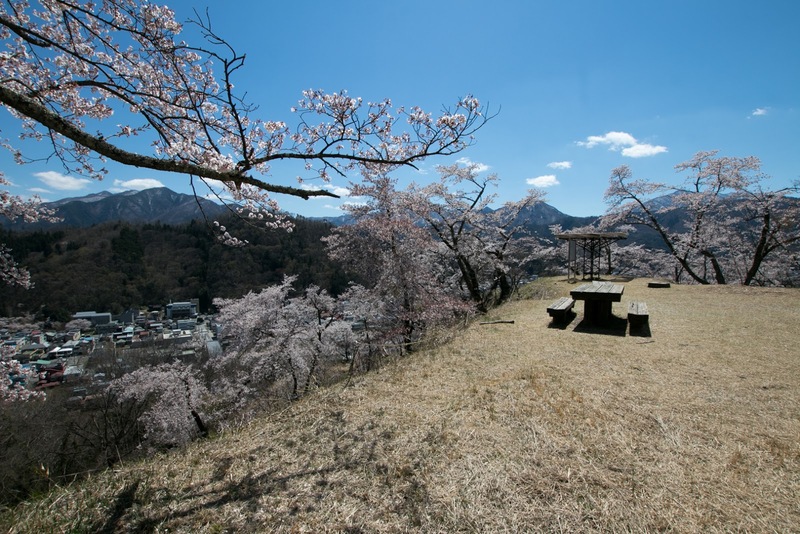 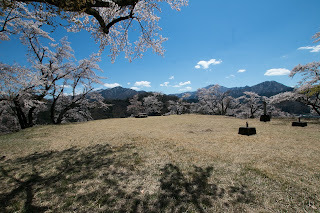 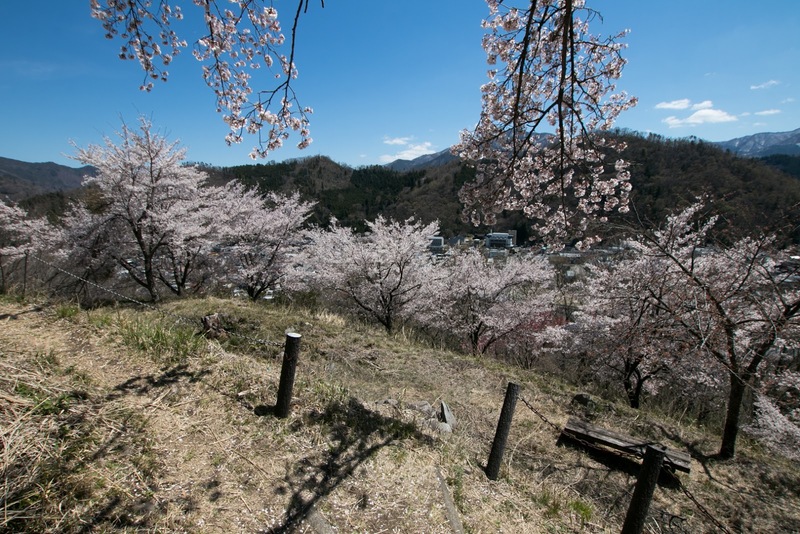 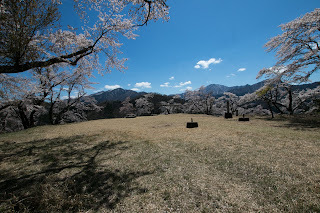 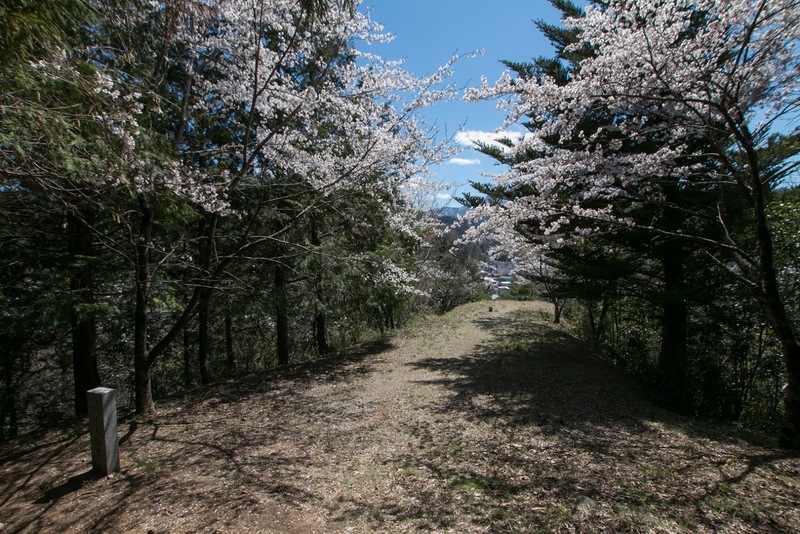 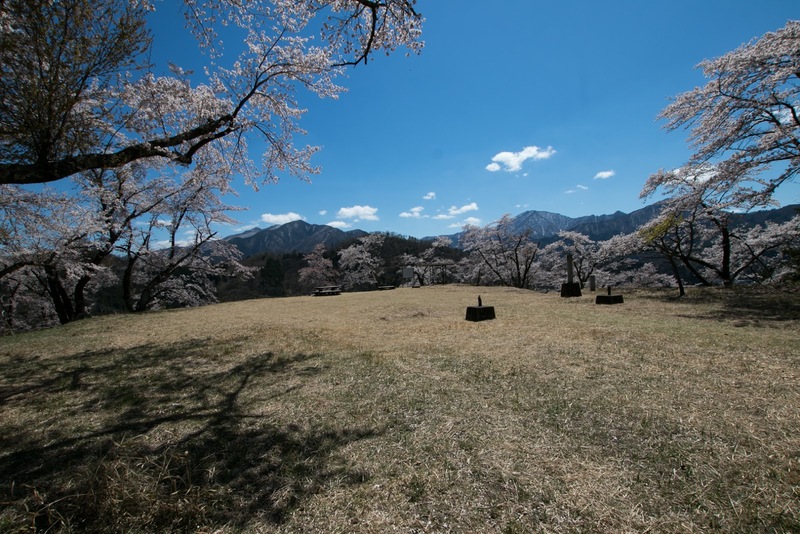 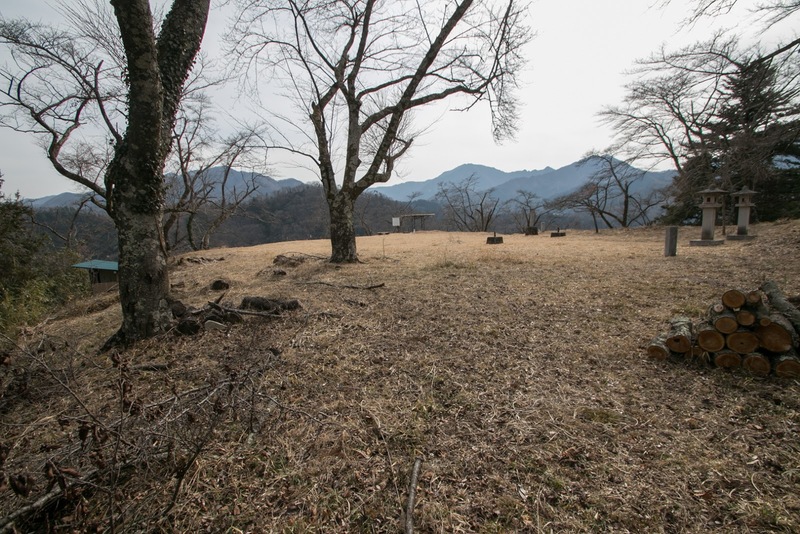 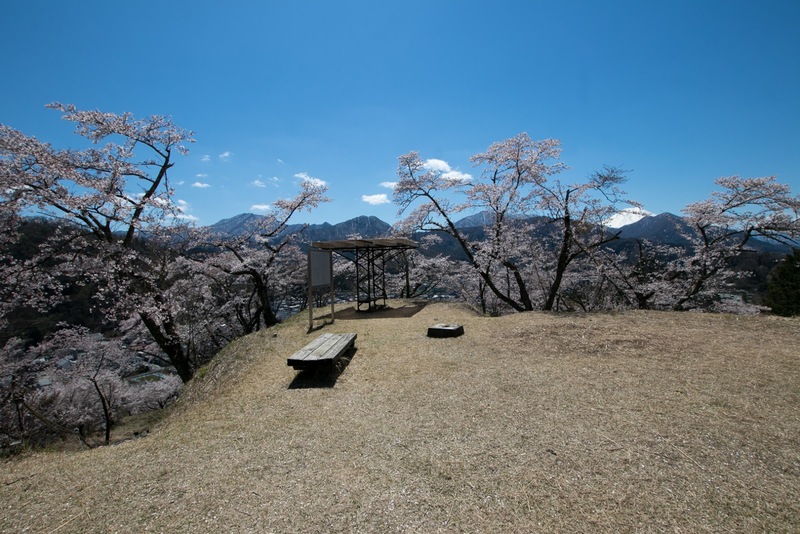 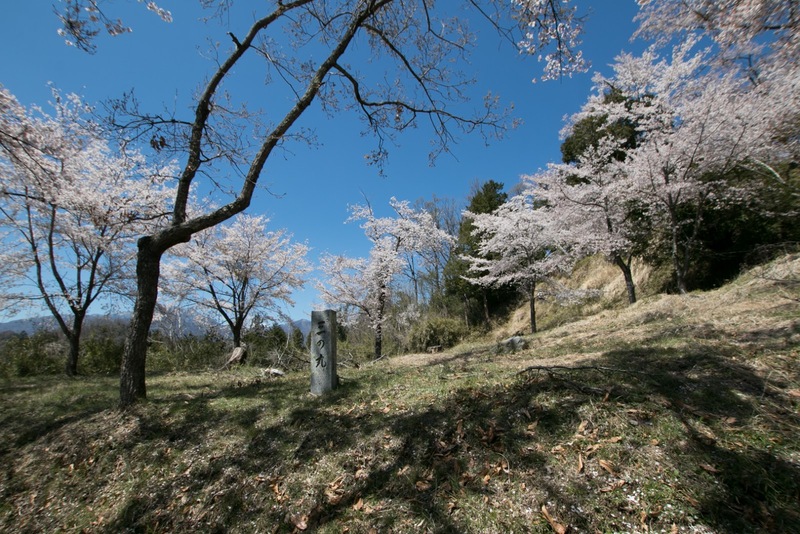 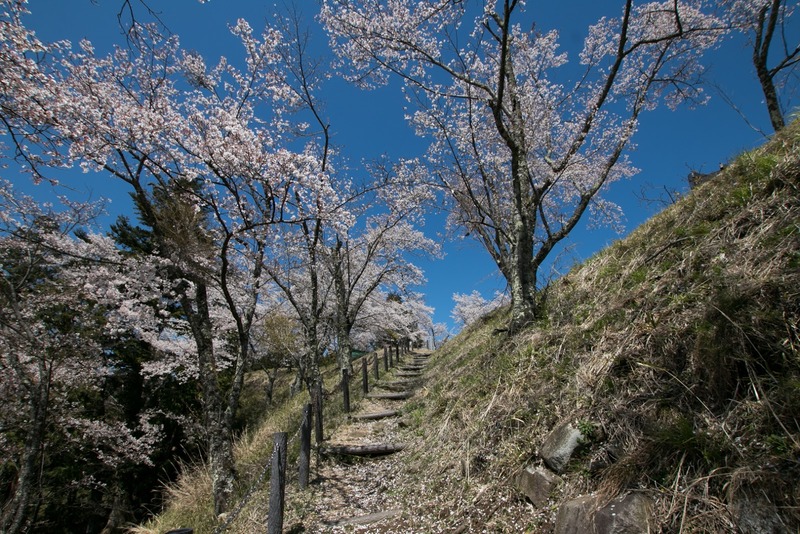 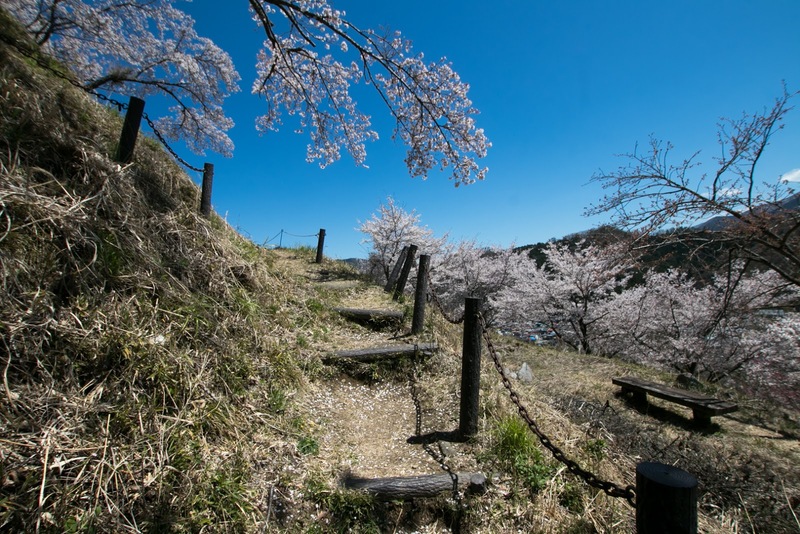 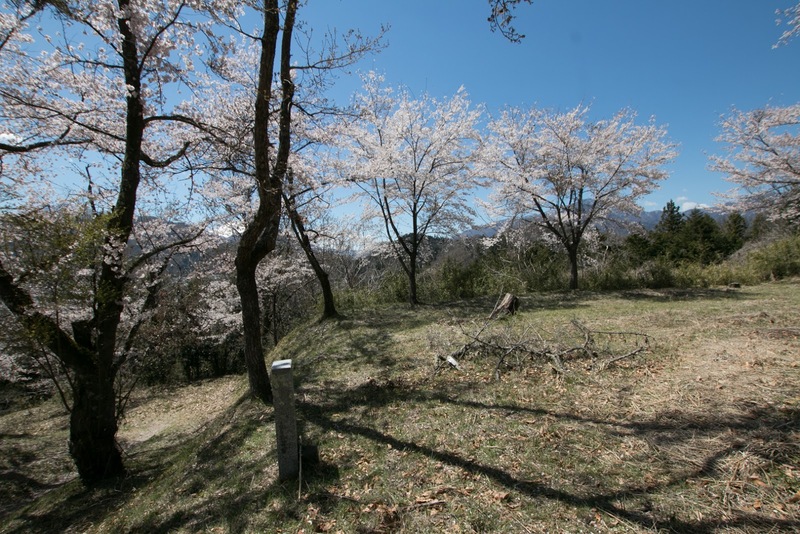 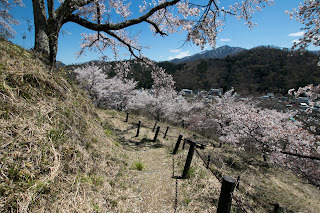 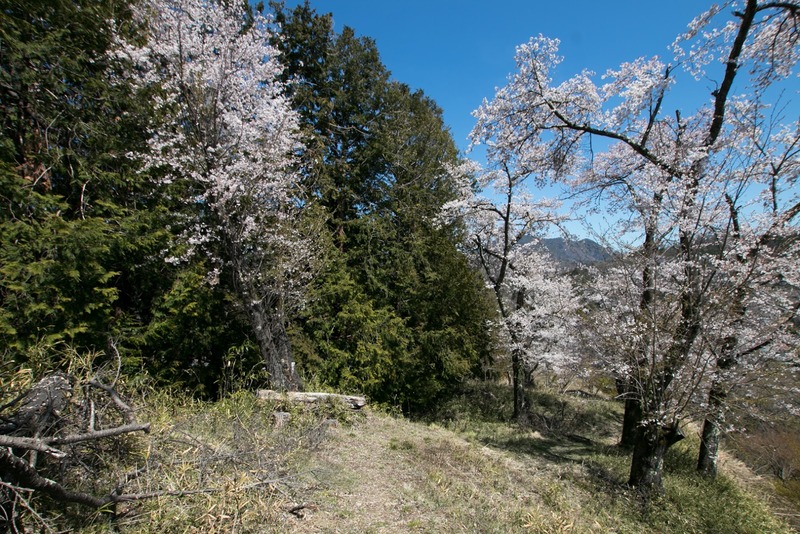 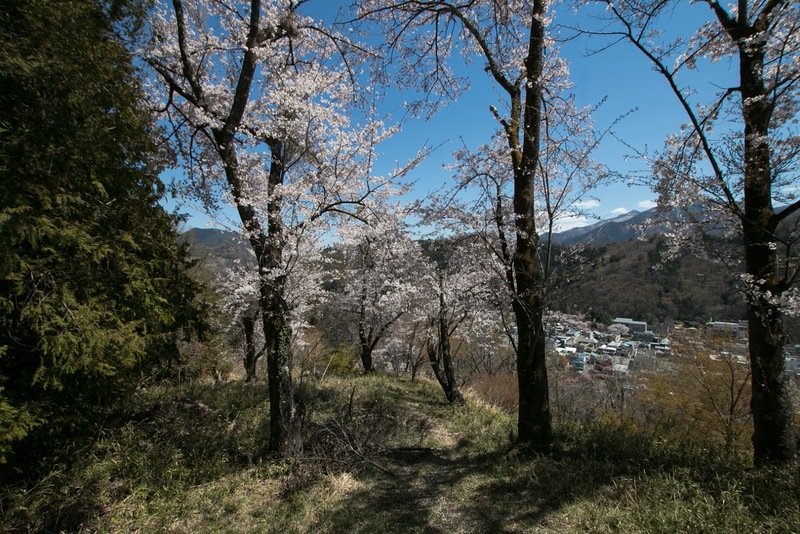 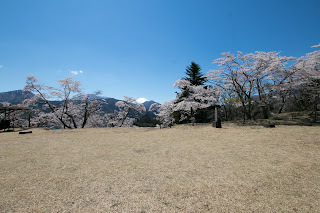 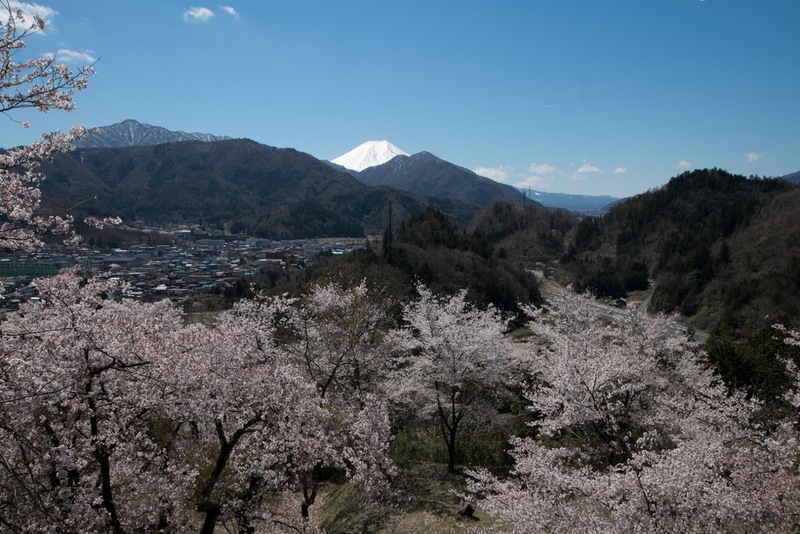 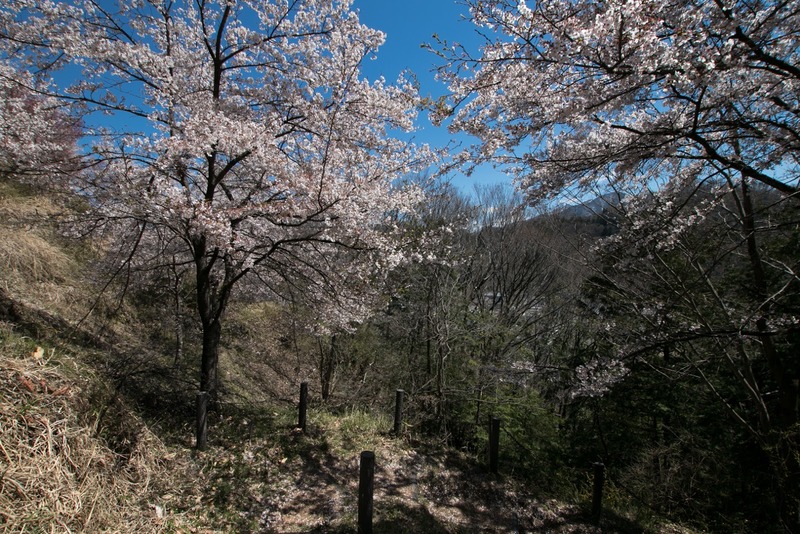 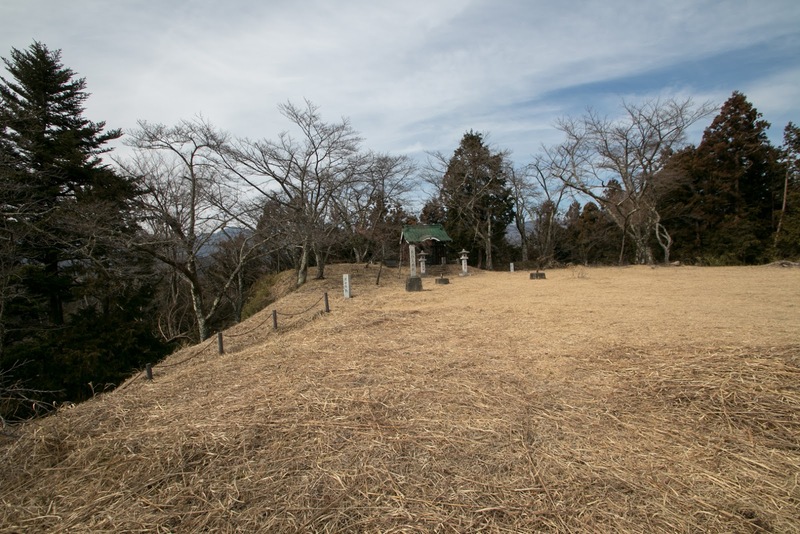 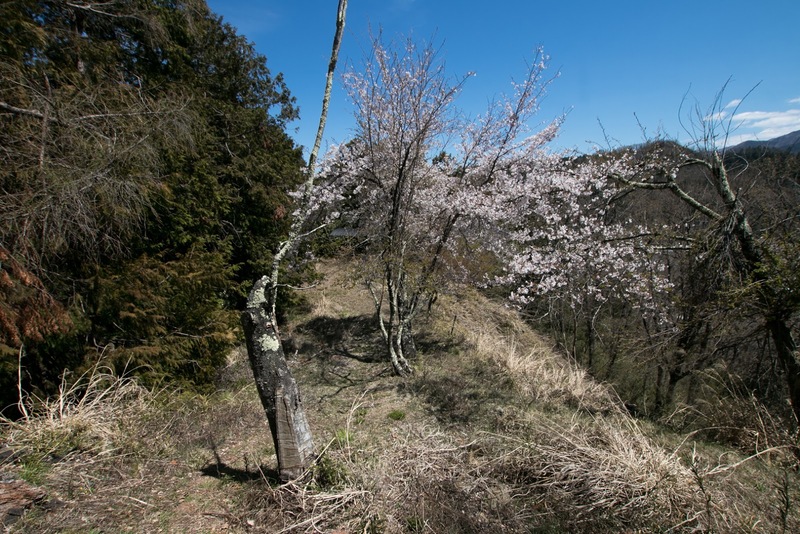 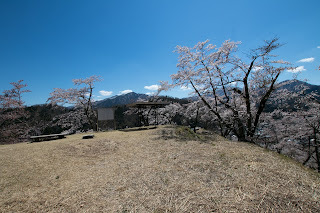 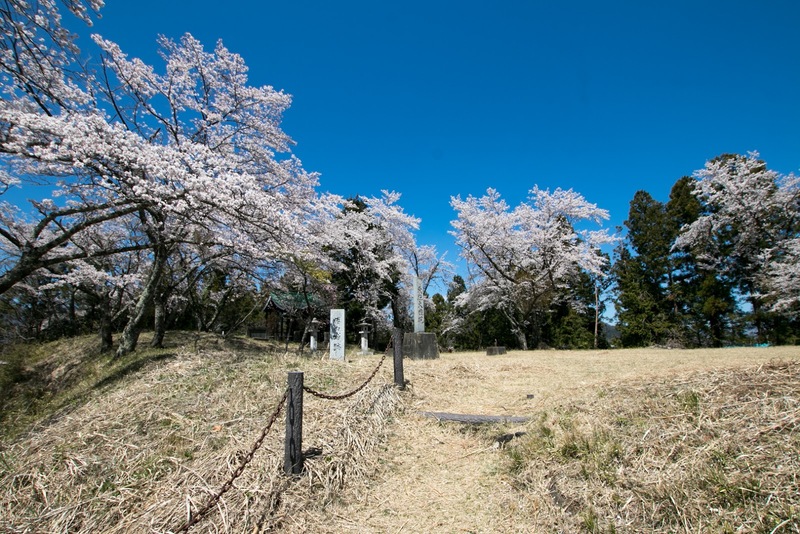 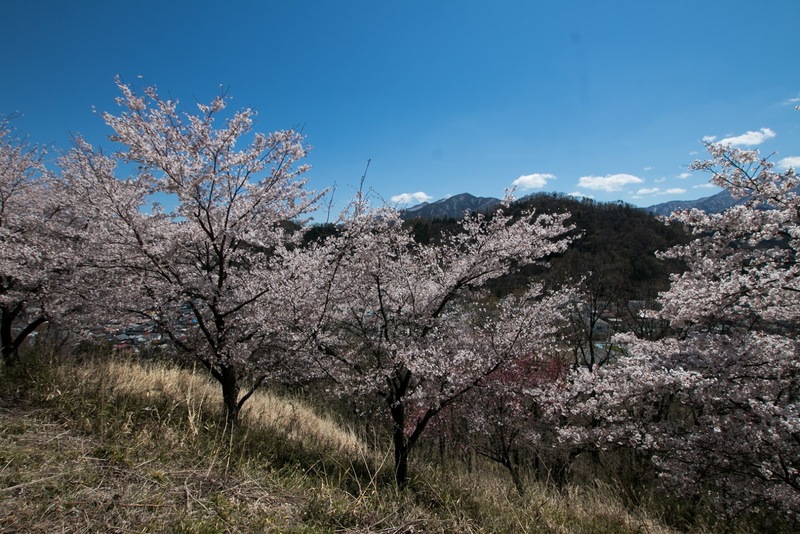 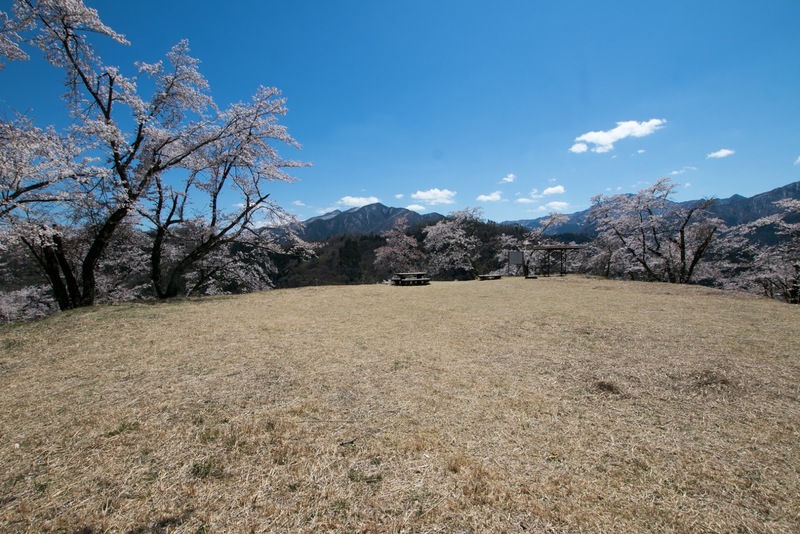 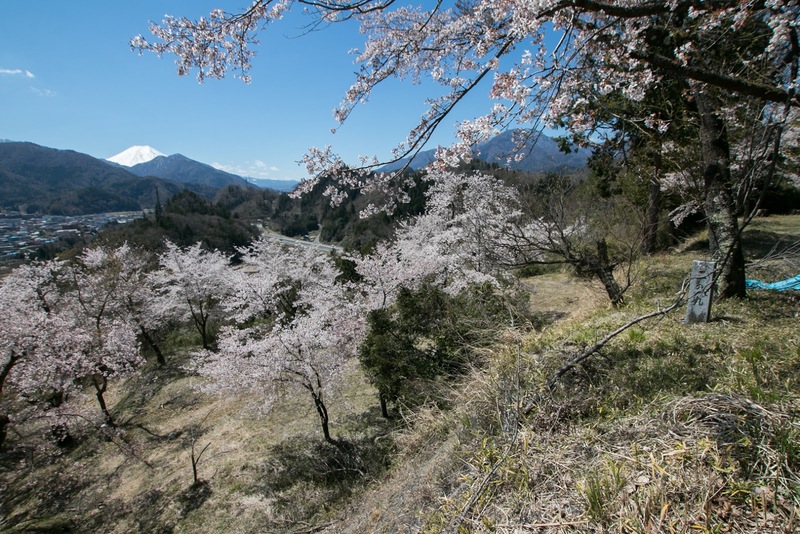 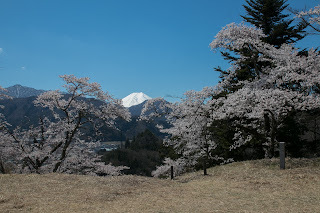 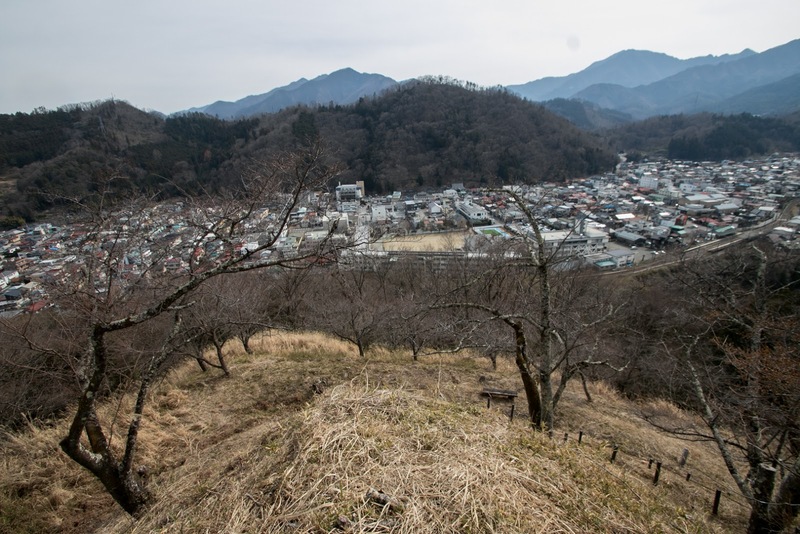 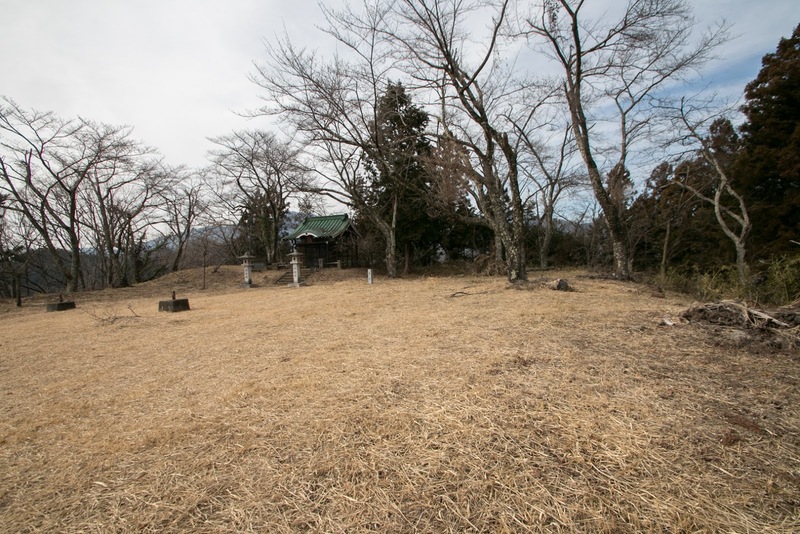 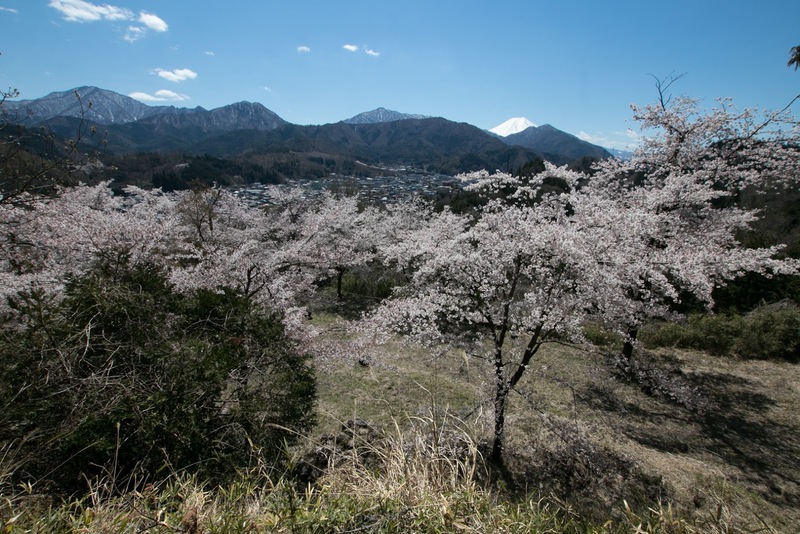 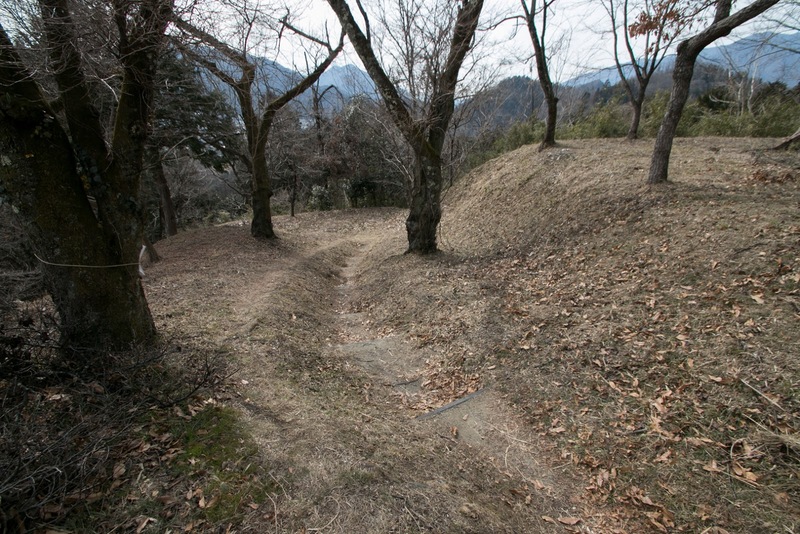 At the winter of 1582, Ieyasu and Hojo clan struggled for Kai province and Shinano province (Nagano prefecture) then faced at Shinpu castle (Yamanashi prefecture), former main base of Takeda clan. 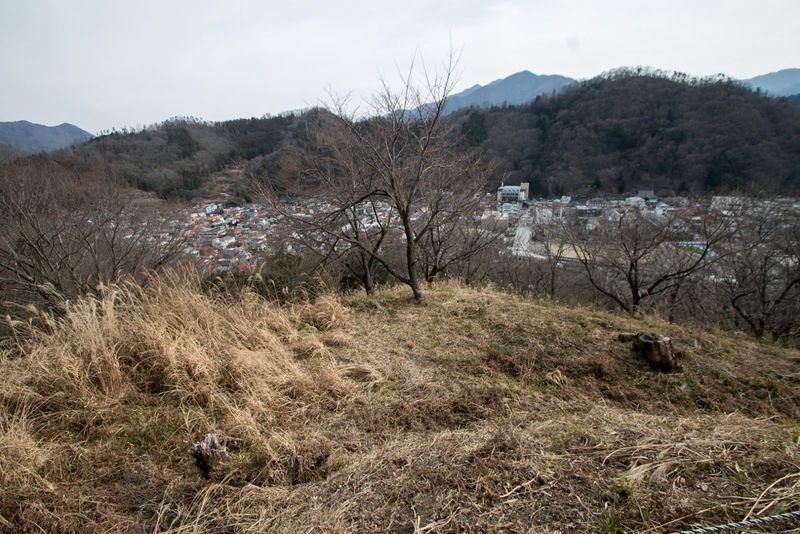 Hojo clan had larger army but Ieyasu tenaciously fought and cut the supply of Hojo army at backside, then Ieyasu and Hojo army made peace by leaving Kai province and Shinano province to Ieyasu. 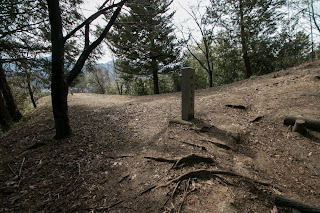 Ieyasu placed Mototada Torii (1539-1600), a veteran general who served to Ieyasu from youth and broke Hojo army at the battle of Kurokoma Toge pass. 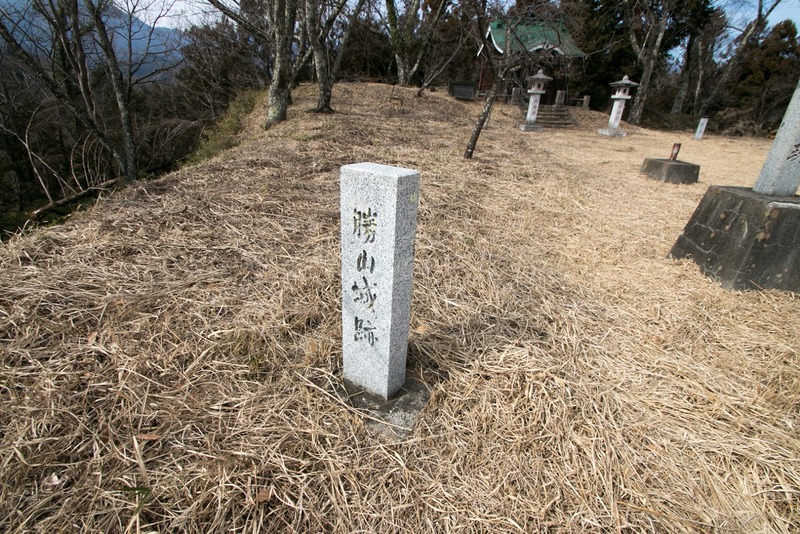 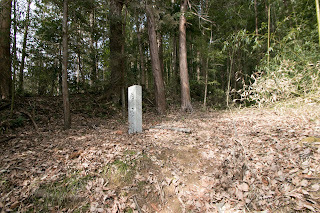 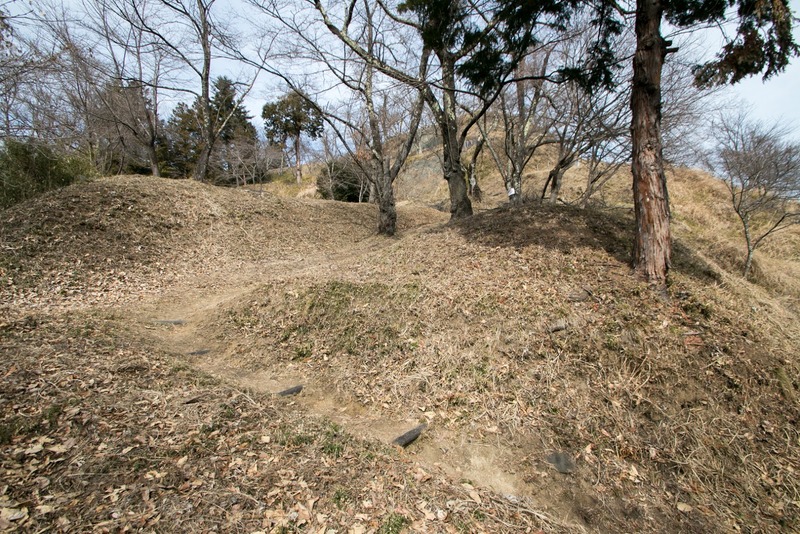 Mototada at first Iwadonoyama castle as his main base but later used Yamura residence as his main base. 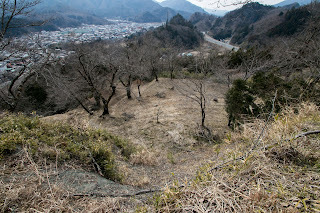 However, in 1590, after the ruin of Hojo clan at Odawara campaign by central ruler Hideyoshi Toyotomi (1537-1598), Tokugawa clan was moved to former territory of Hojo clan by Hideyoshi. 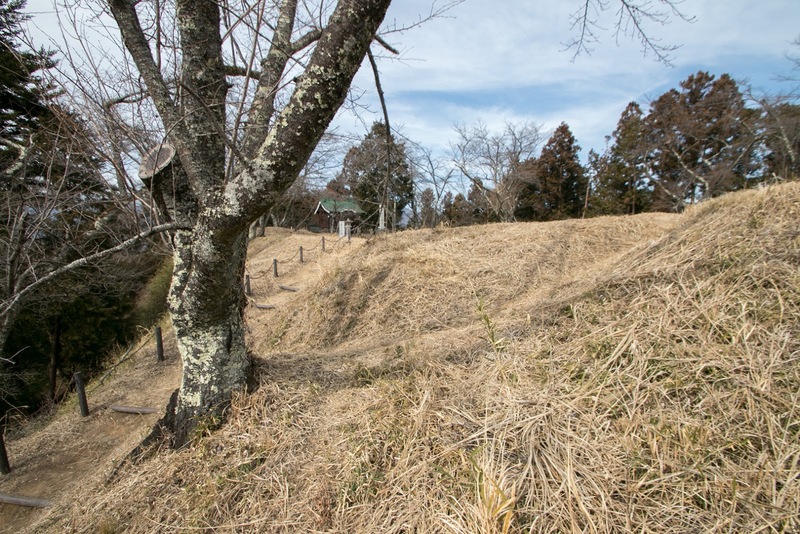 After the move of Hojo clan, Hideyoshi at first gave Kai province to his close general Mitsuyasu Kato (1537-1593), as a restraint to Ieyasu. After the death of Mitsuyasu in 1593, Hideyoshi placed his marital relative Nagamasa Asano (1547-1611) as the lord of Kofu castle which held whole Kai province. 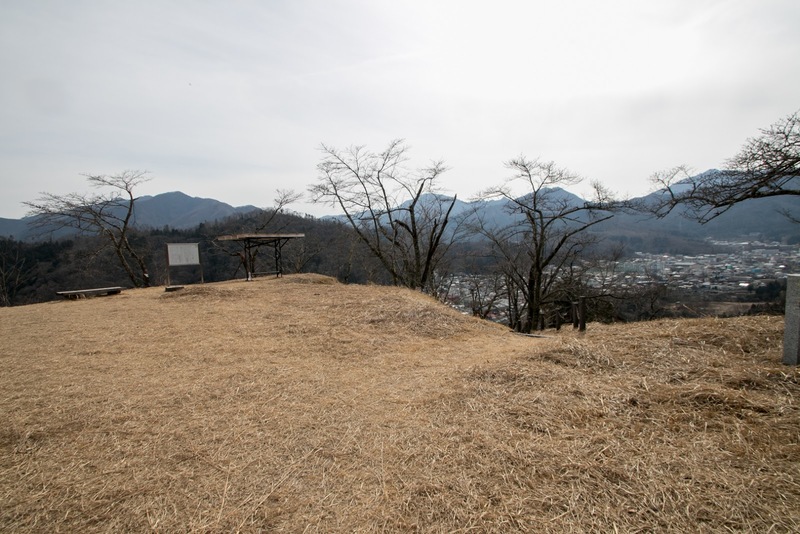 To prepare to Ieyasu, Nagamasa newly built modern Kofu castle as his main base, and placed his relative Ujishige Asano (?-1619) as the lord of Gunnai area. 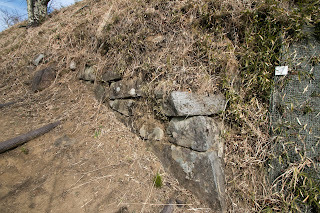 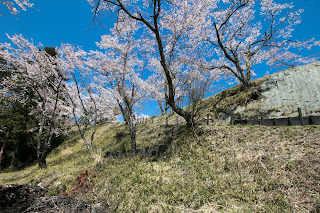 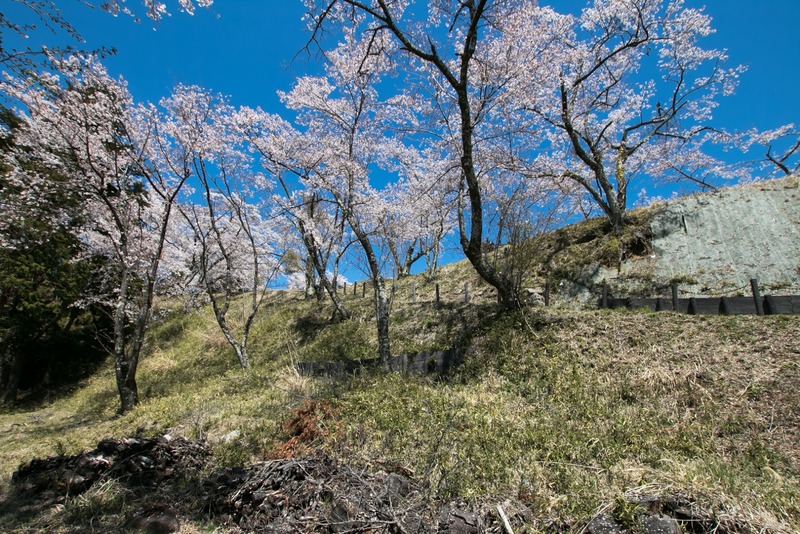 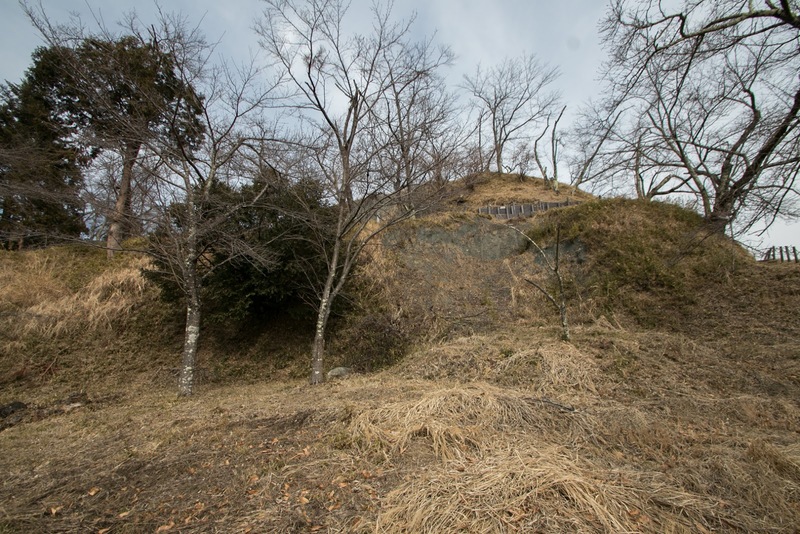 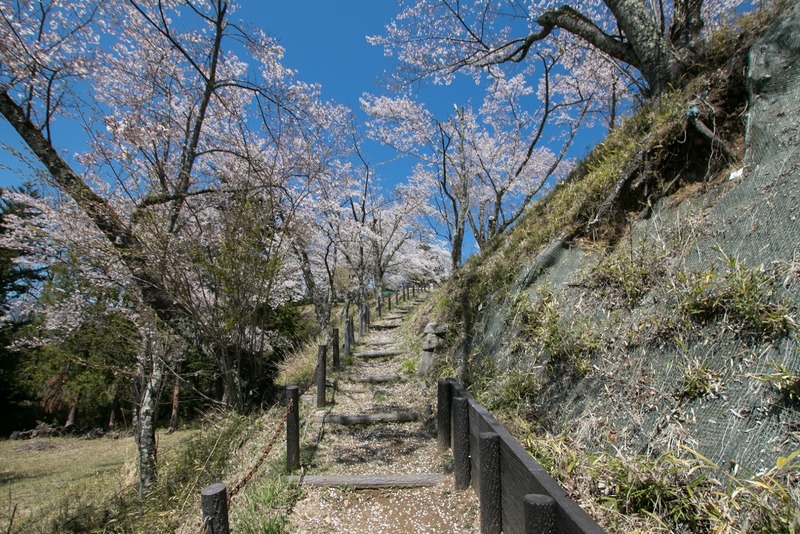 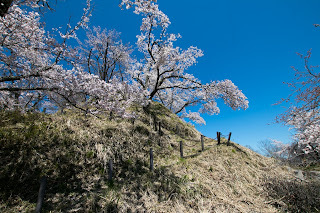 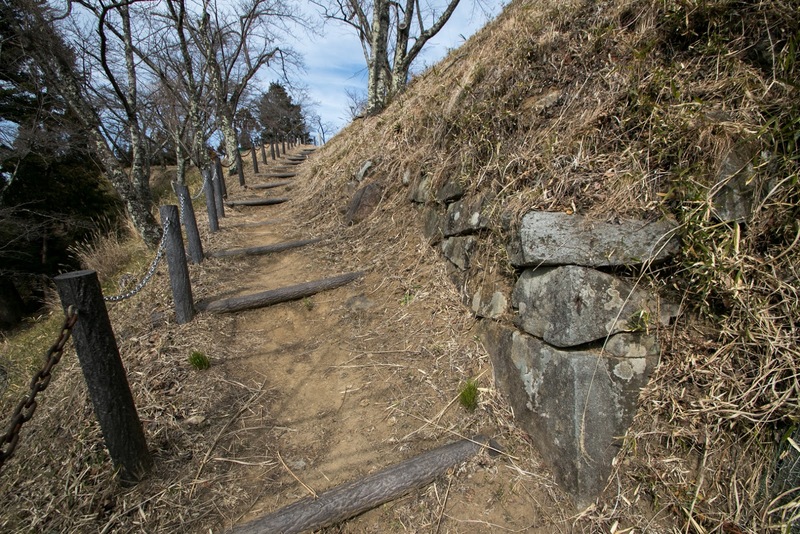 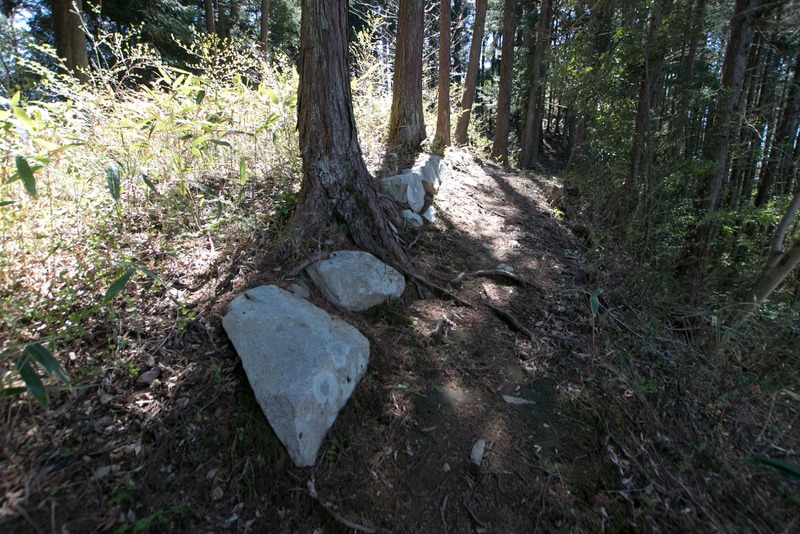 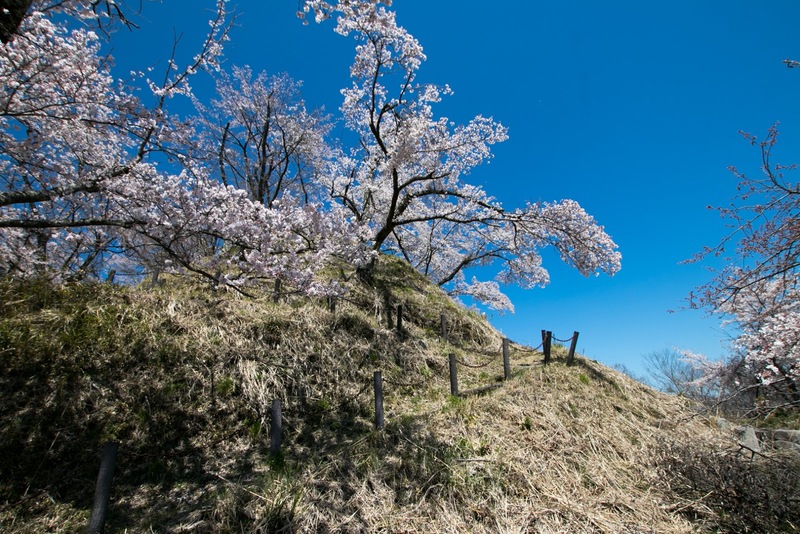 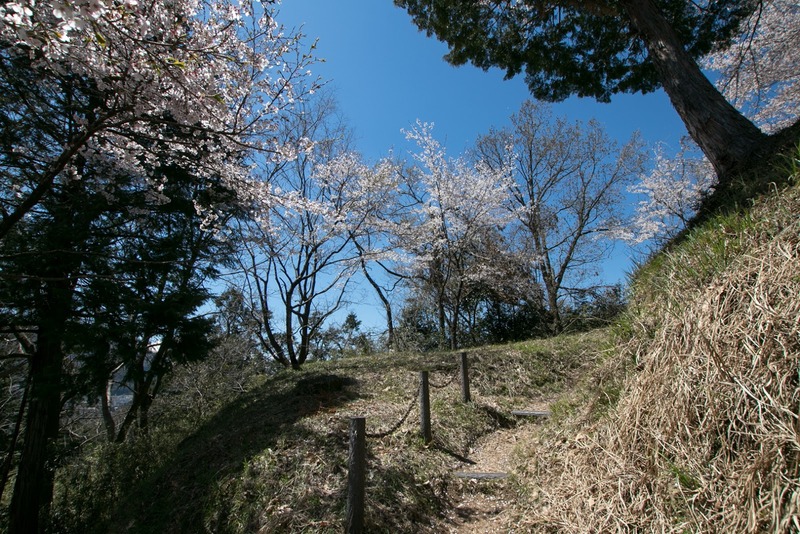 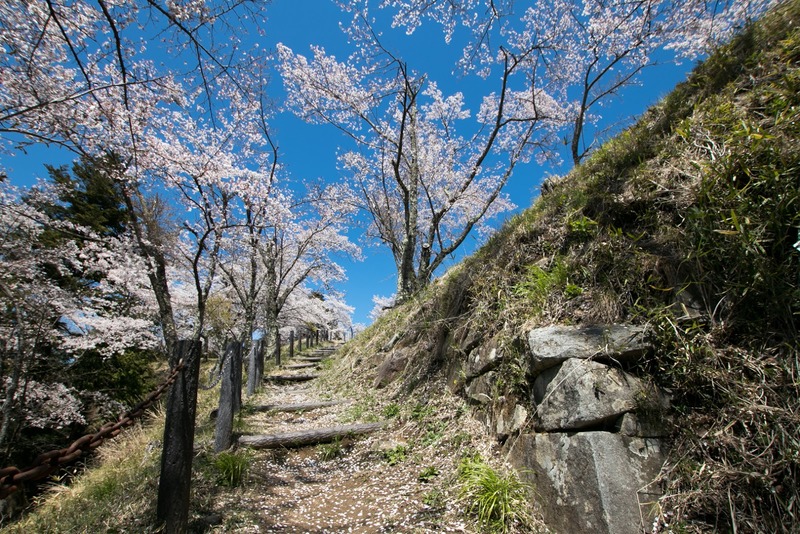 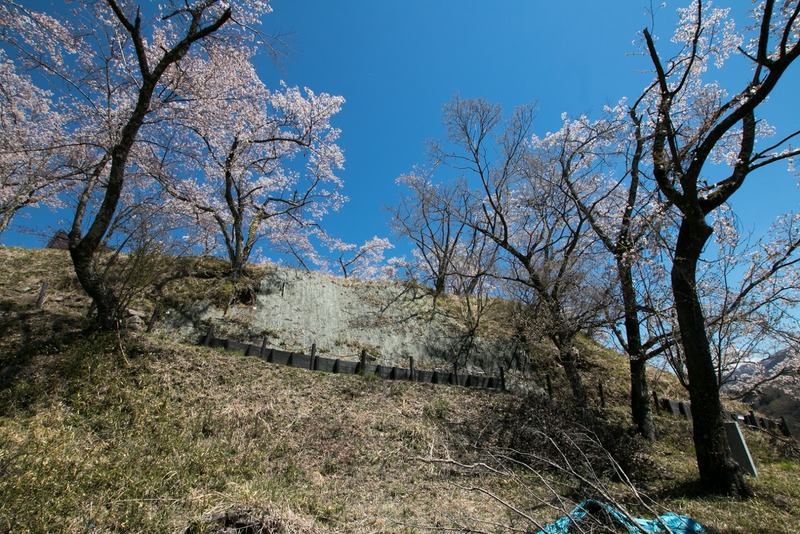 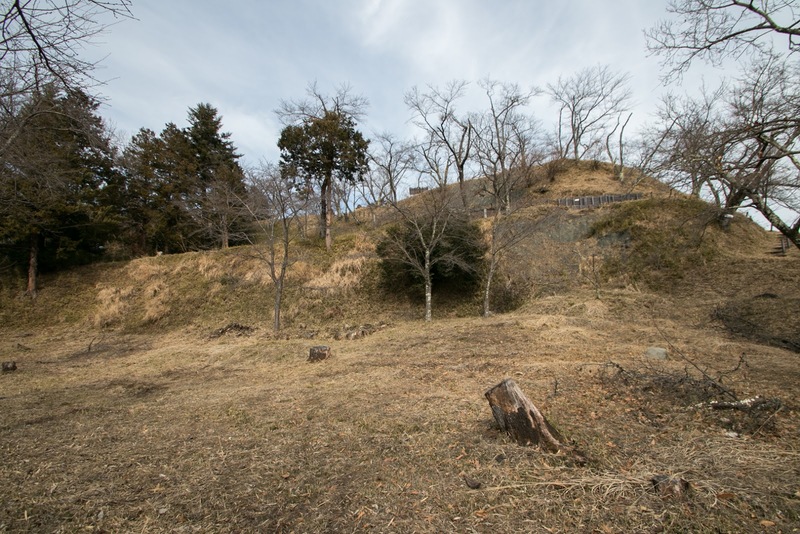 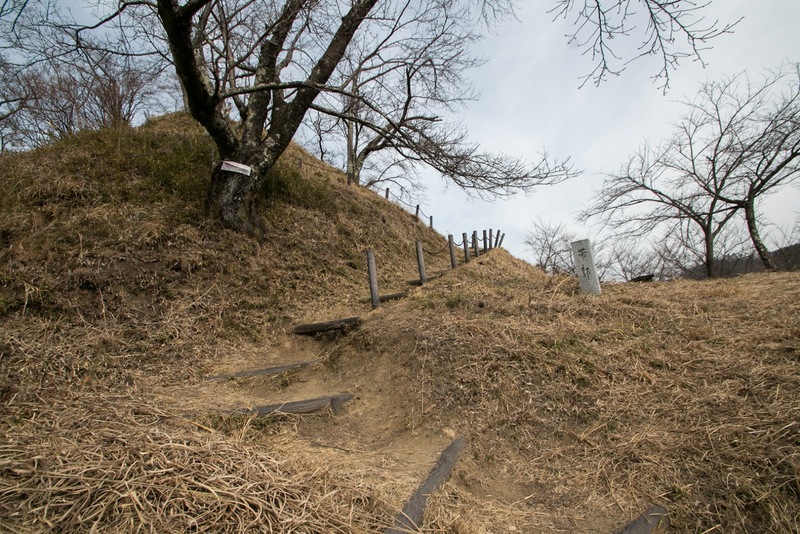 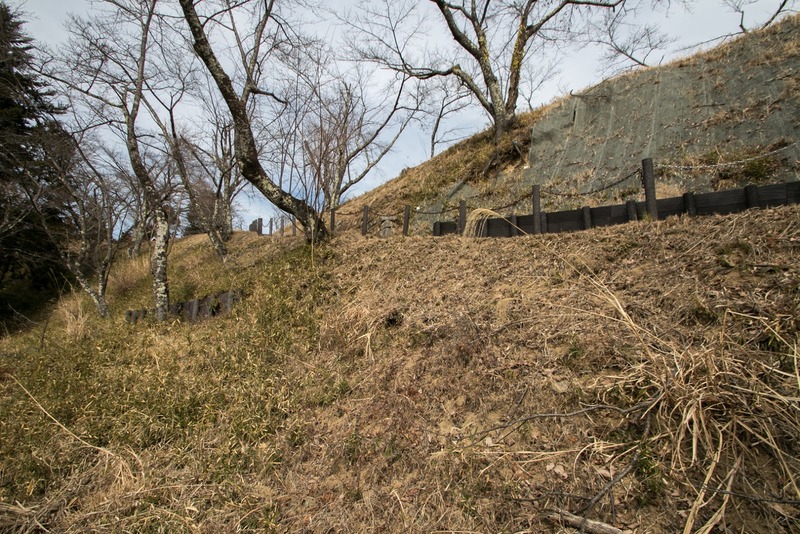 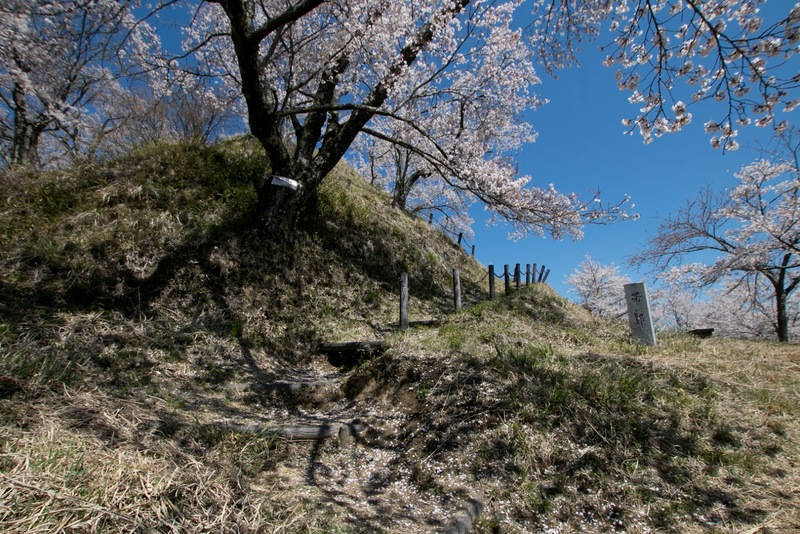 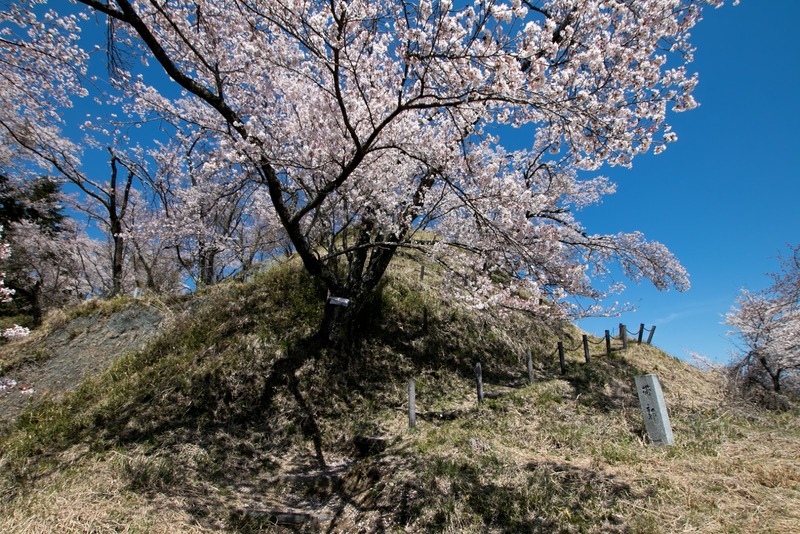 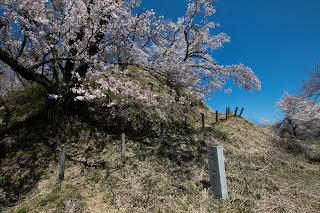 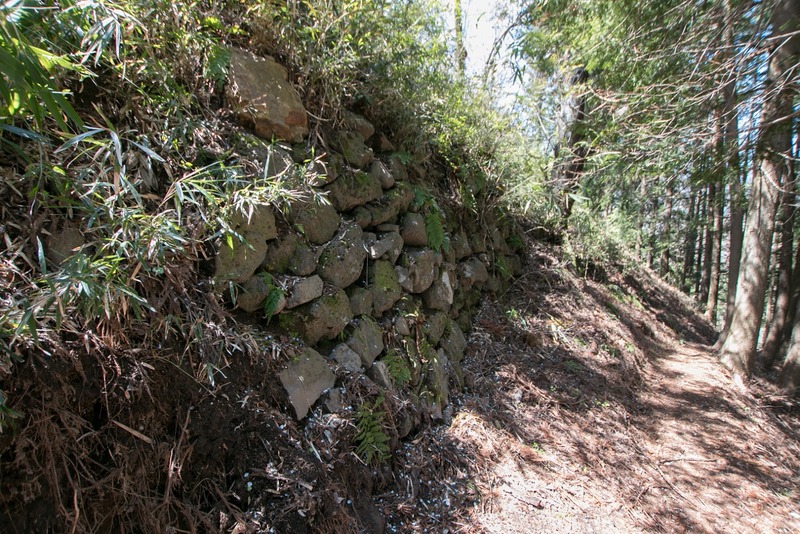 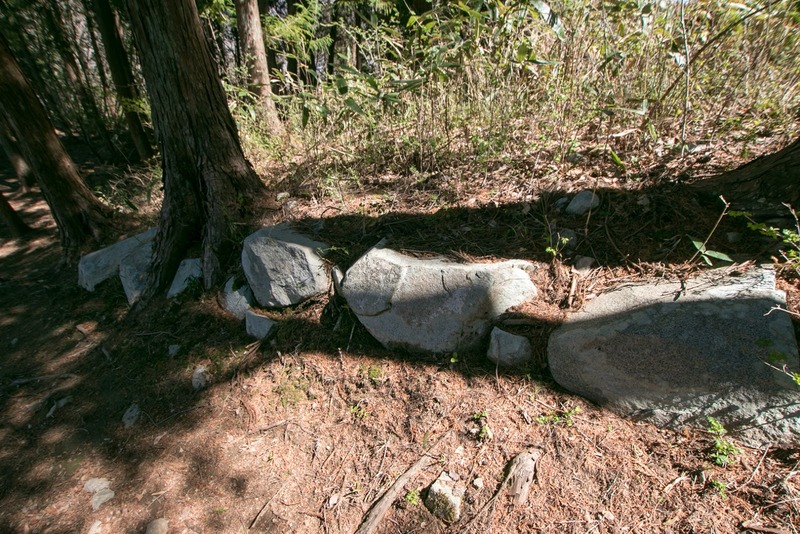 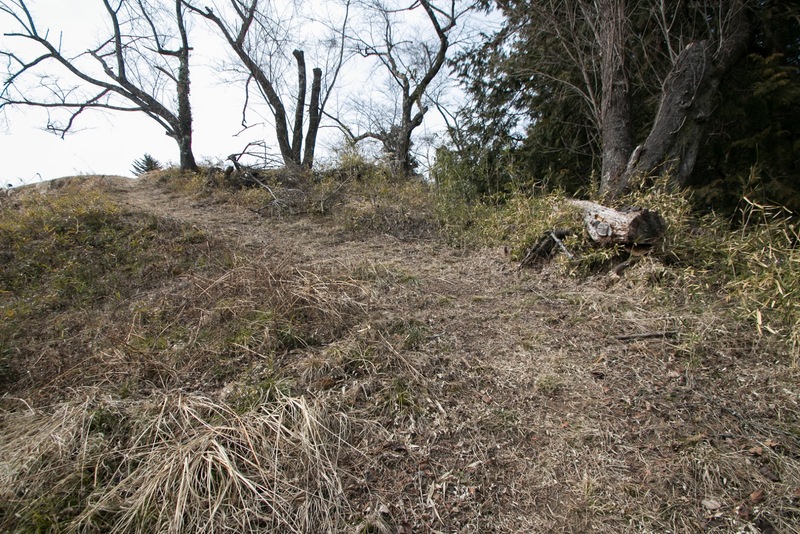 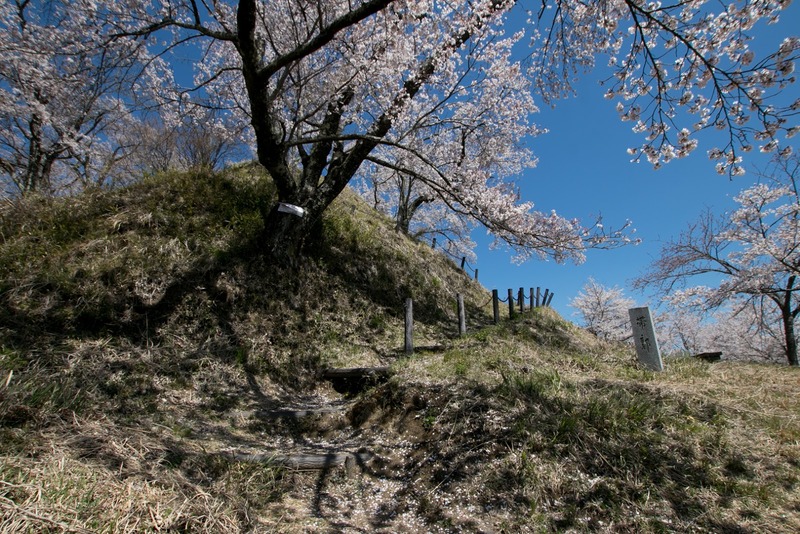 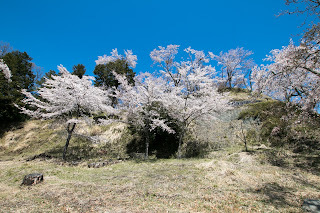 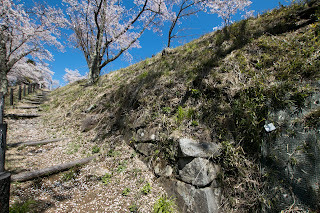 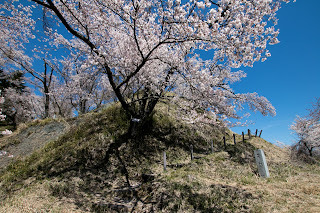 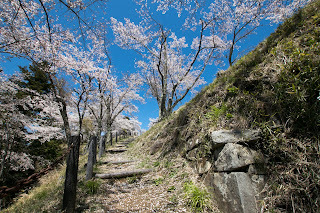 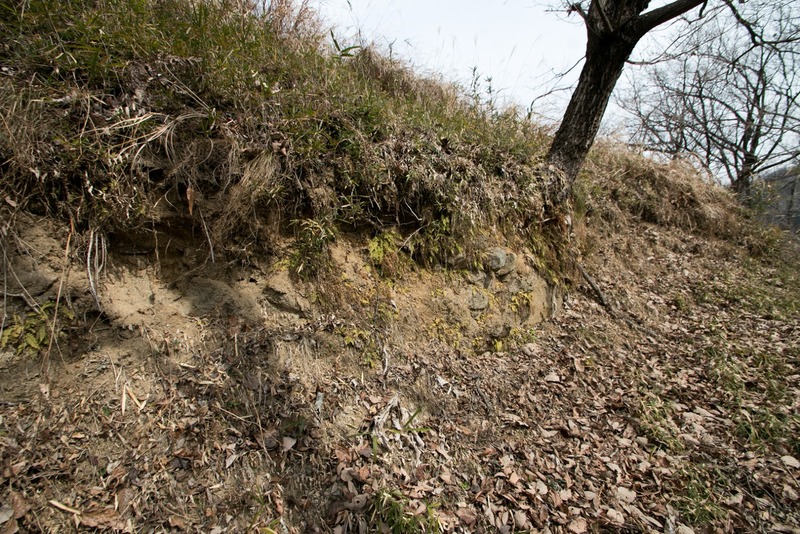 As Gunnai area was the next to the territory of Ieyasu, Nagamasa significantly renovated Katsuyama castle into a modern one equipped stone walls as a front fort against Ieyasu. 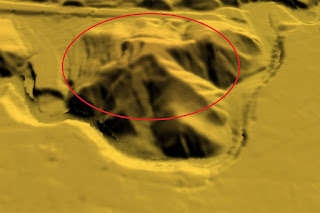 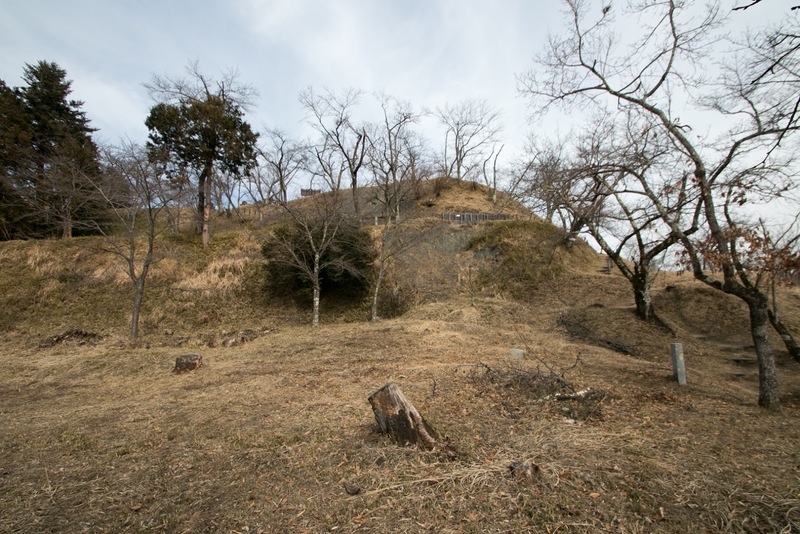 Katsuyama castle spreads over the peak and three ridges continues toward north, west and south of the mountain. 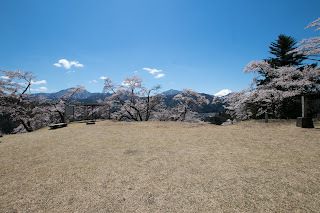 Central area of the castle is a rectangular shape terrace of 50 meter long and 40 meter width, having a low basement of main tower at its western edge. 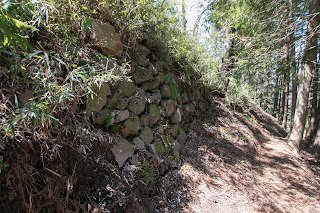 Originally the wall of central area might be wholly covered by stone wall, and slightly remains along with the slope from main agate. 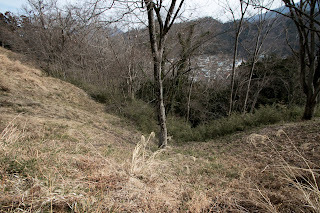 As north, east and southward is covered by the cliff of Katsuragawa river, westward is the only weak point of the castle. 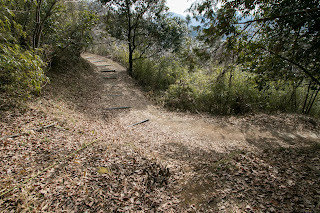 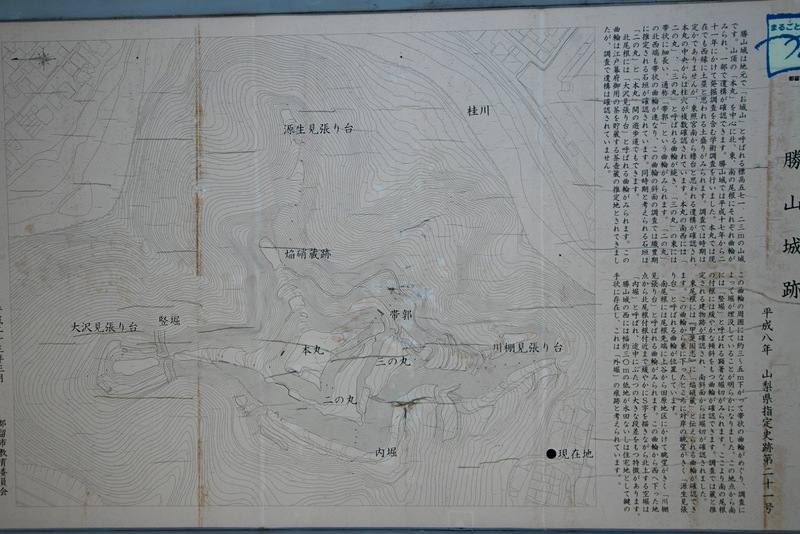 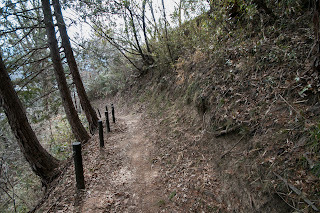 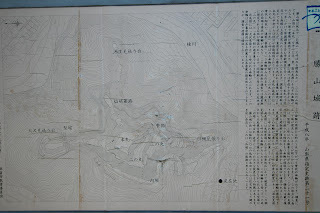 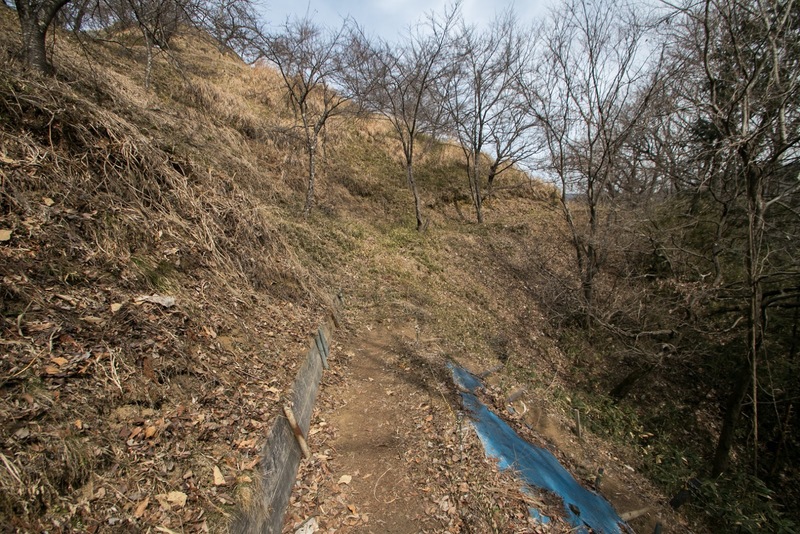 From the west to the south of central area, secondary area and third area are built by construction digging the halfway of the slope like L letter. 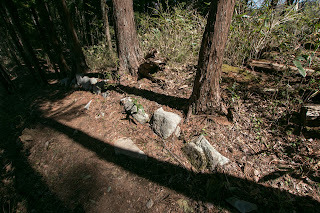 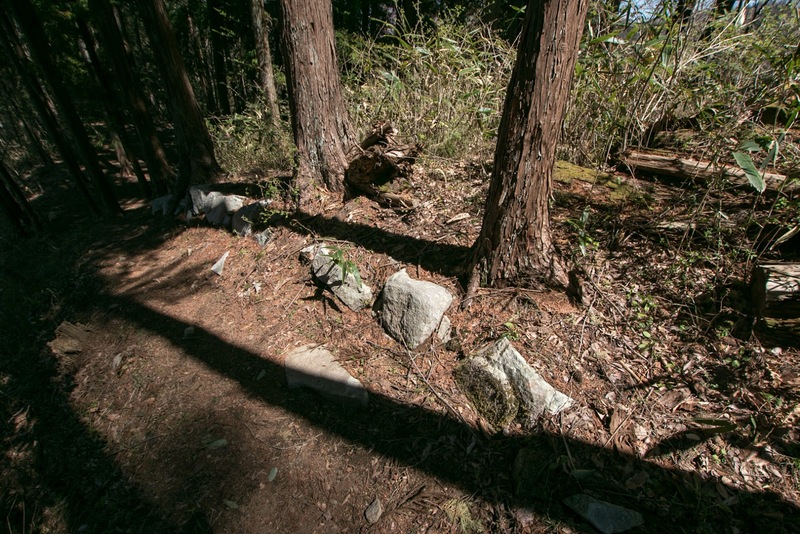 Even though not so large, these area are modern having straight lined wall with stone walls. 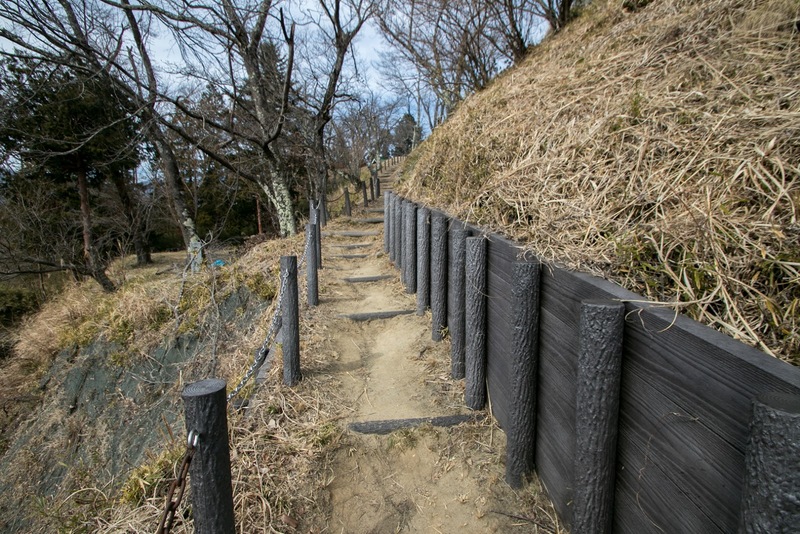 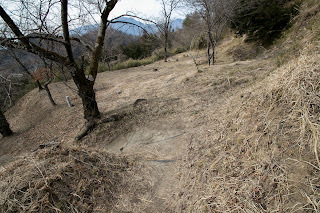 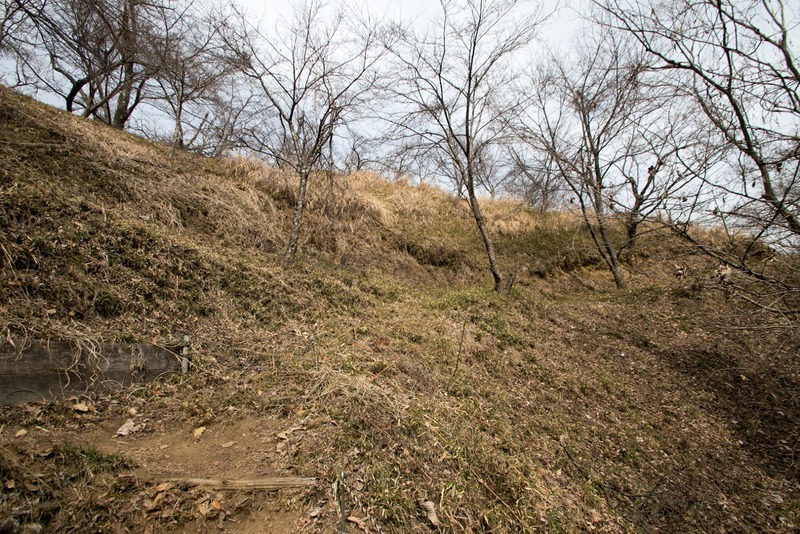 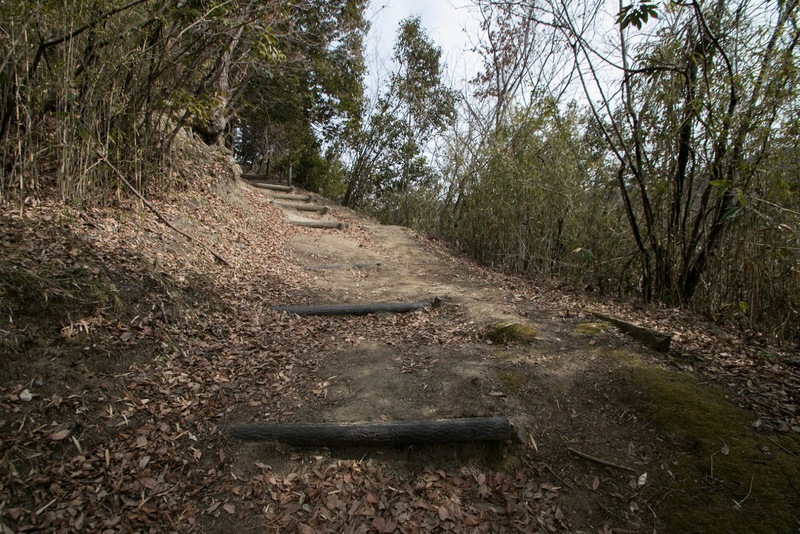 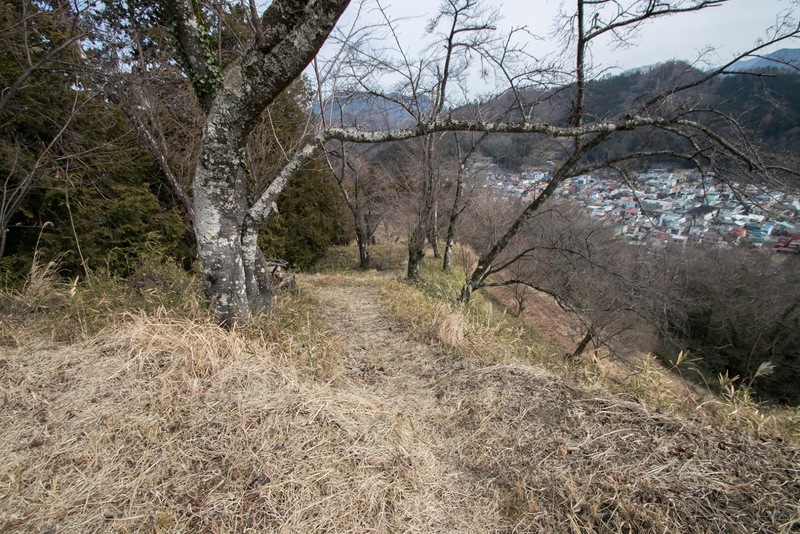 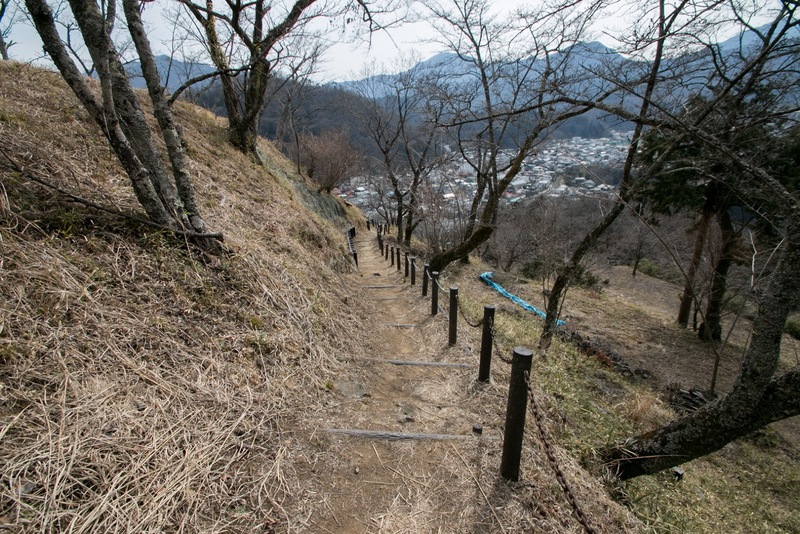 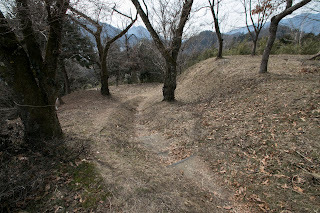 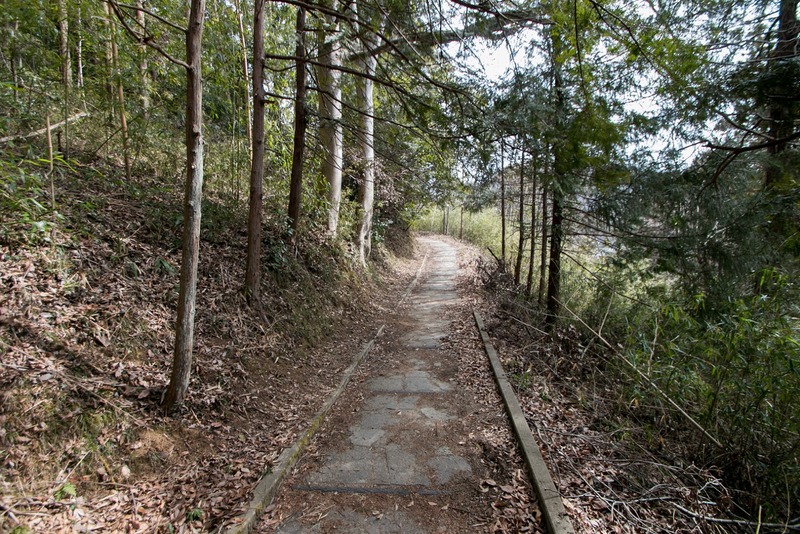 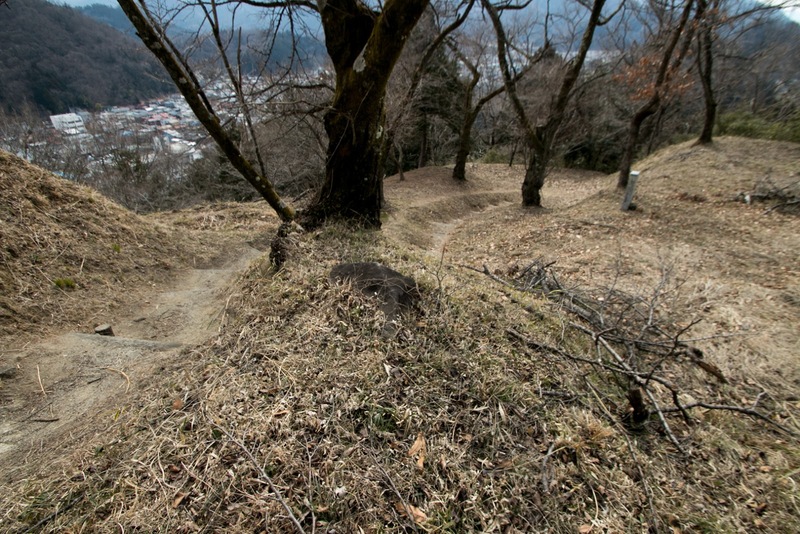 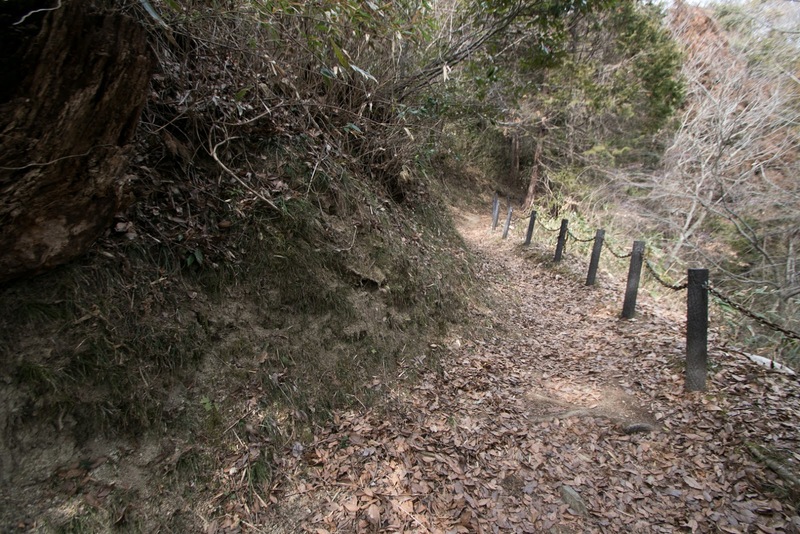 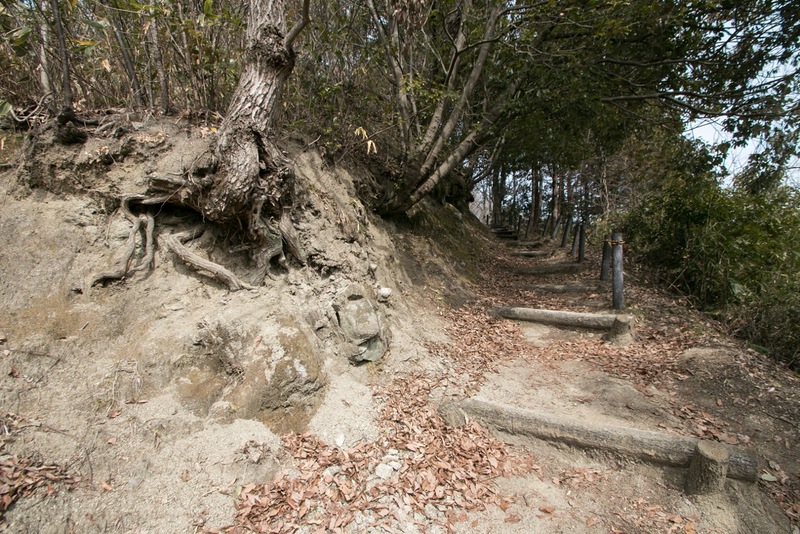 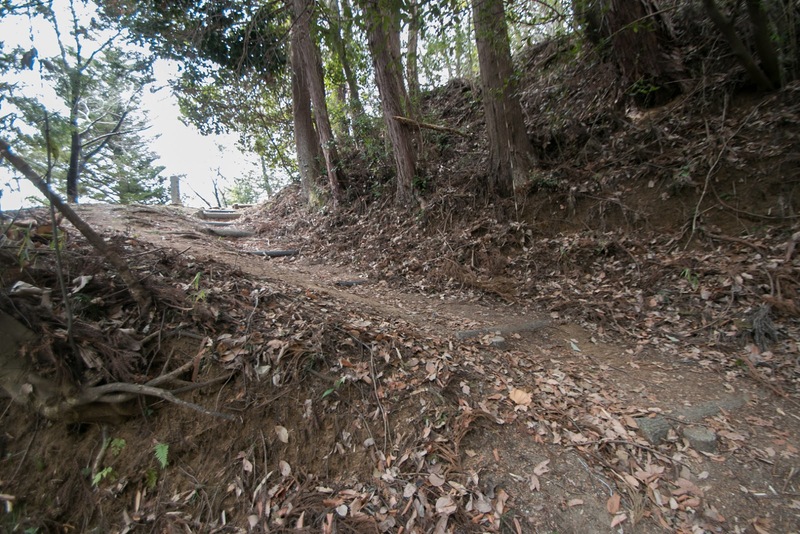 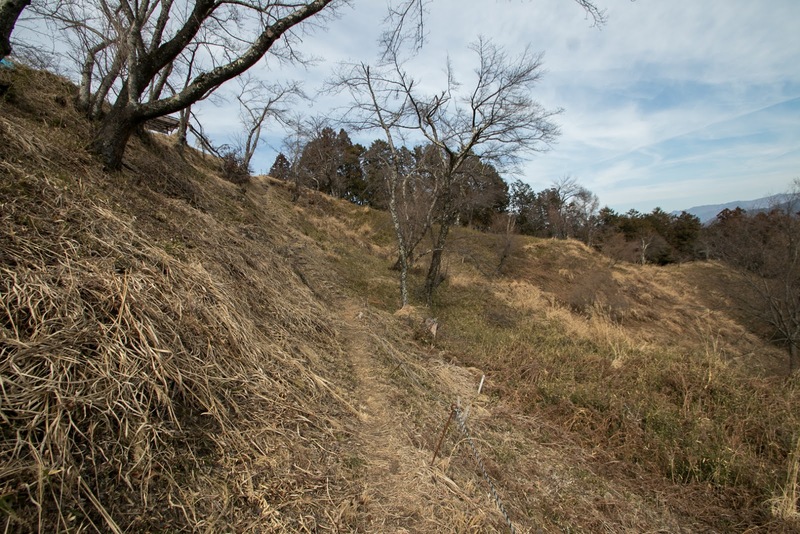 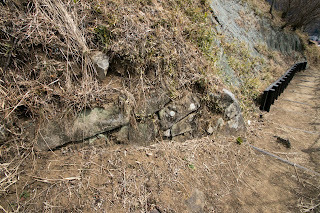 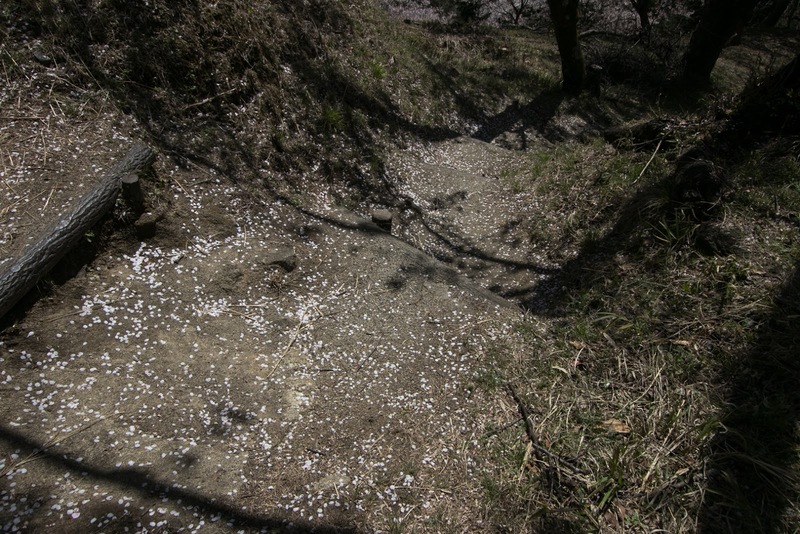 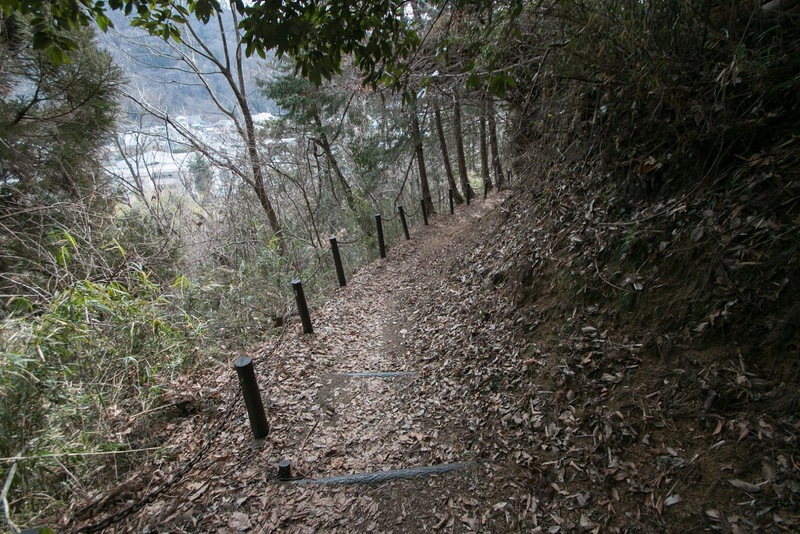 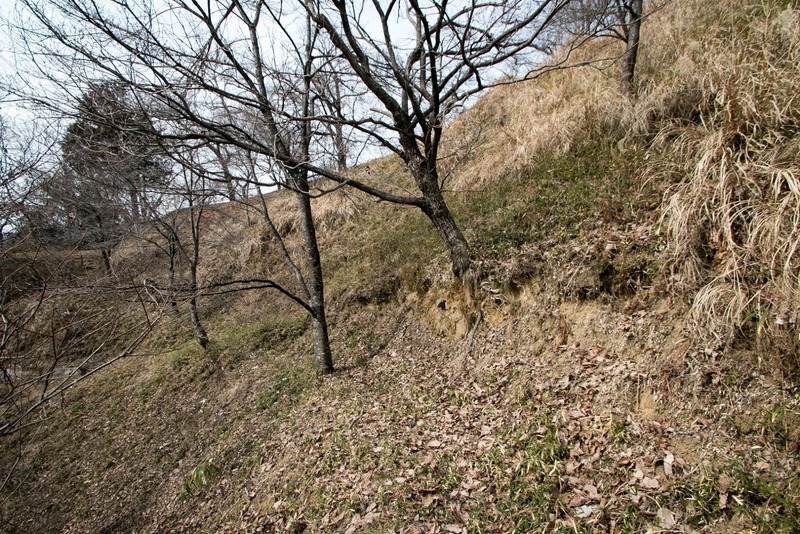 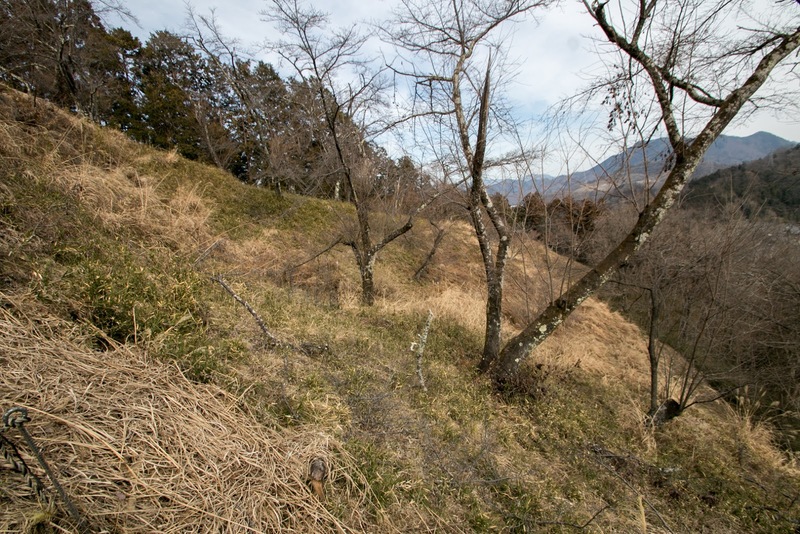 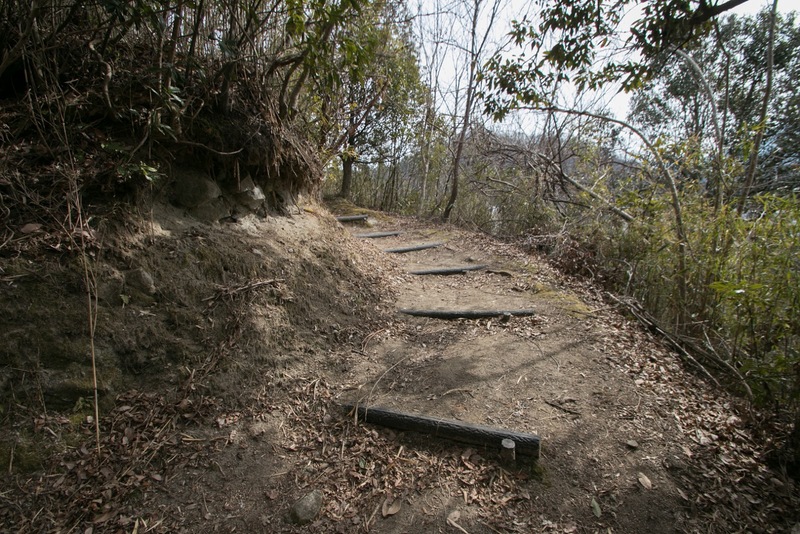 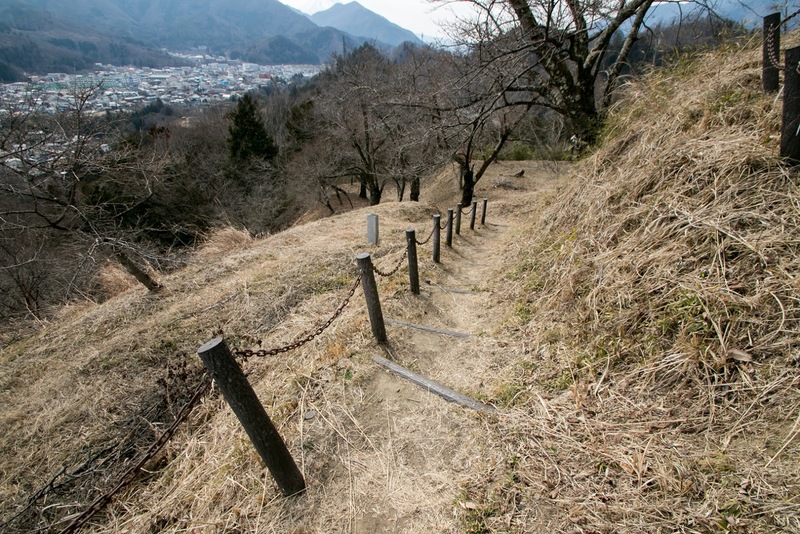 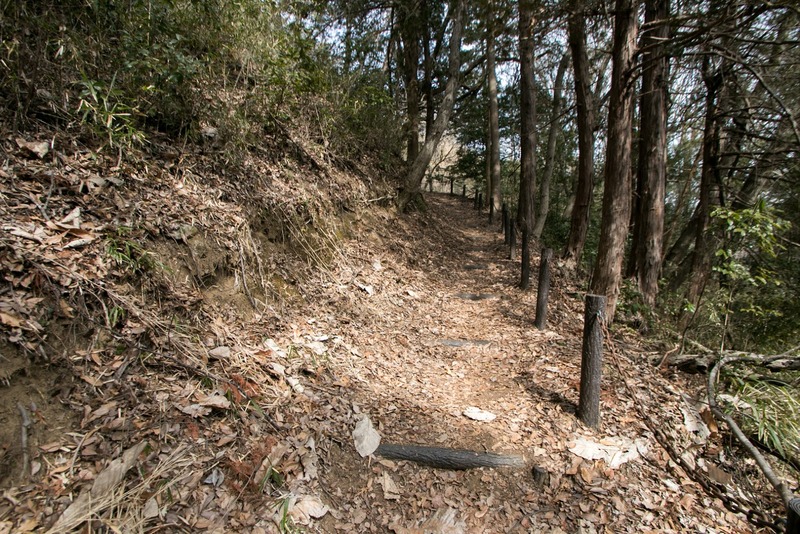 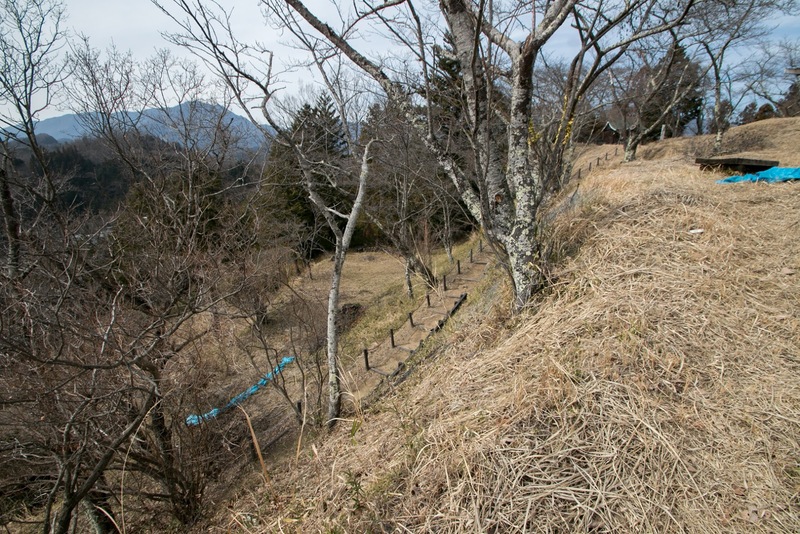 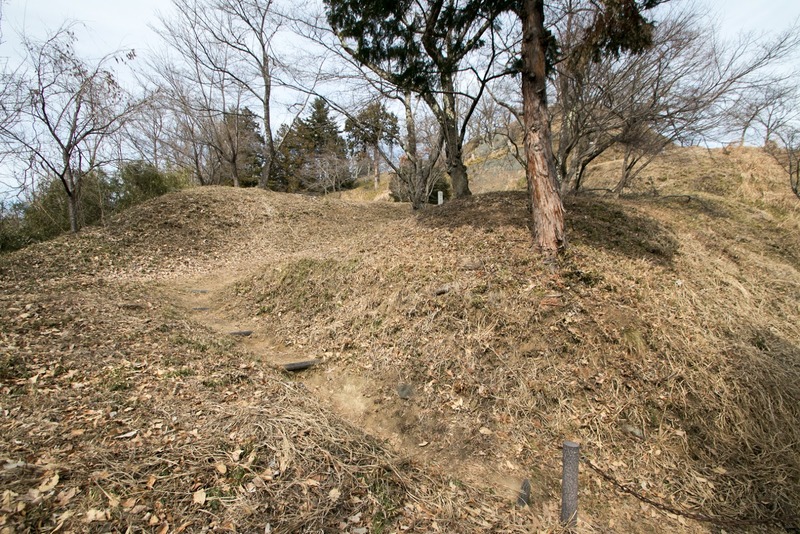 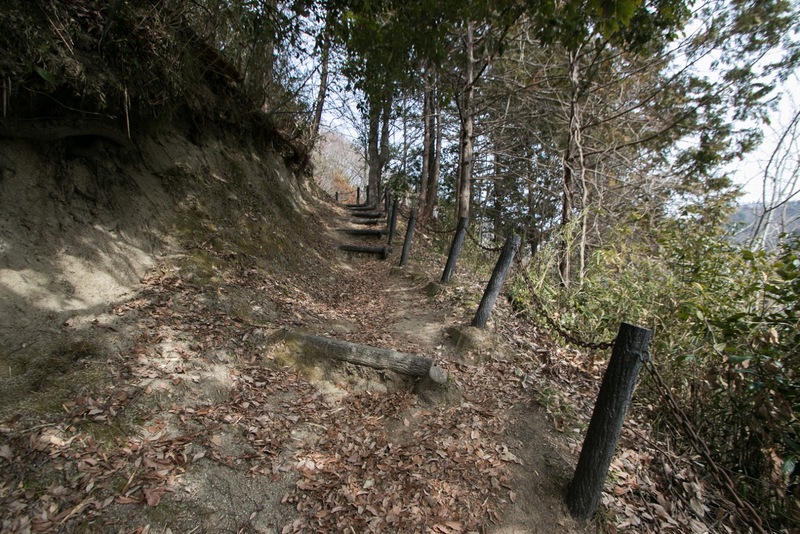 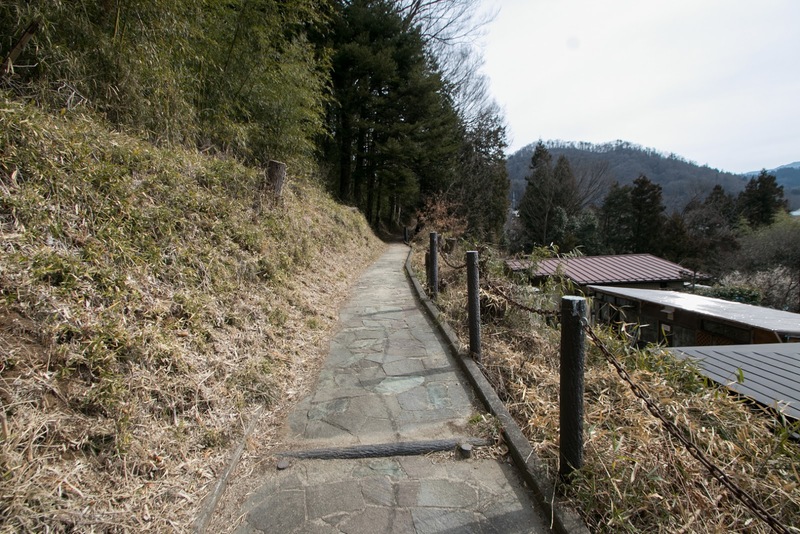 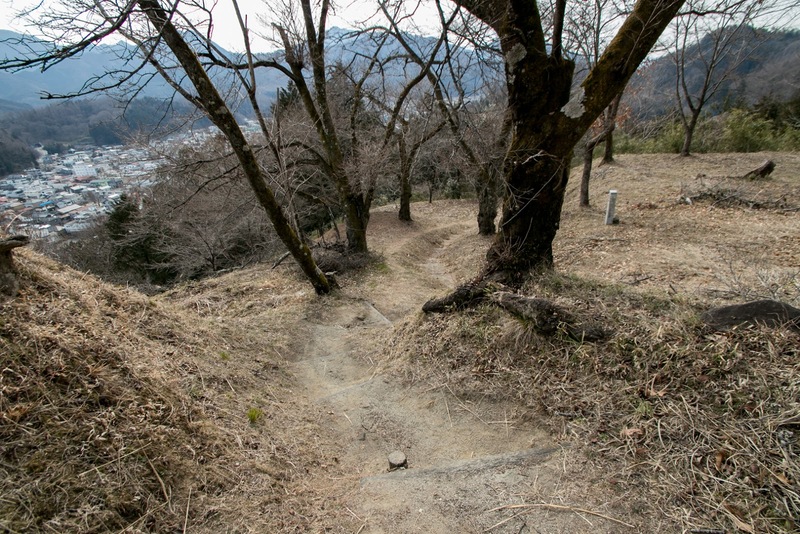 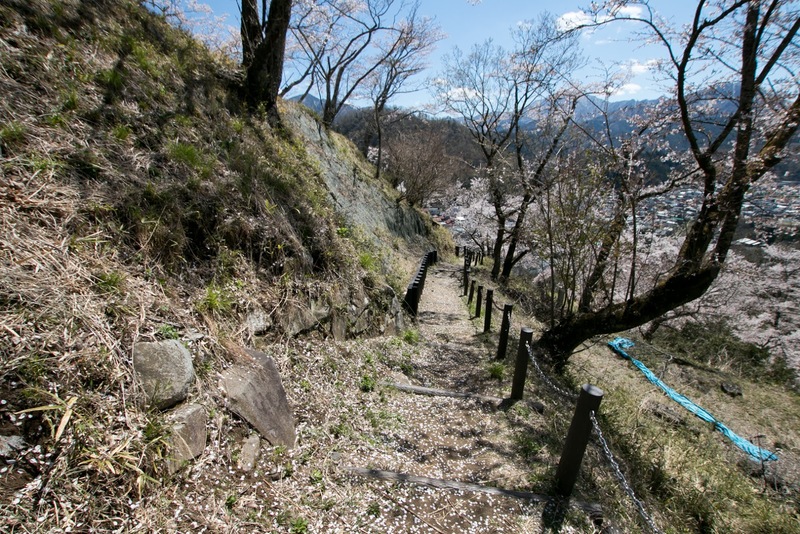 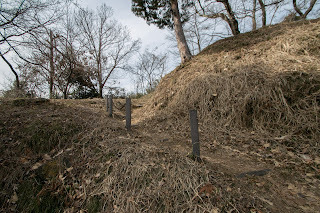 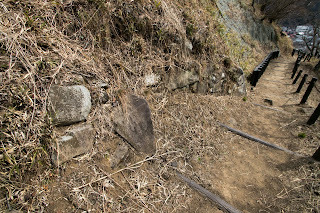 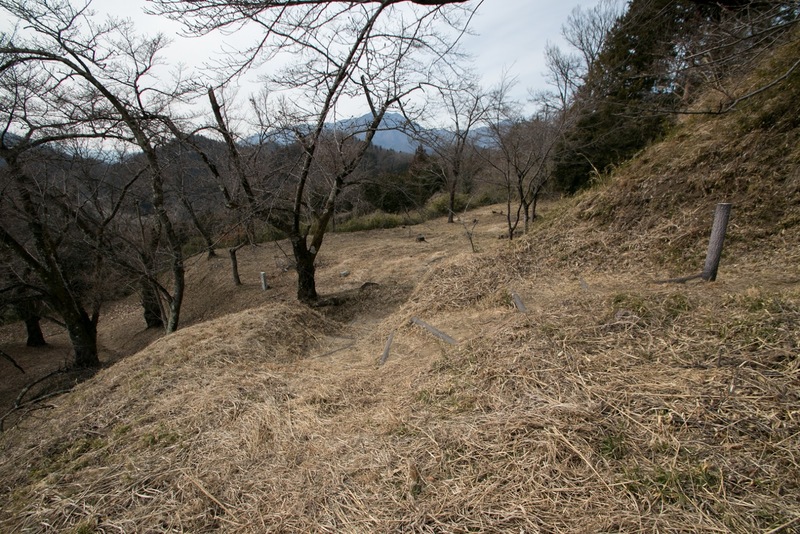 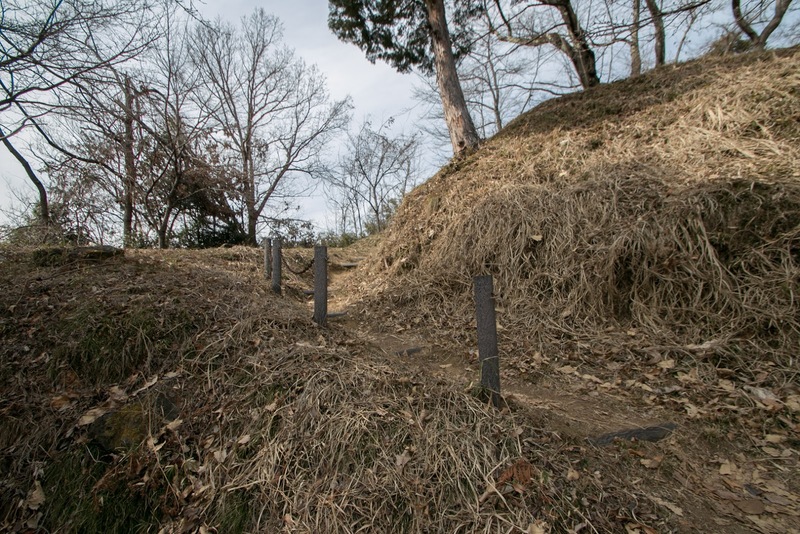 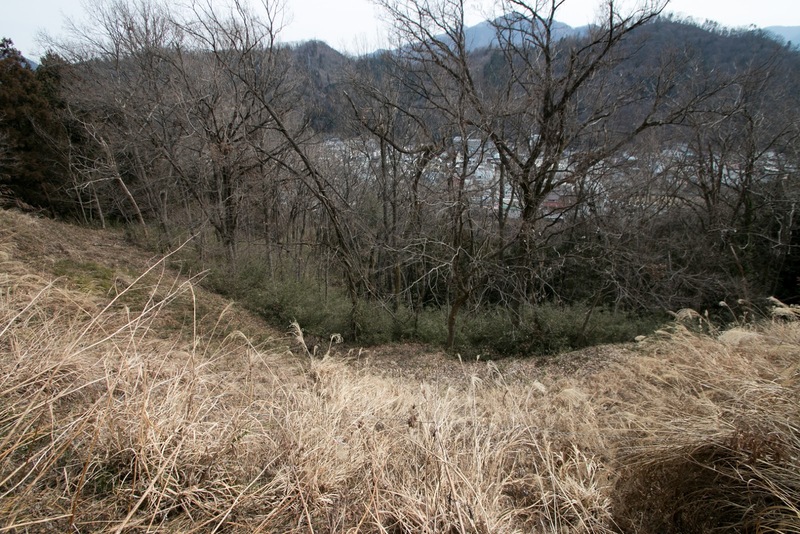 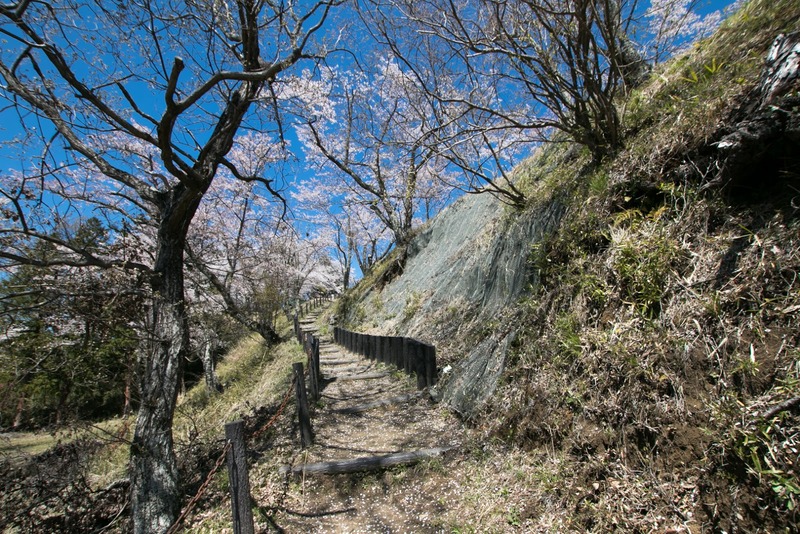 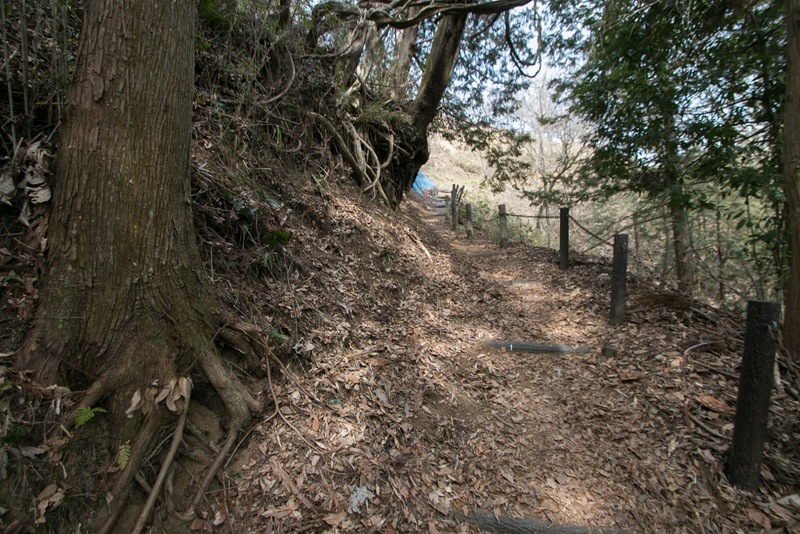 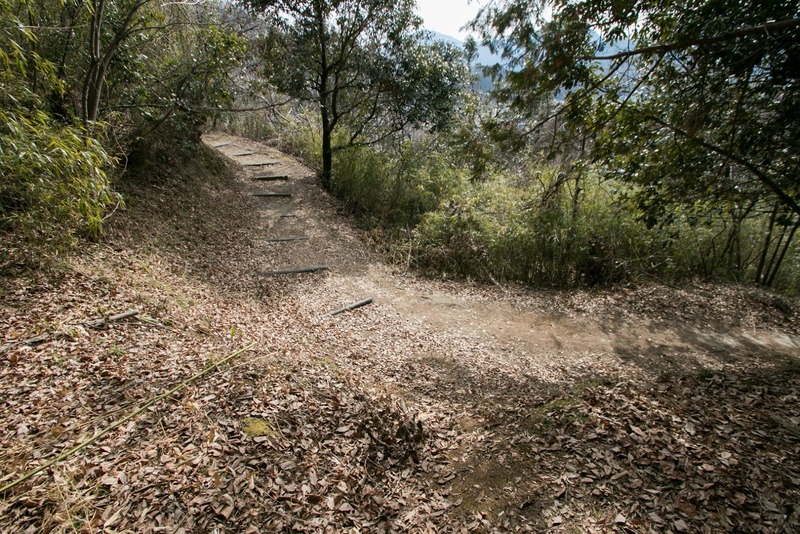 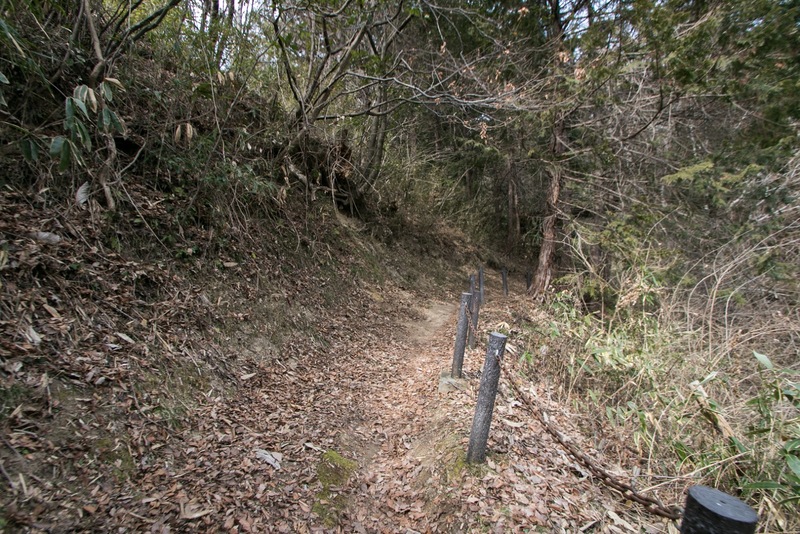 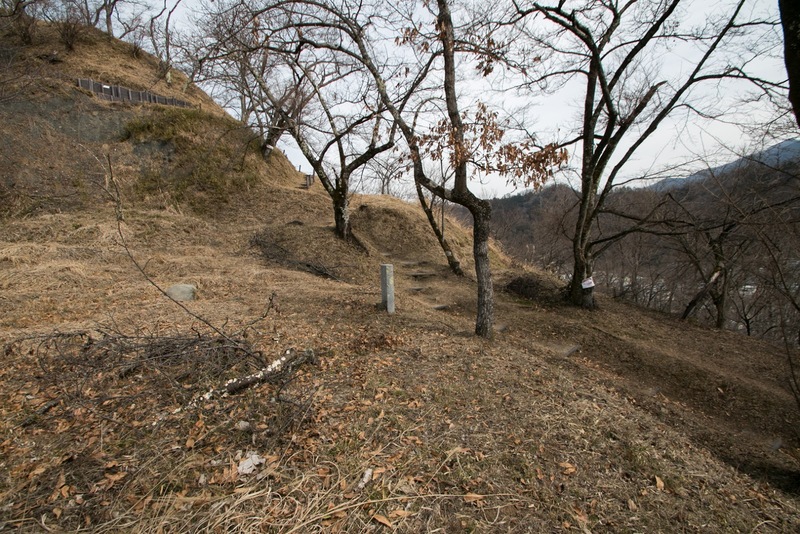 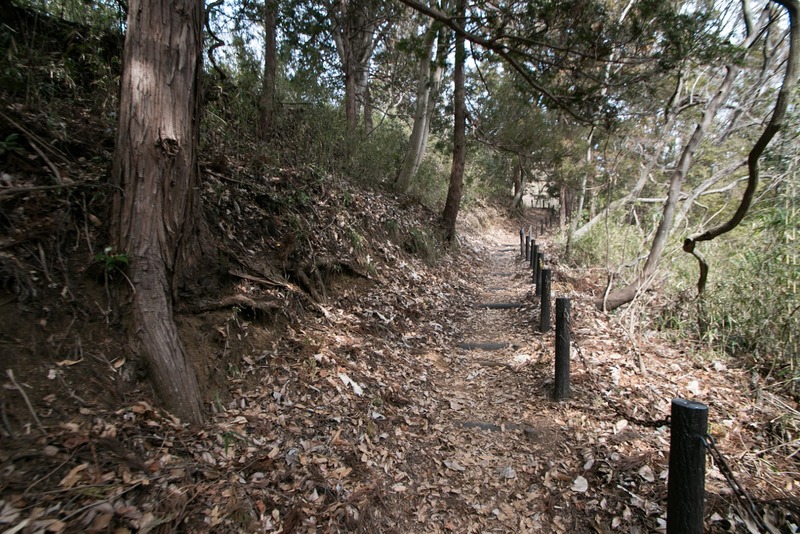 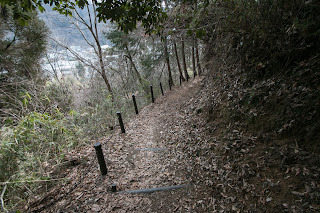 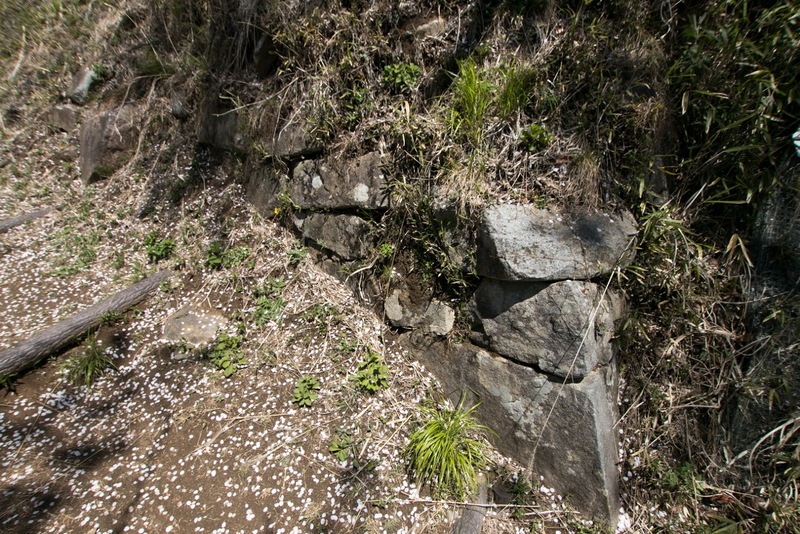 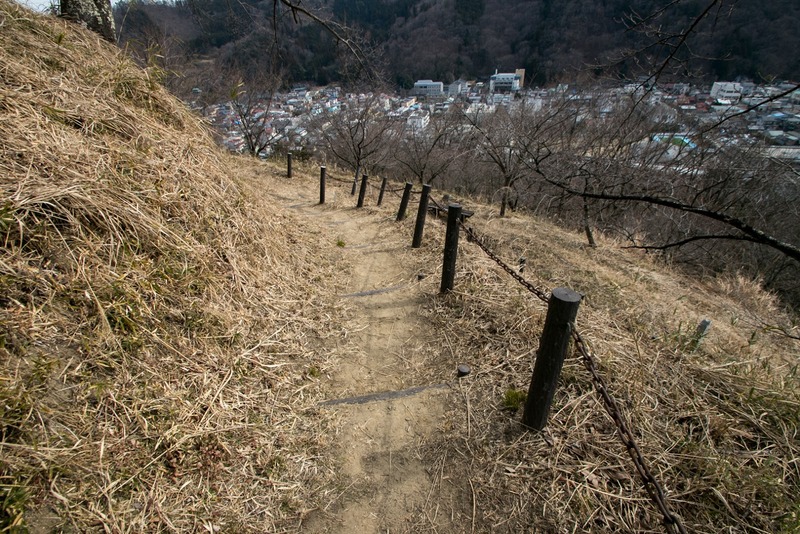 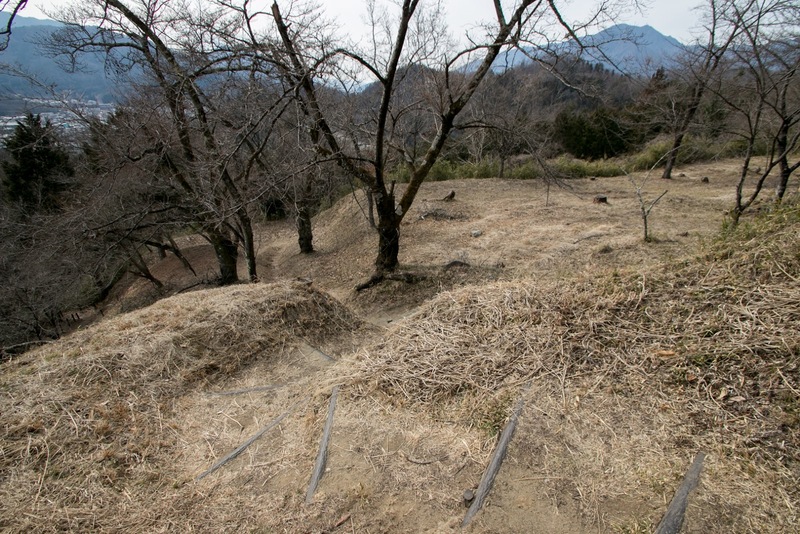 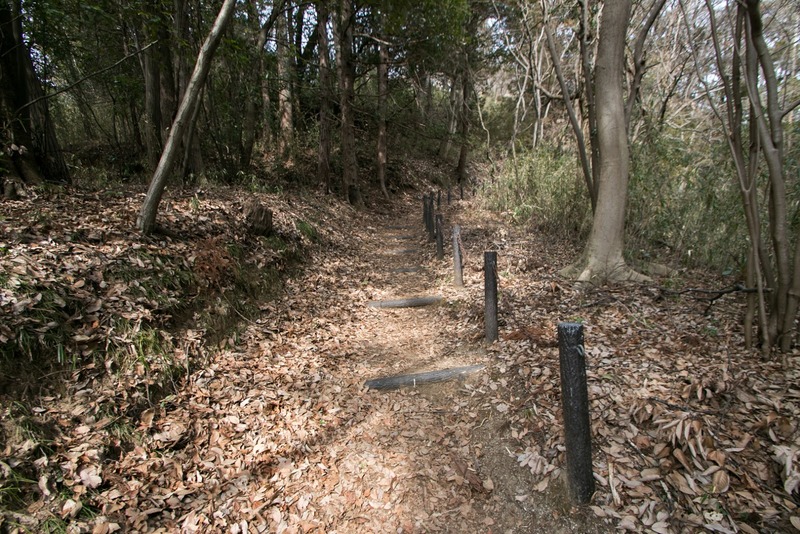 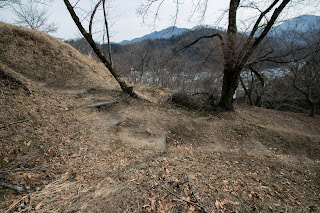 Contrary to modernized central area, three ridges keeps original shape of Oyamada period, consist of narrow and small terraces having dry moat at its edge. 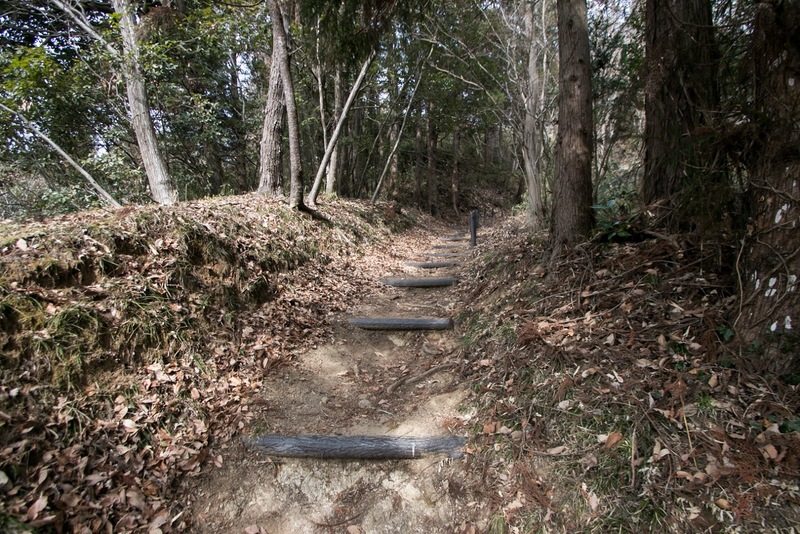 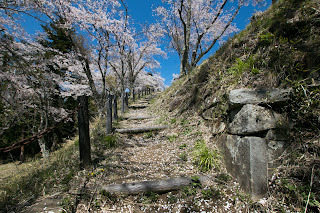 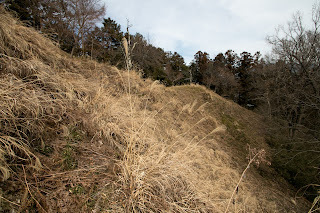 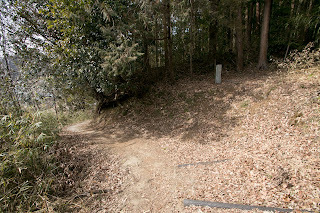 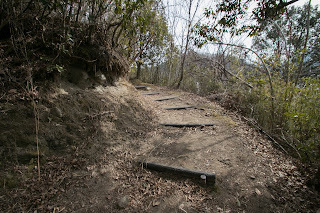 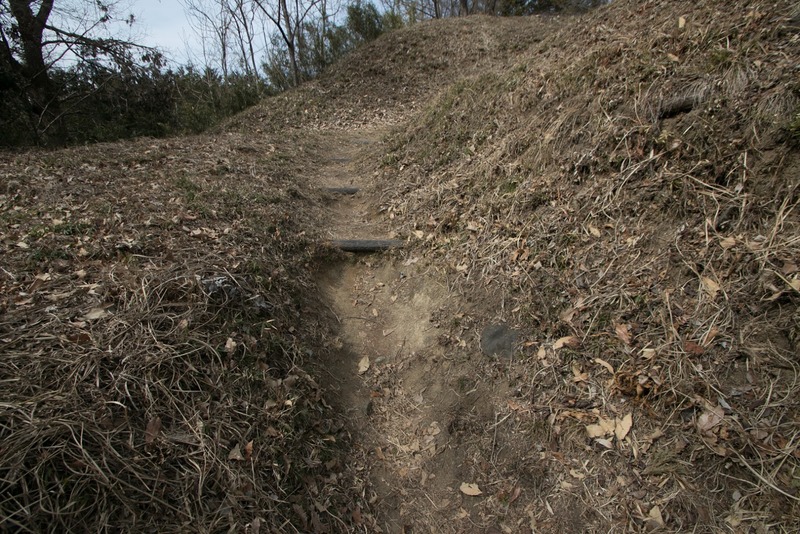 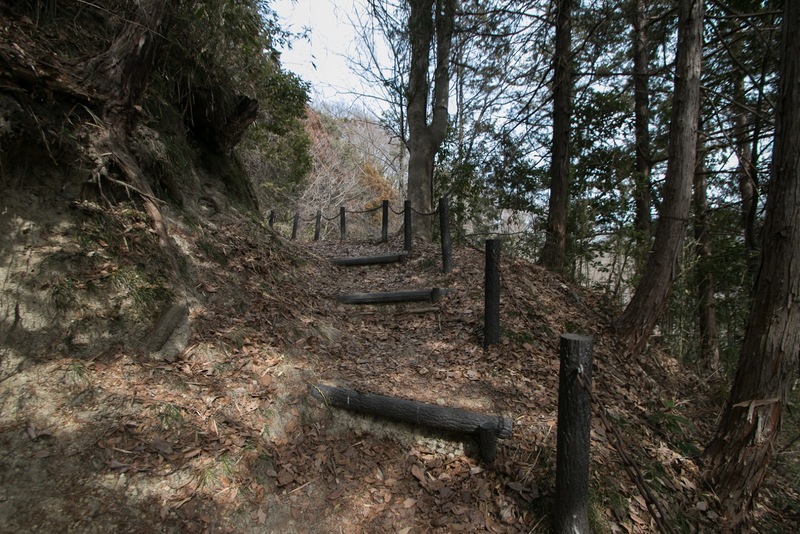 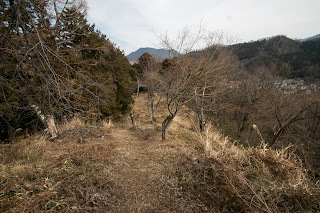 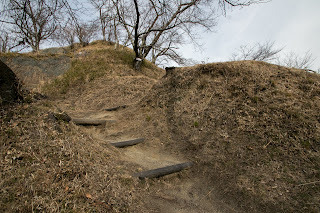 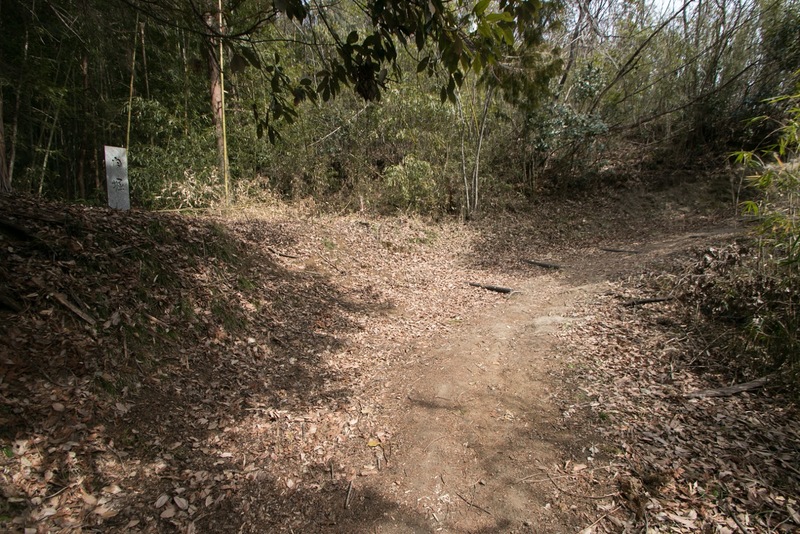 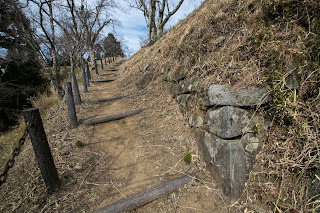 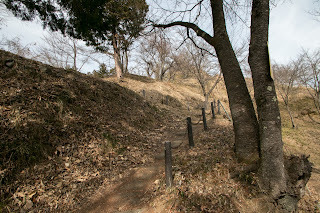 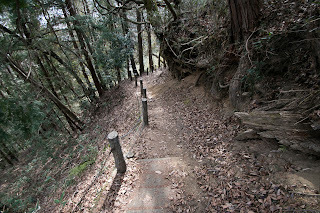 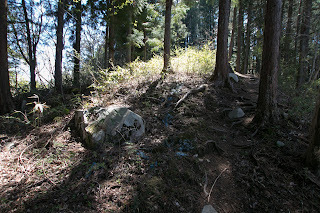 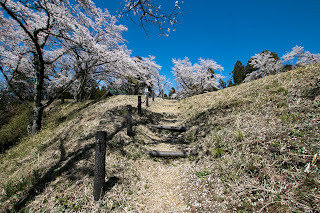 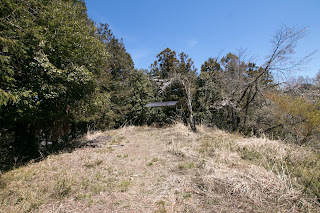 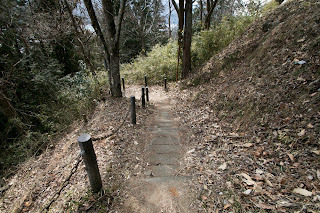 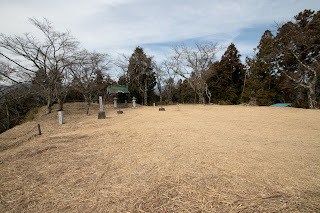 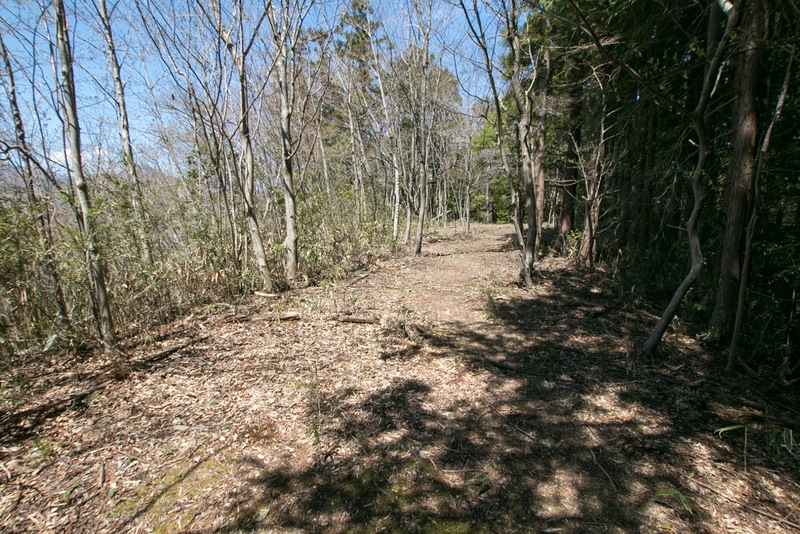 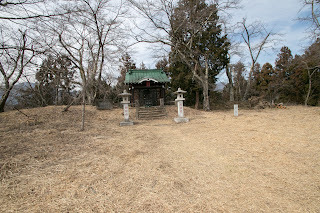 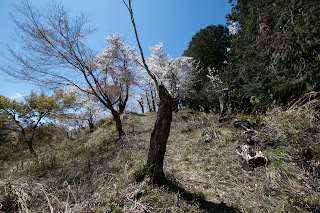 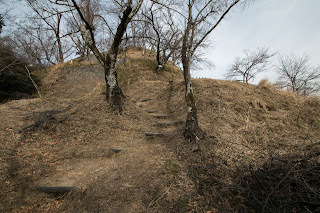 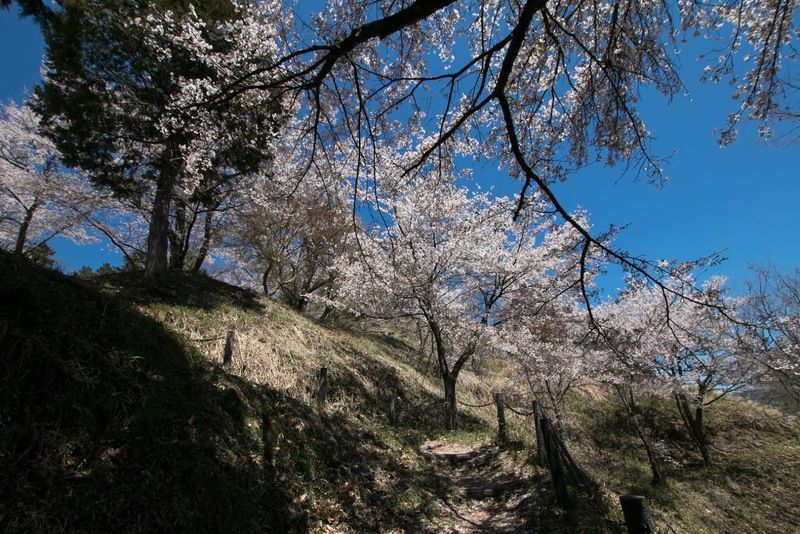 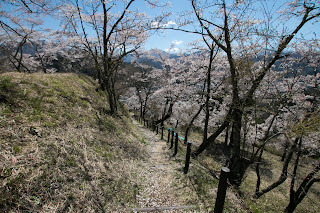 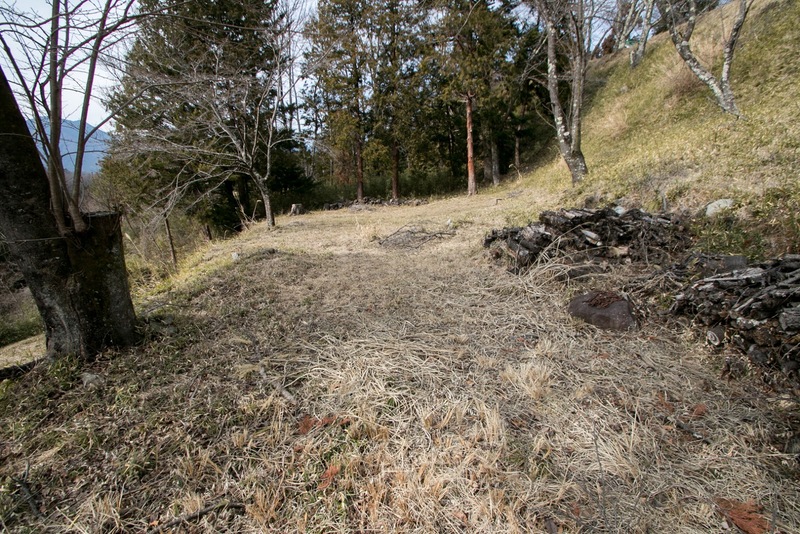 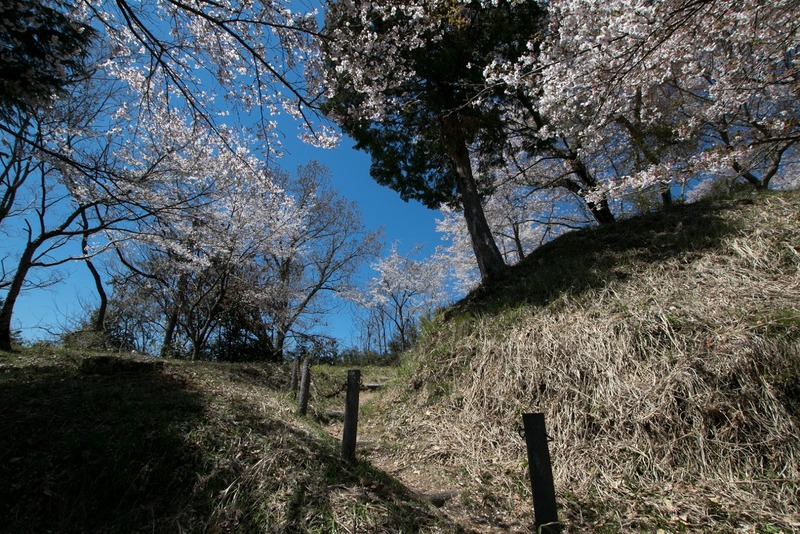 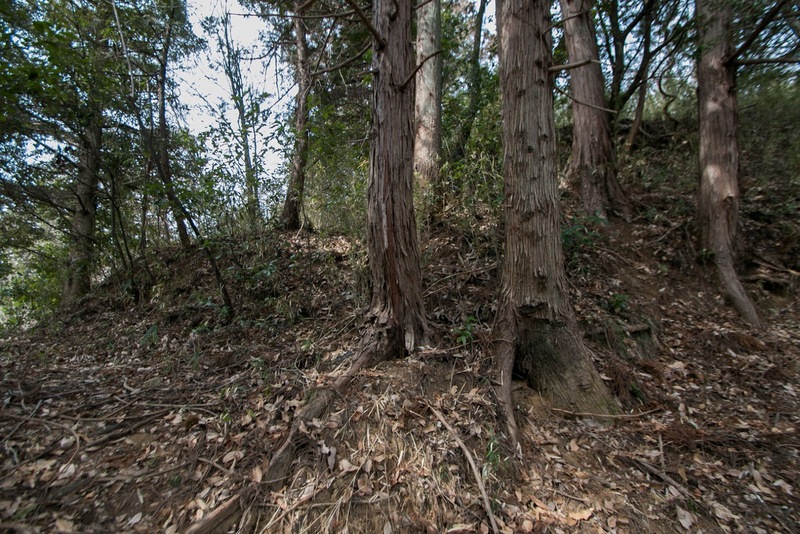 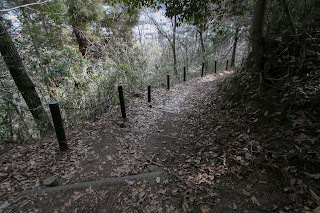 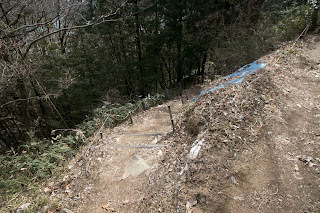 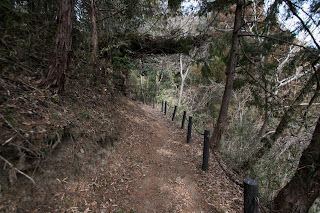 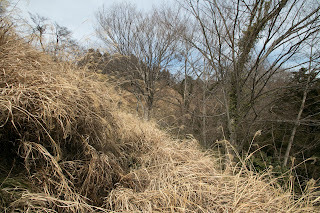 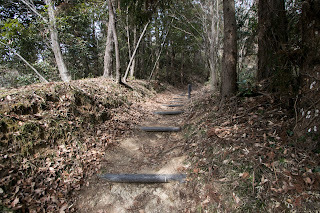 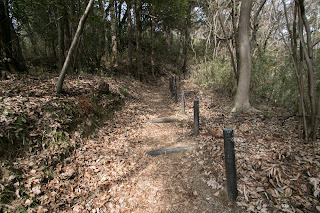 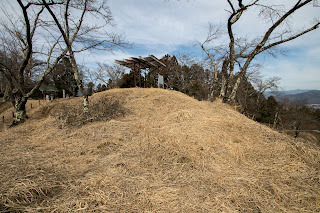 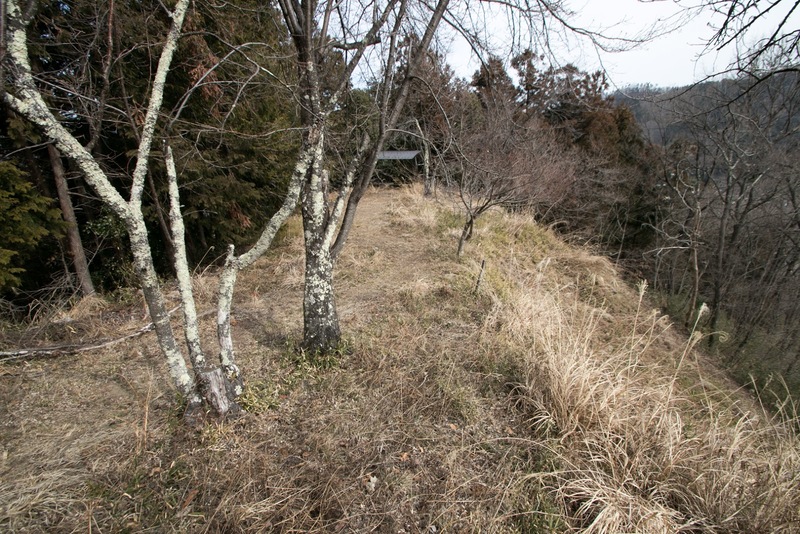 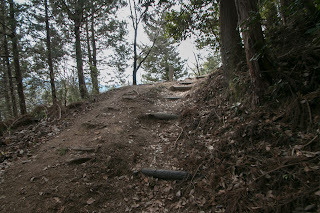 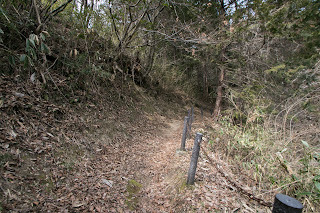 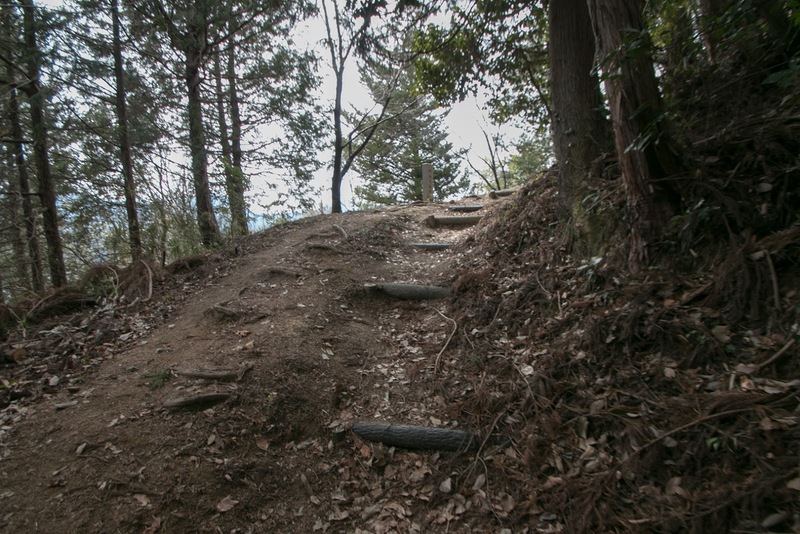 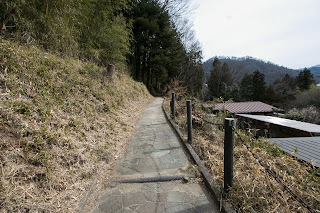 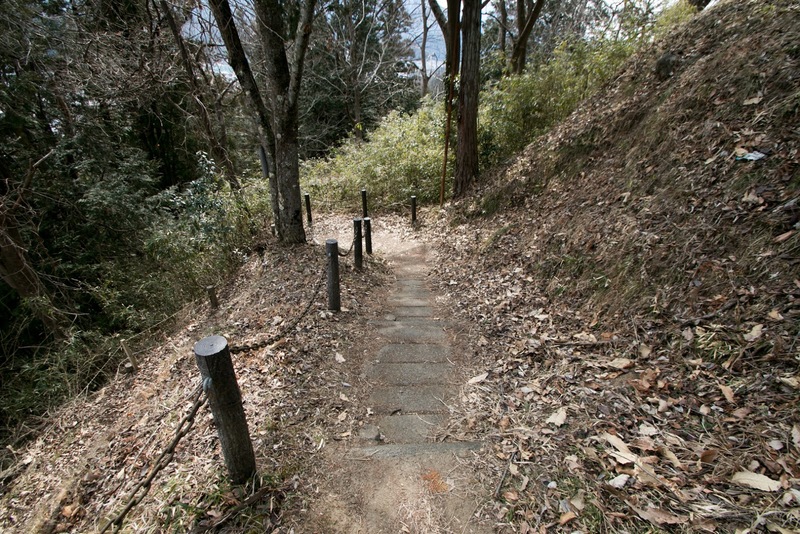 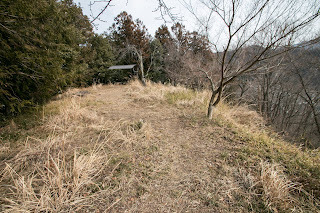 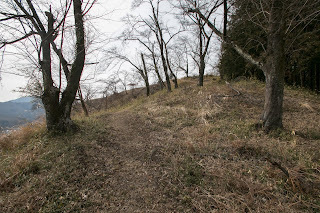 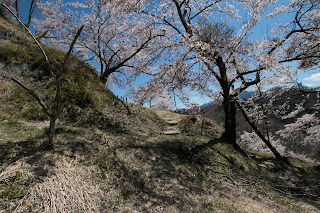 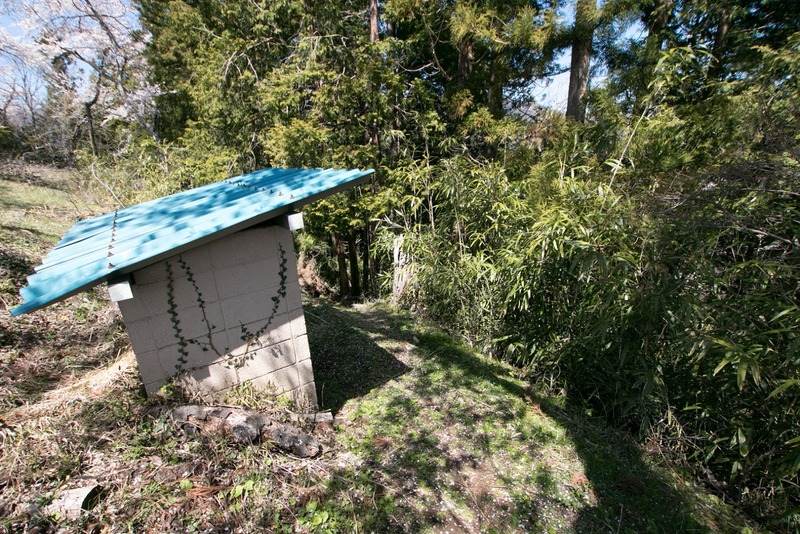 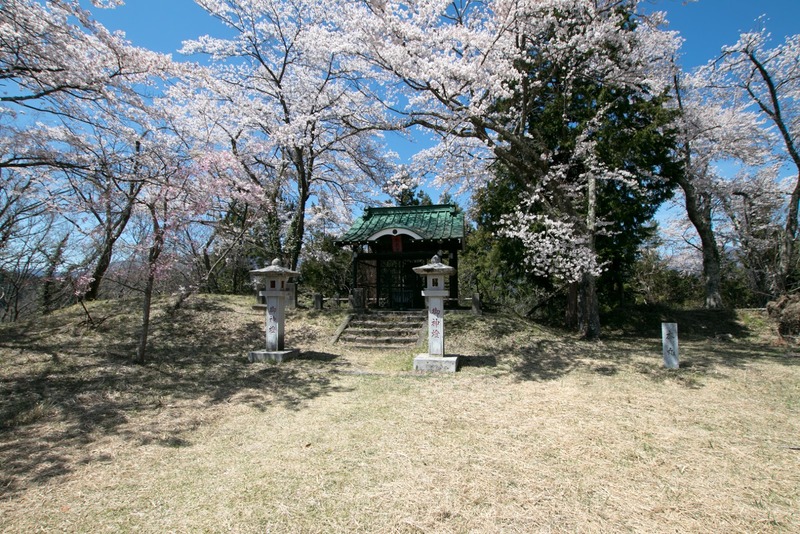 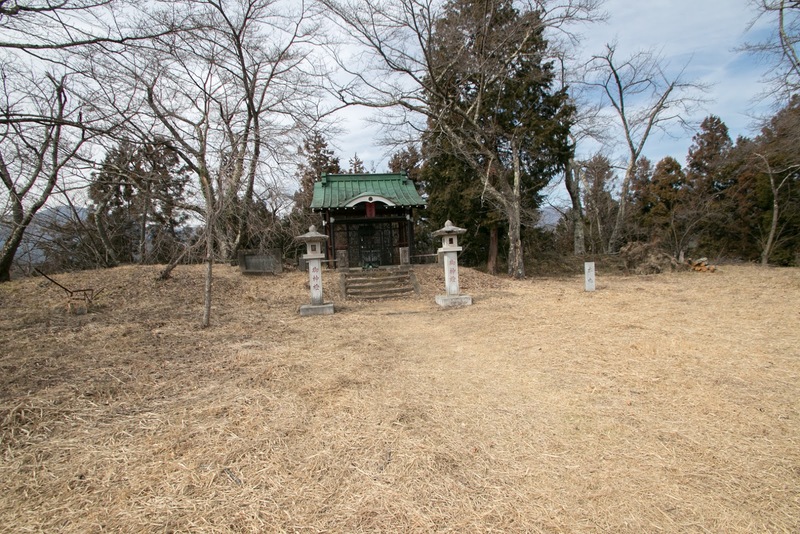 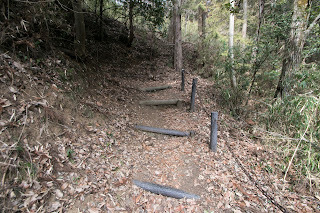 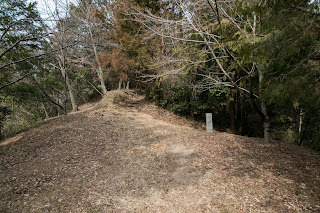 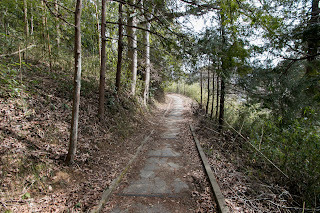 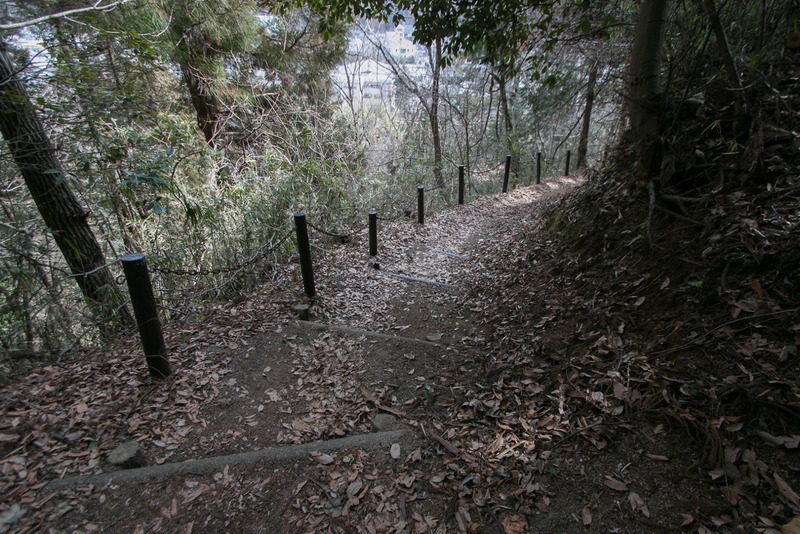 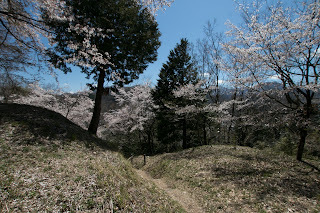 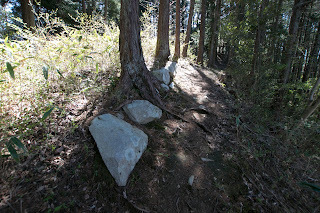 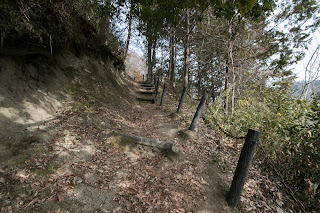 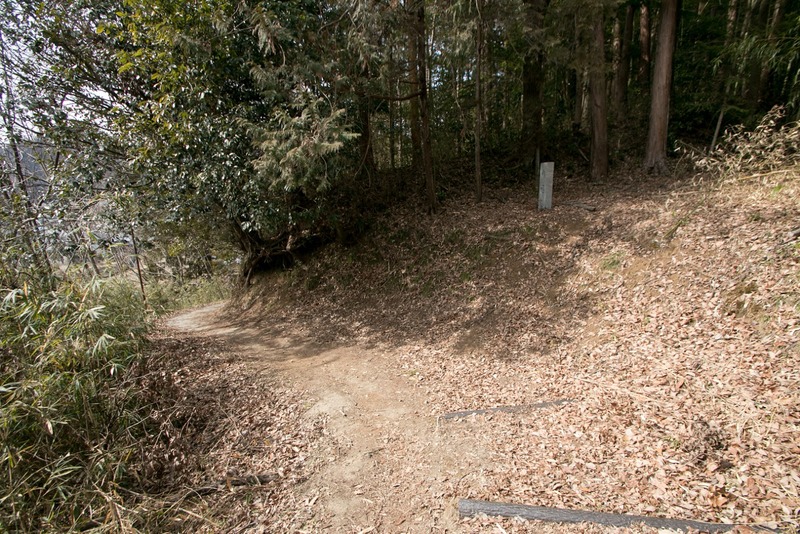 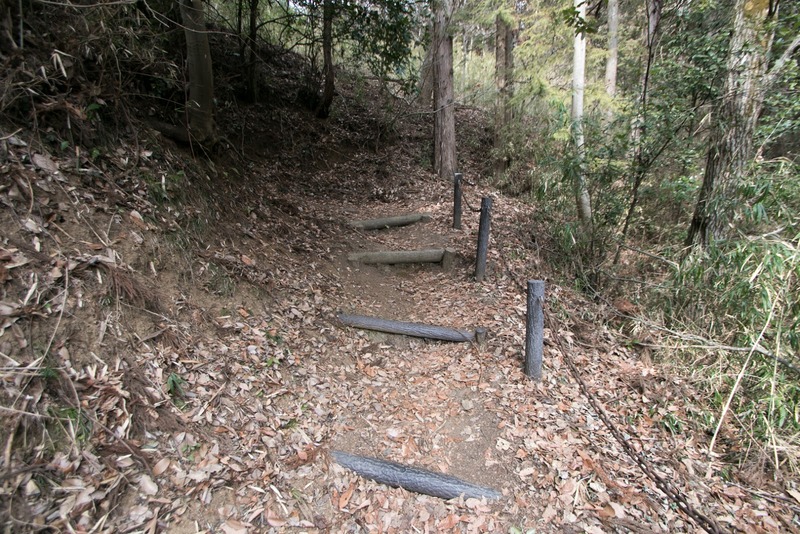 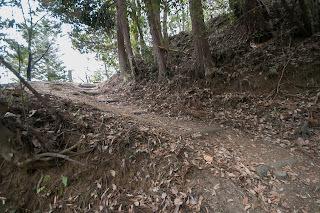 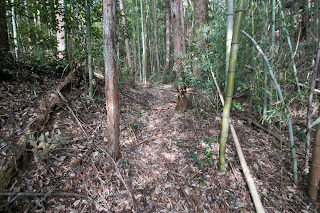 At the root of southern ridge, there was a main gate of castle which was a masugata style one with buffer area. 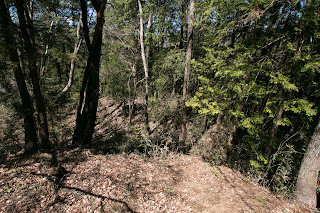 Outside of these areas, inner dry moat over 20 meter width covered western line of the castle. 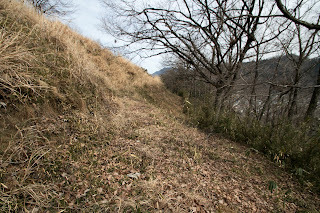 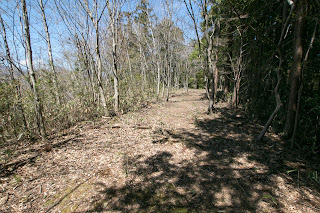 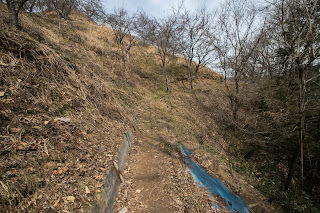 Furthermore, Outer dry moat nearly 50 meter wide runs from the south of the castle to the western valley, now Chuo Jidoshado Expressway runs. 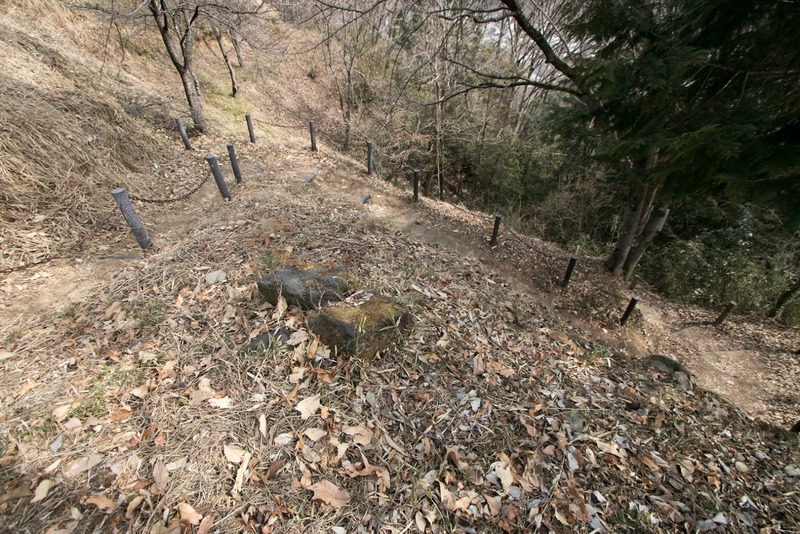 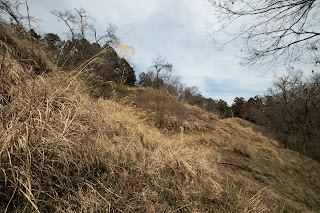 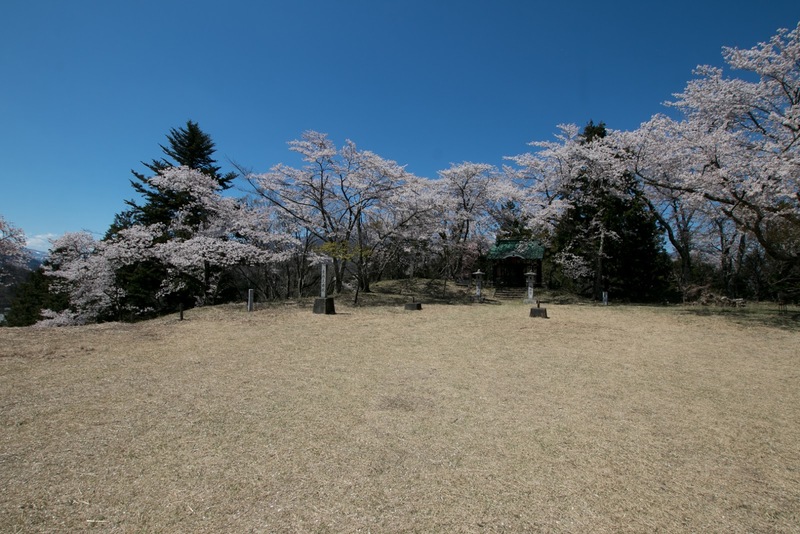 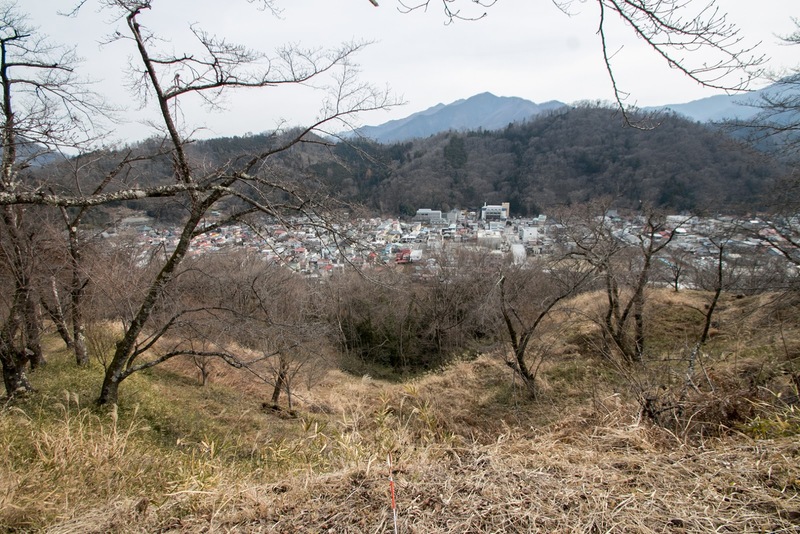 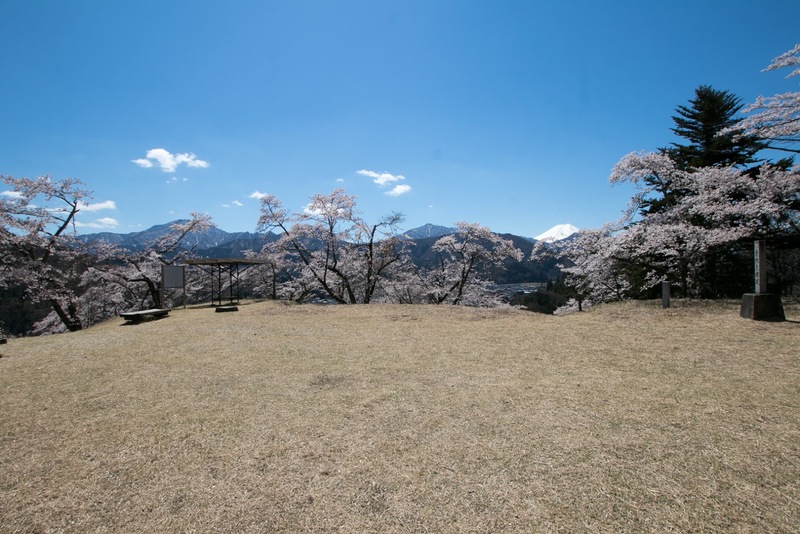 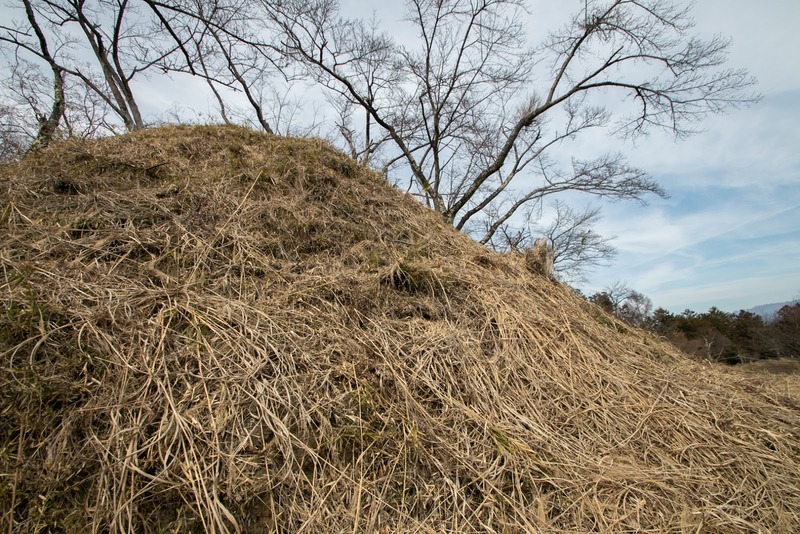 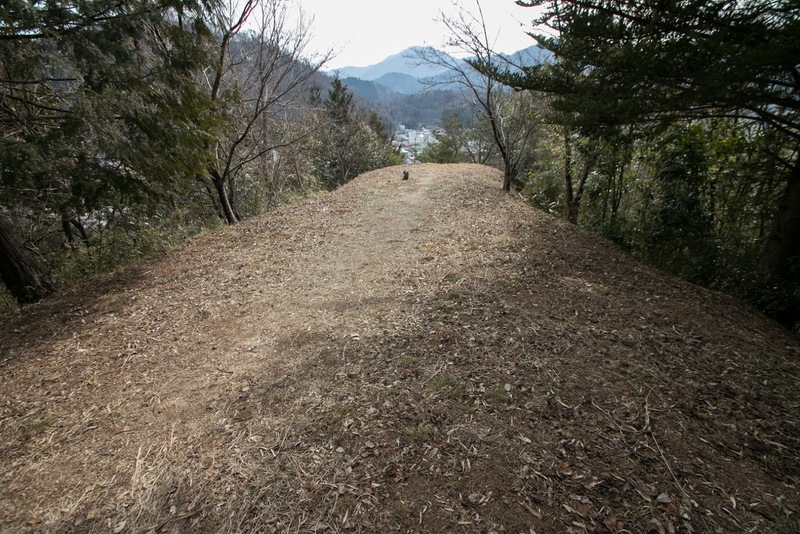 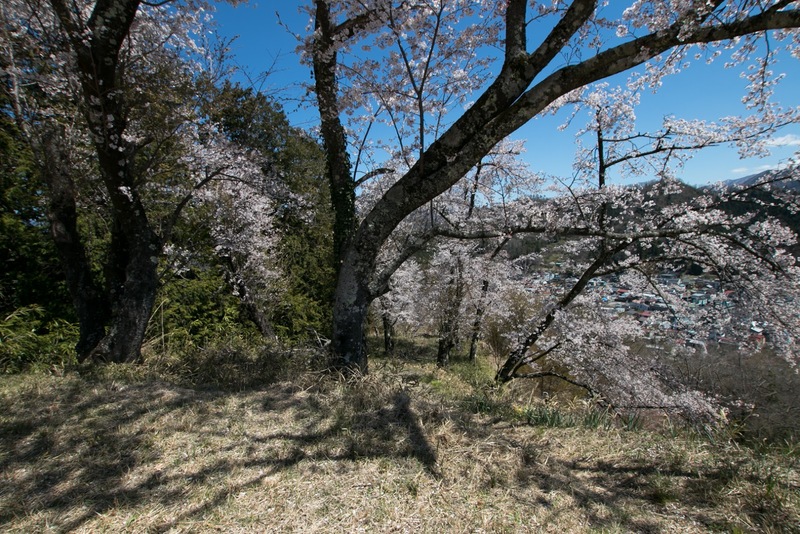 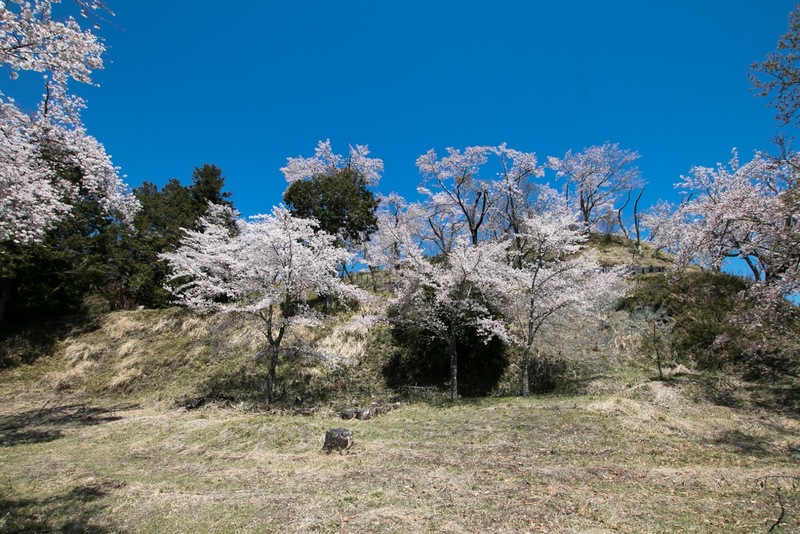 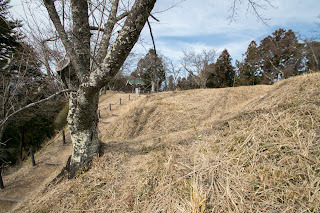 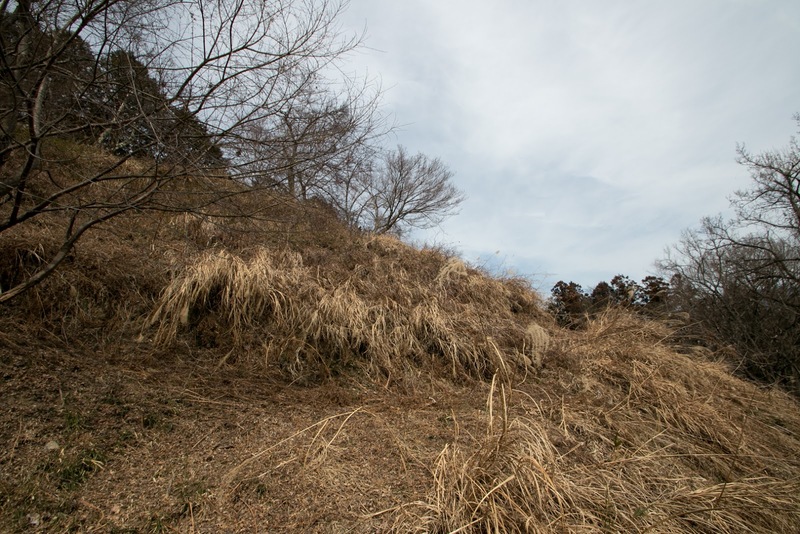 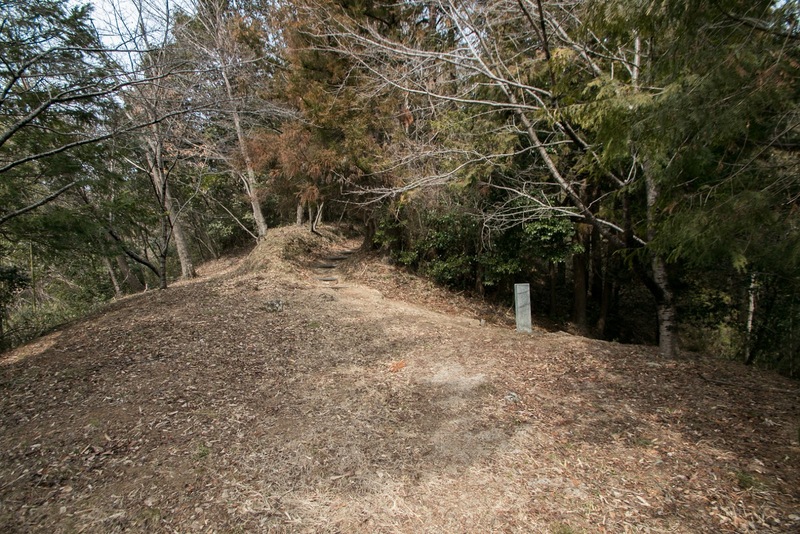 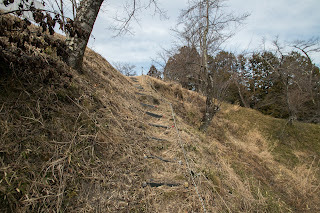 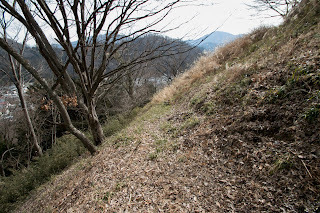 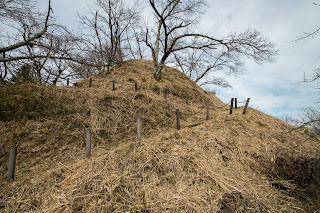 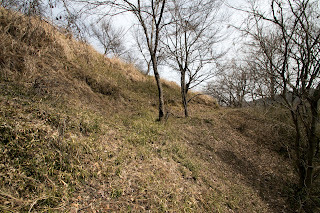 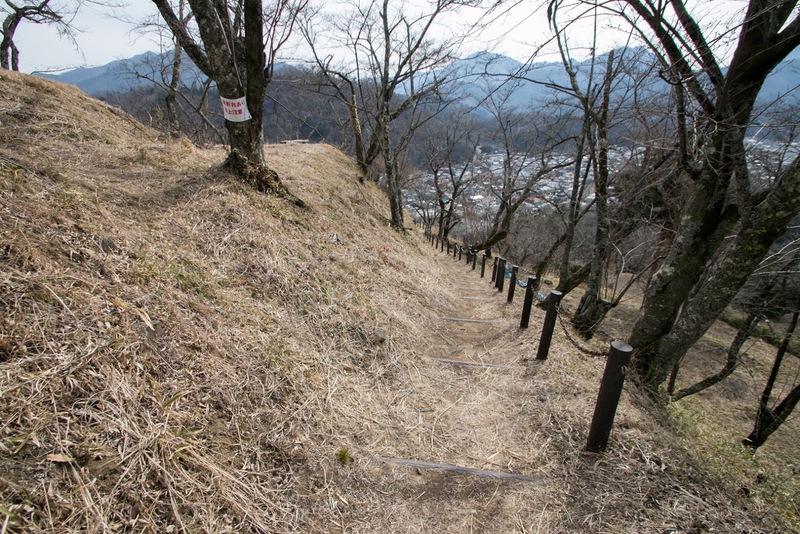 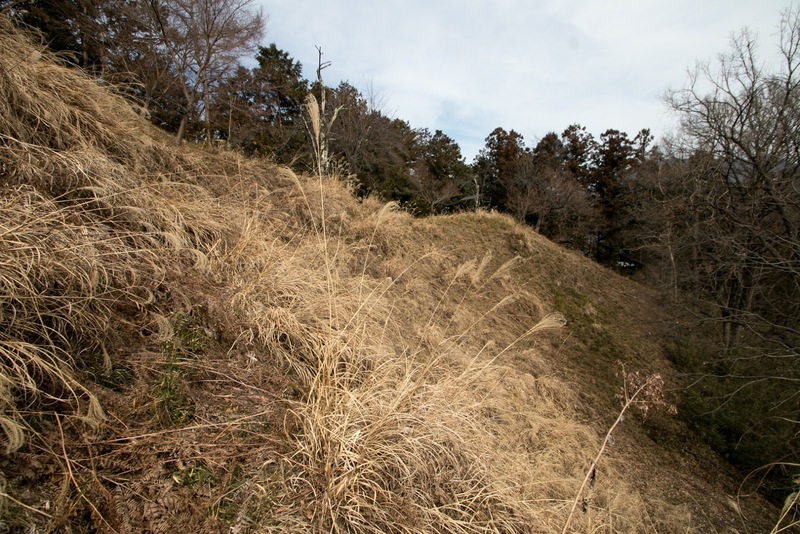 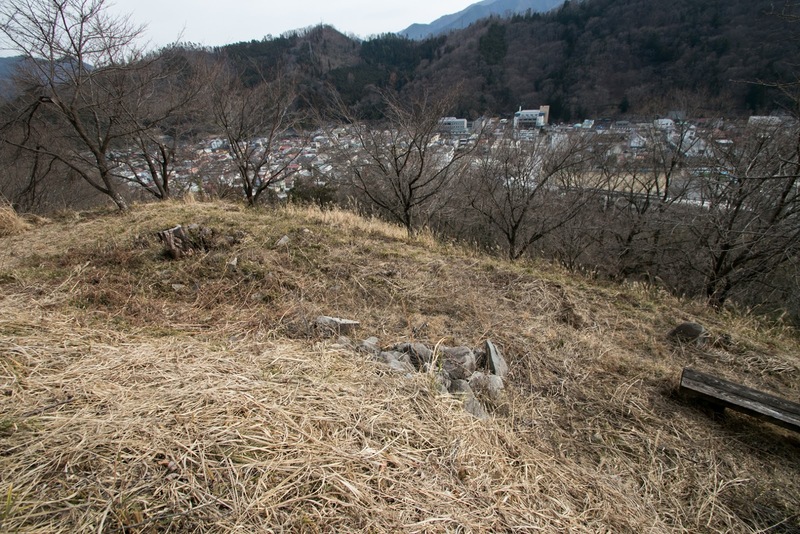 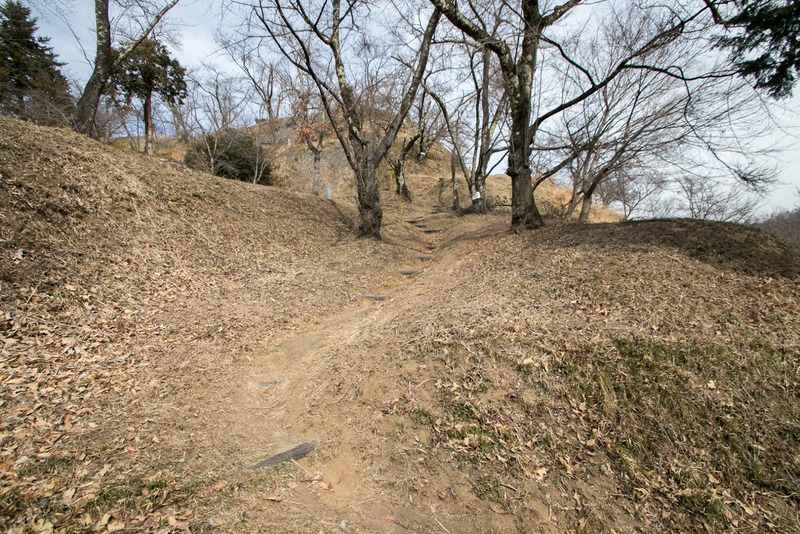 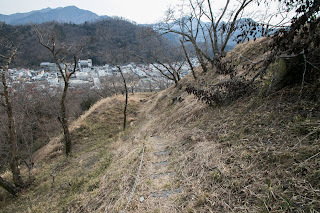 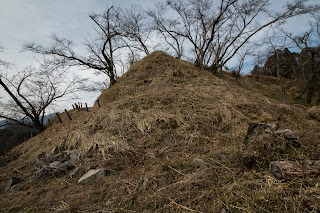 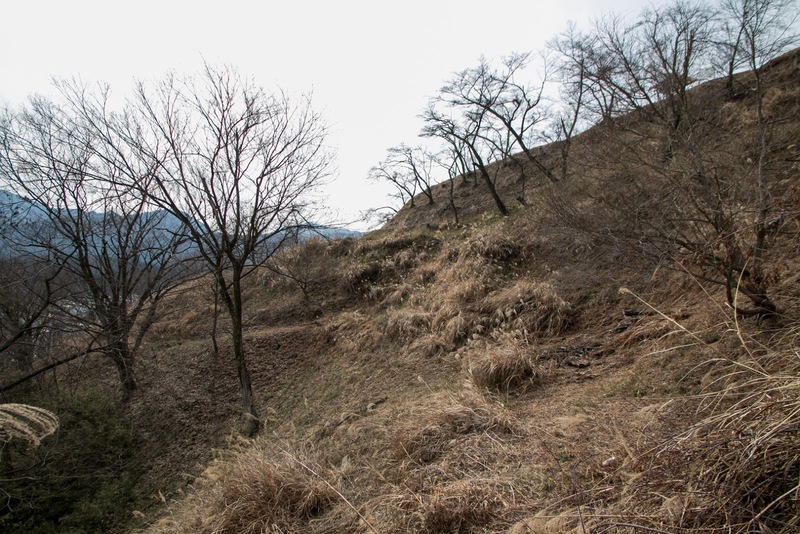 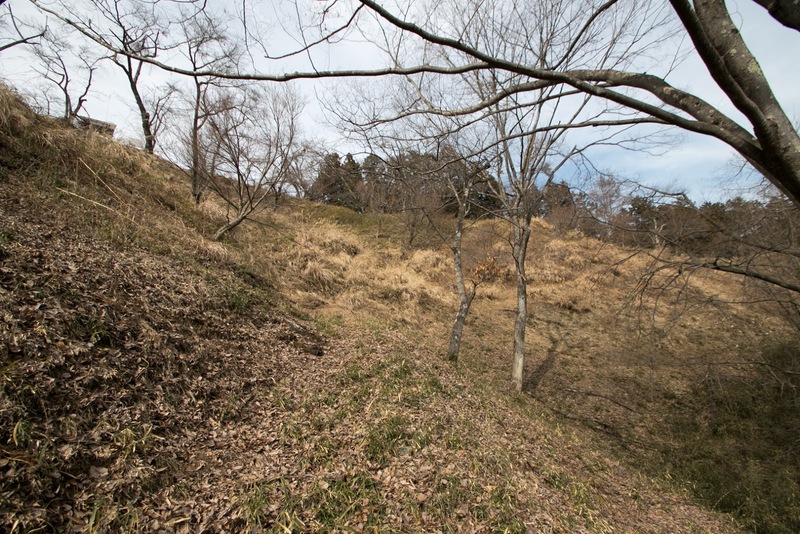 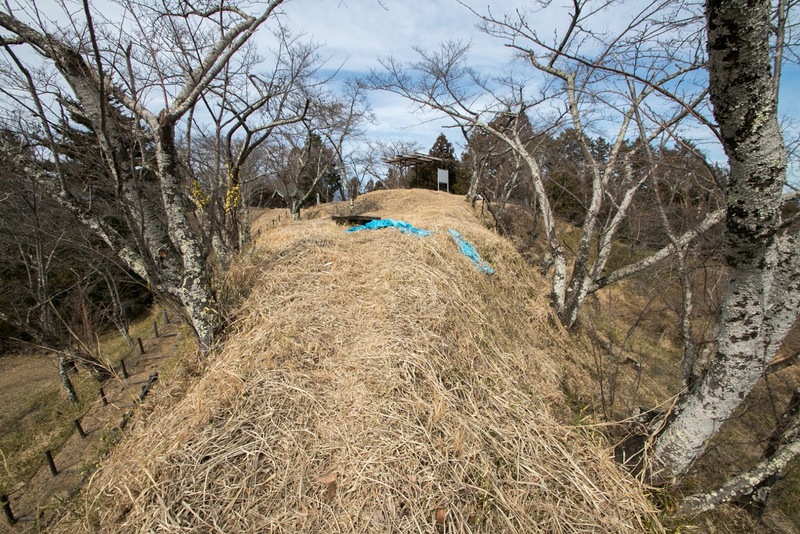 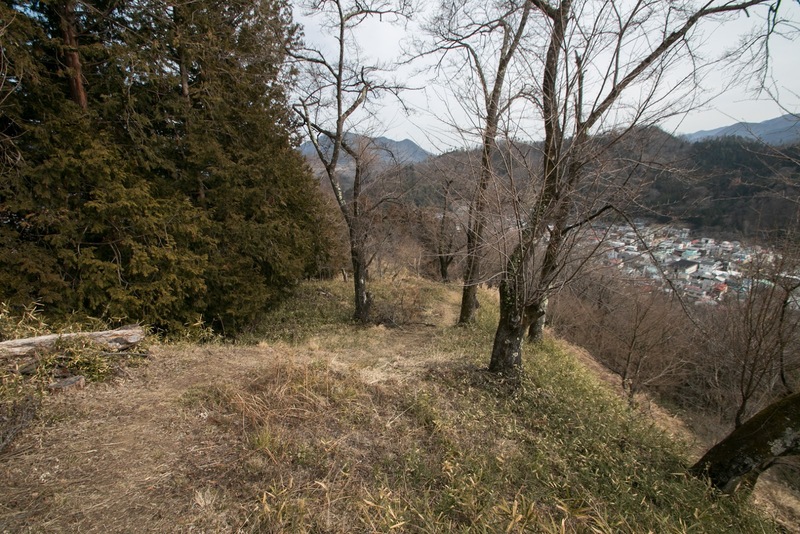 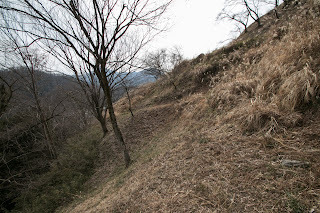 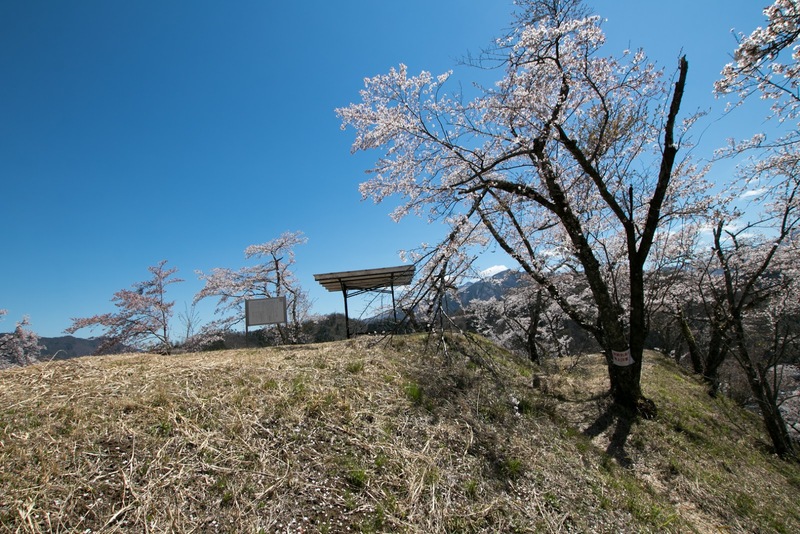 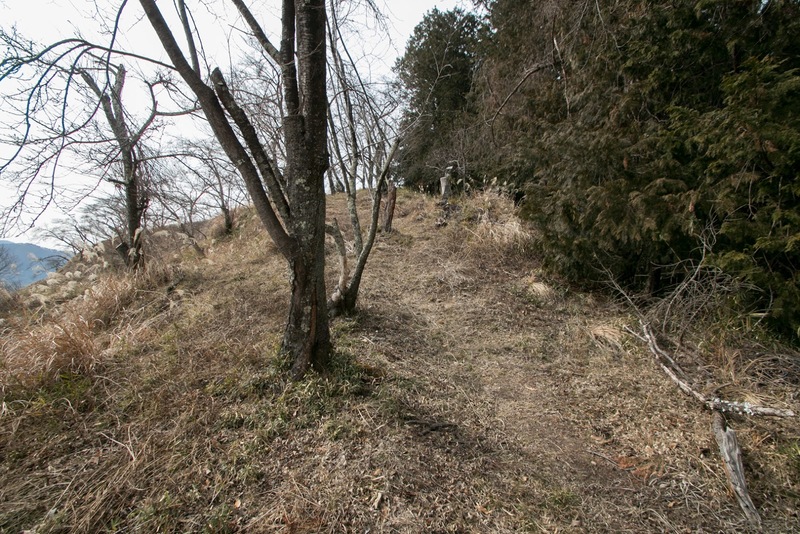 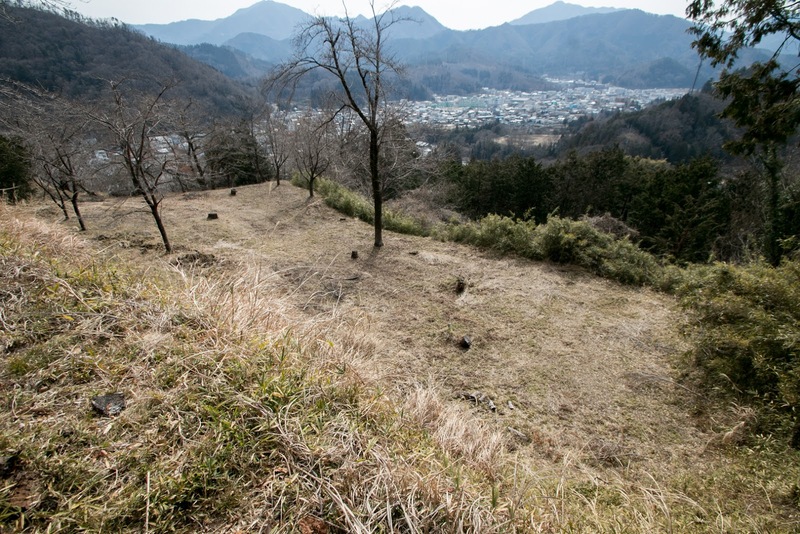 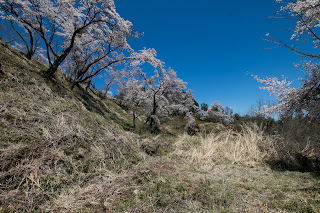 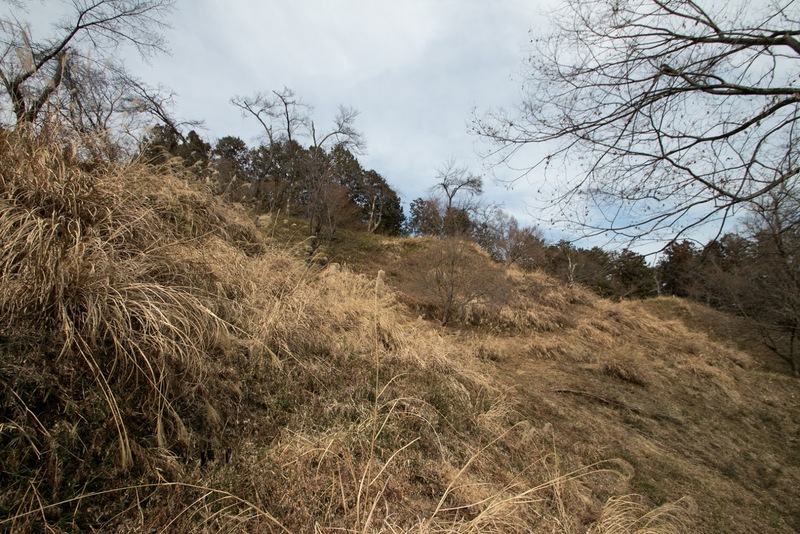 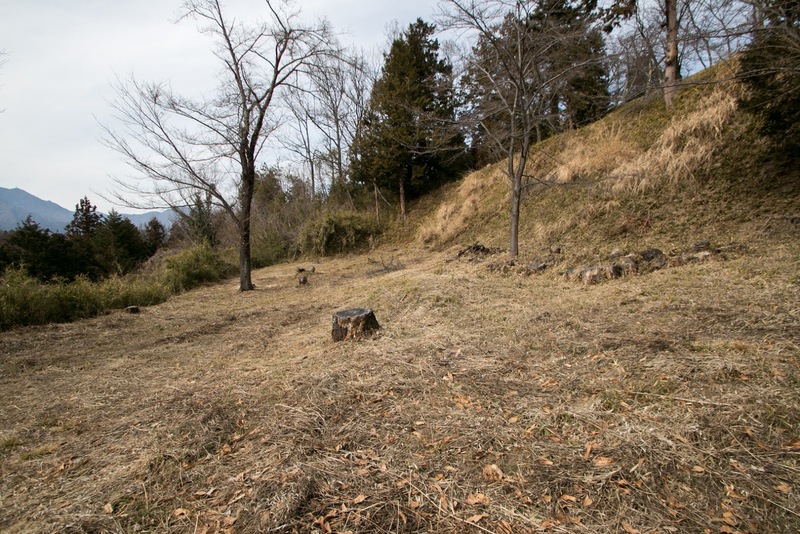 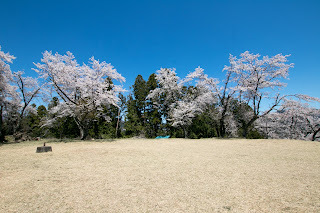 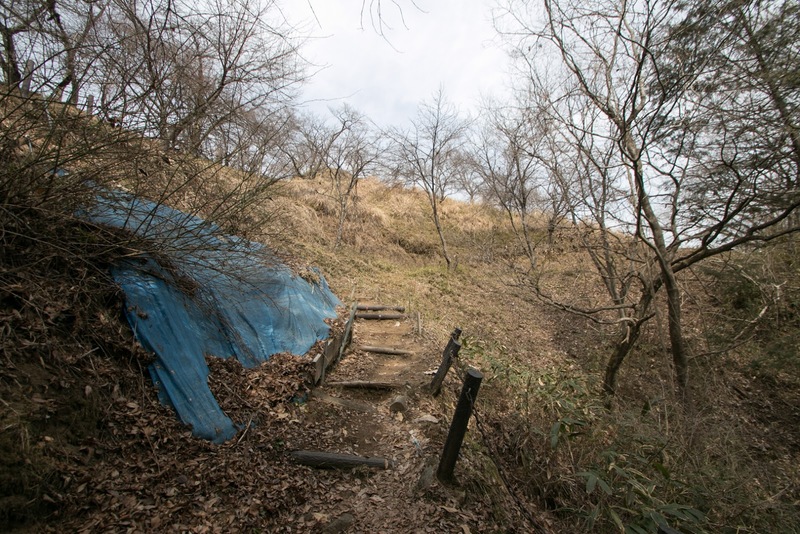 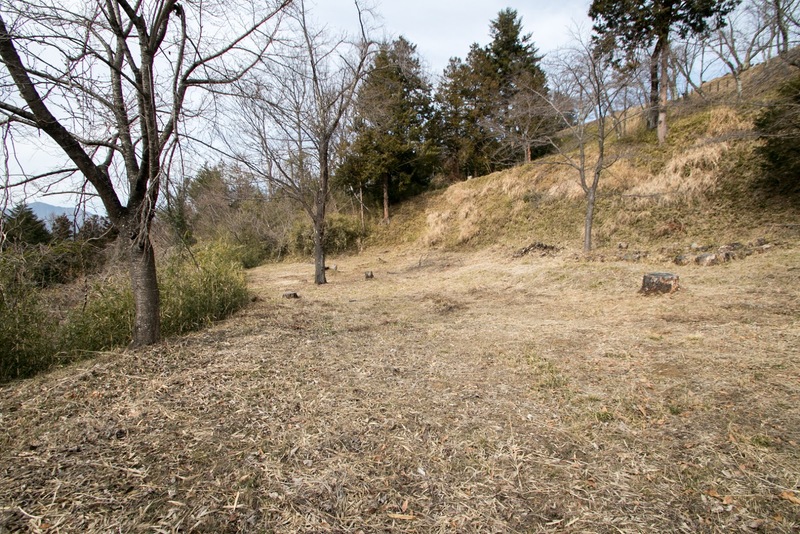 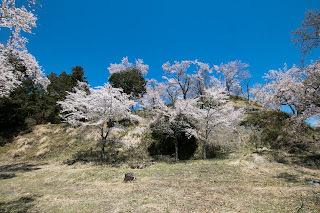 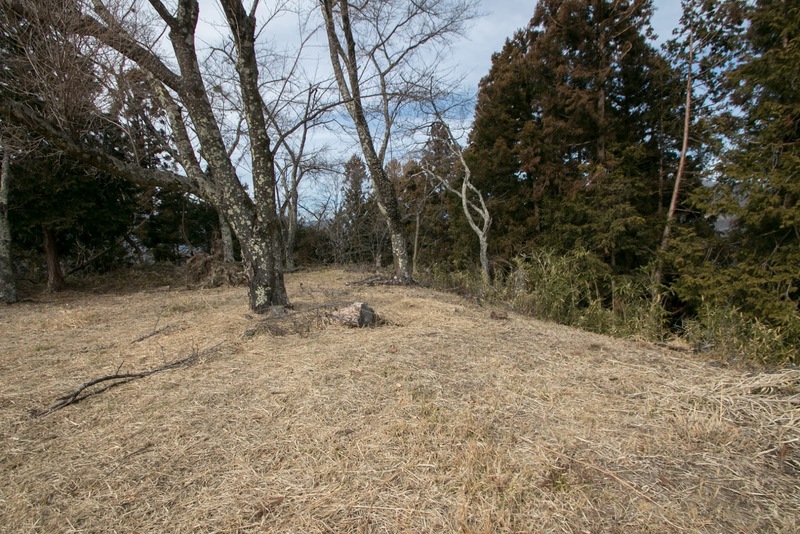 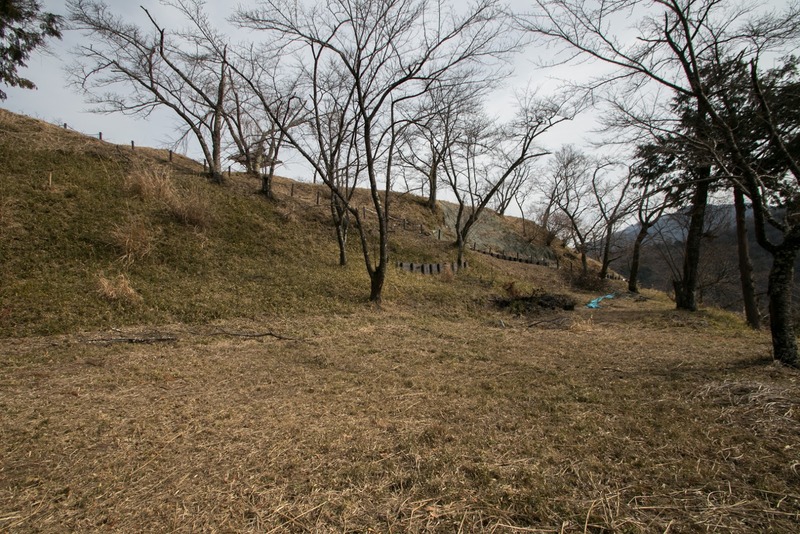 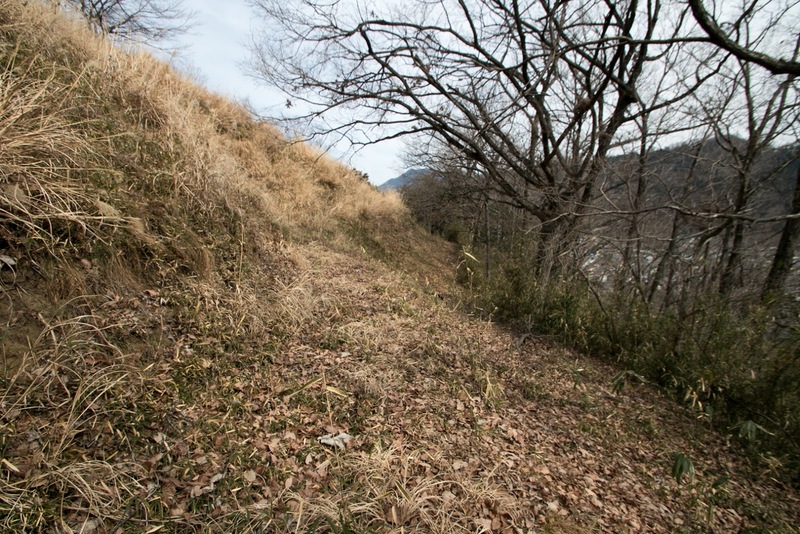 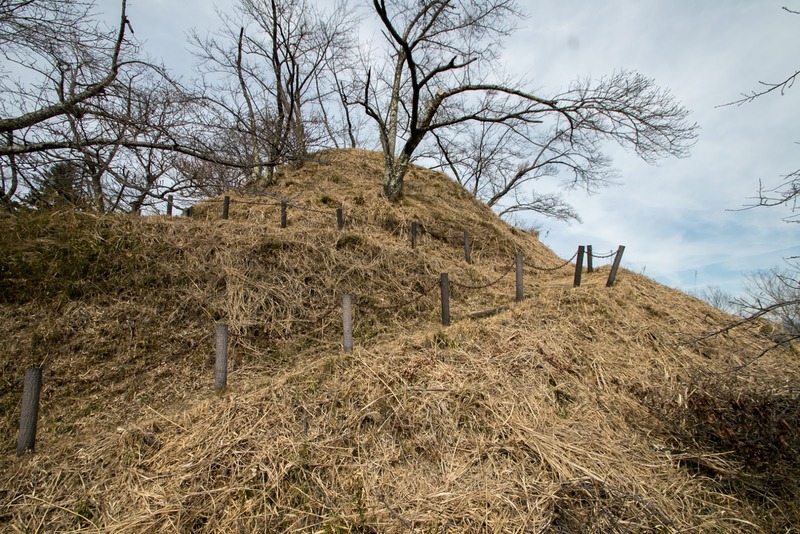 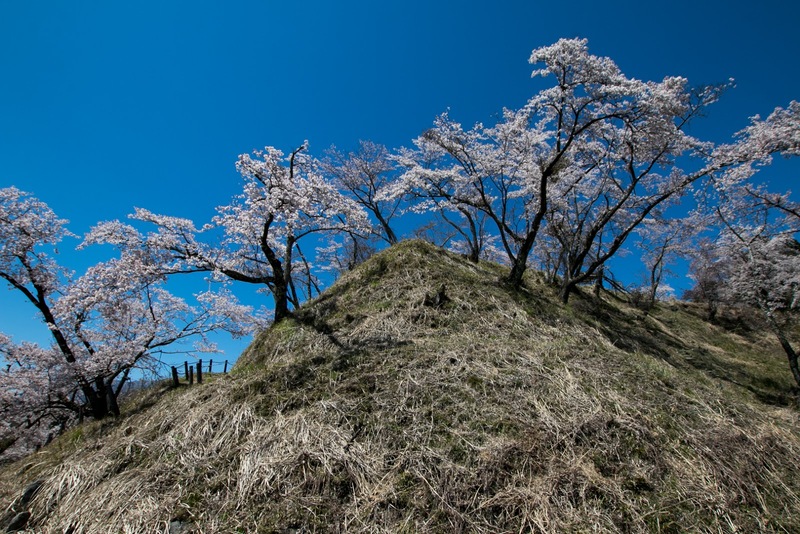 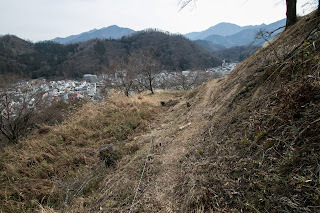 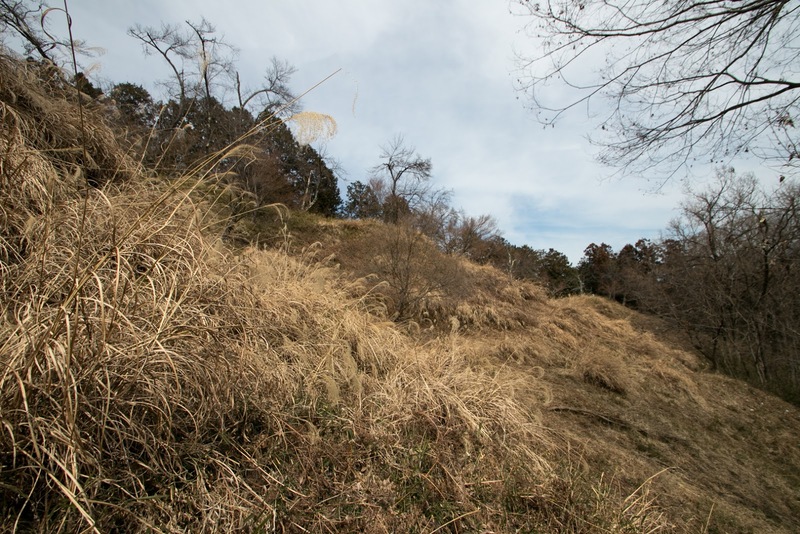 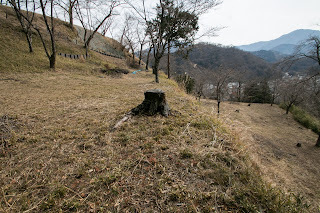 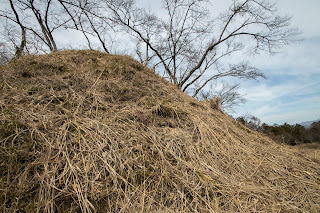 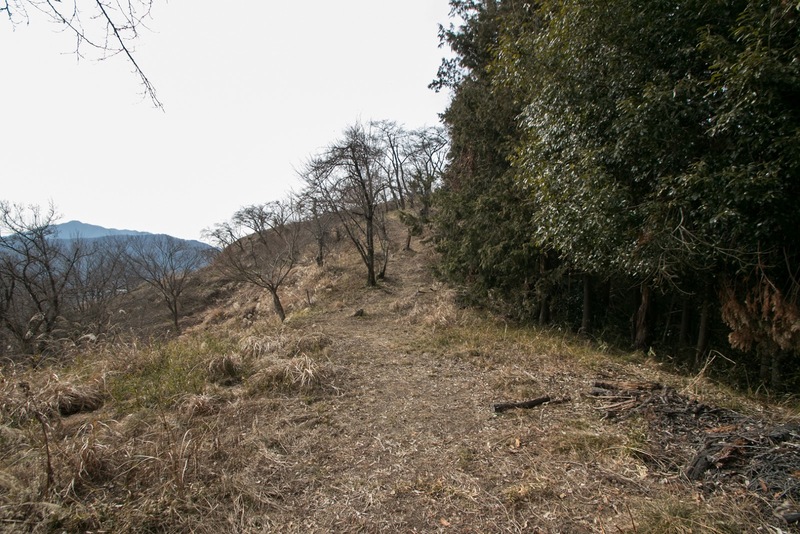 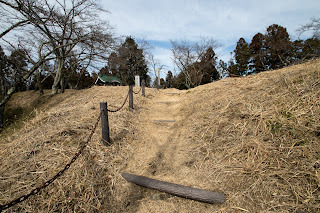 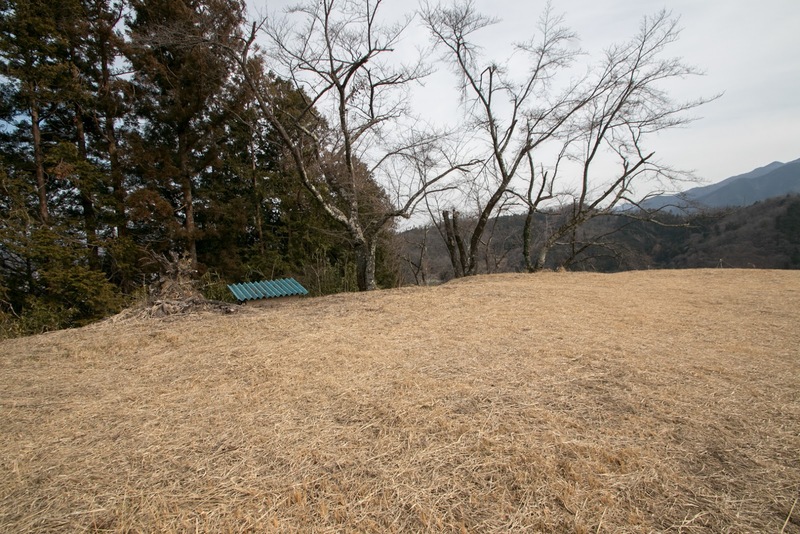 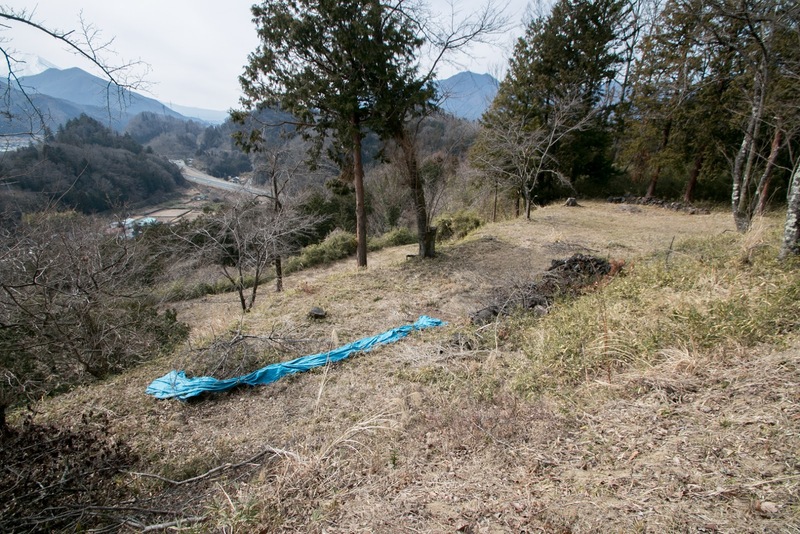 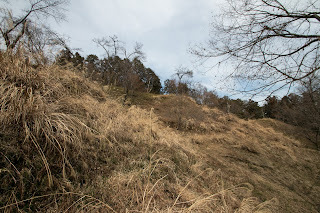 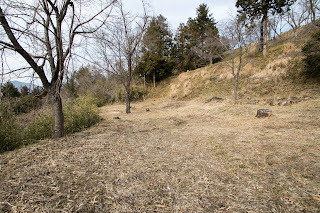 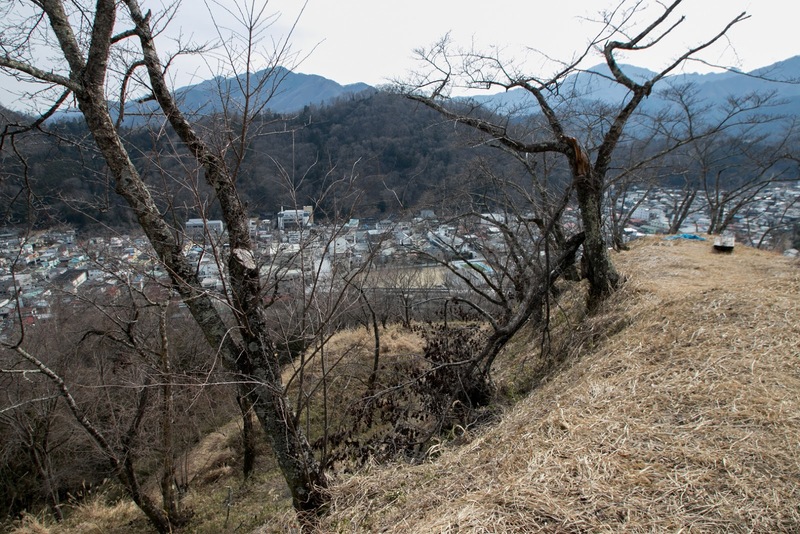 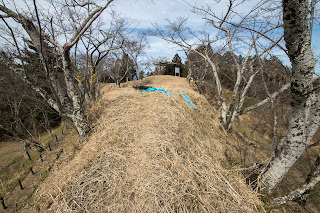 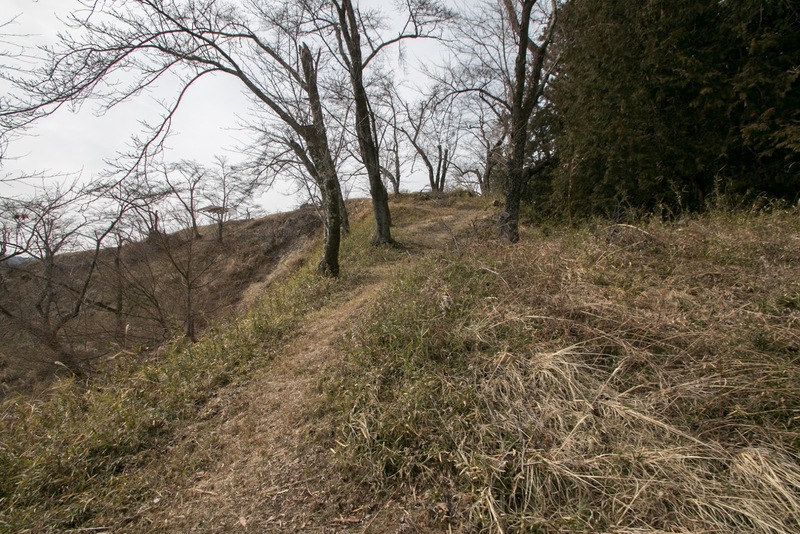 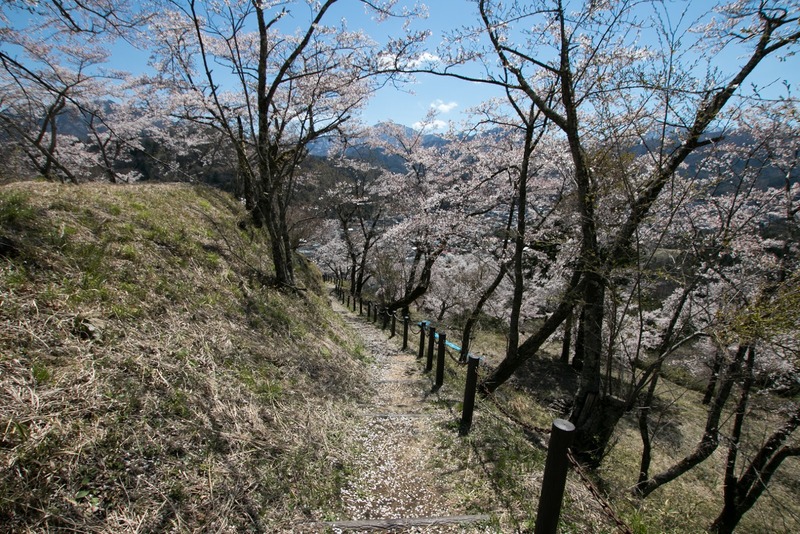 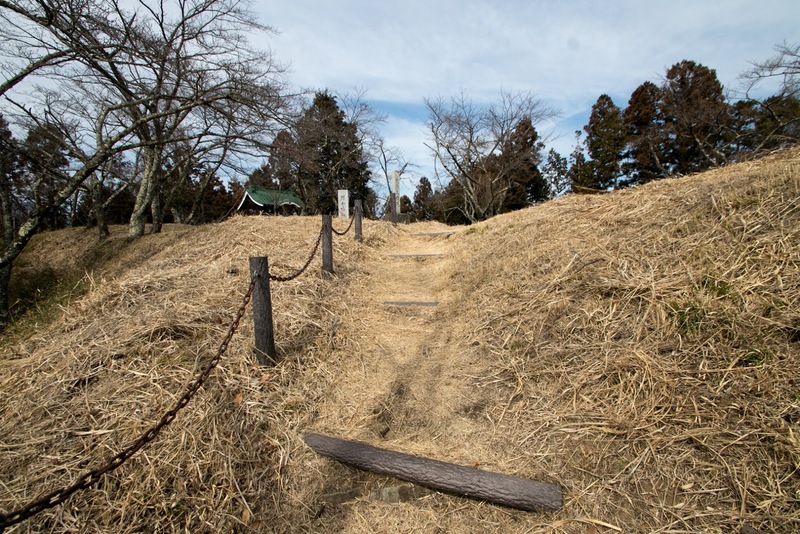 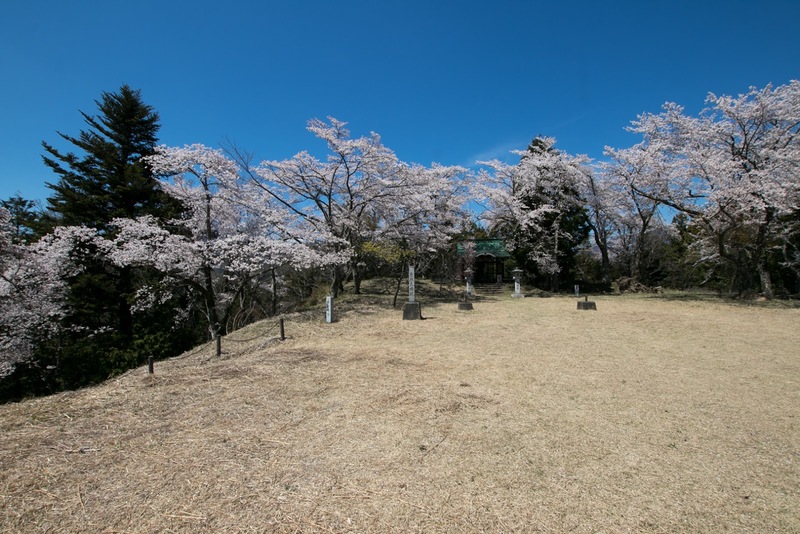 Although the size of inner part is only about 100 meter long square, total size of the castle including ridges and outer dry moat is about 500 meter square and equivalent to Kofu castle which was a main base of Asano clan. This shows importance of Katsuyama castle as a front fort against Tokugawa clan. 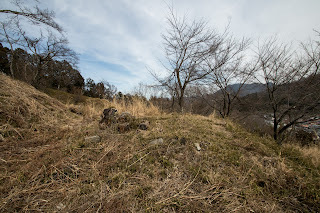 After the death of Hideyoshi in 1598, conflict between Ieyasu and Mitsunari Ishida (1560-1600), the chief magistrate of Hideyoshi for next hegemony occurred. 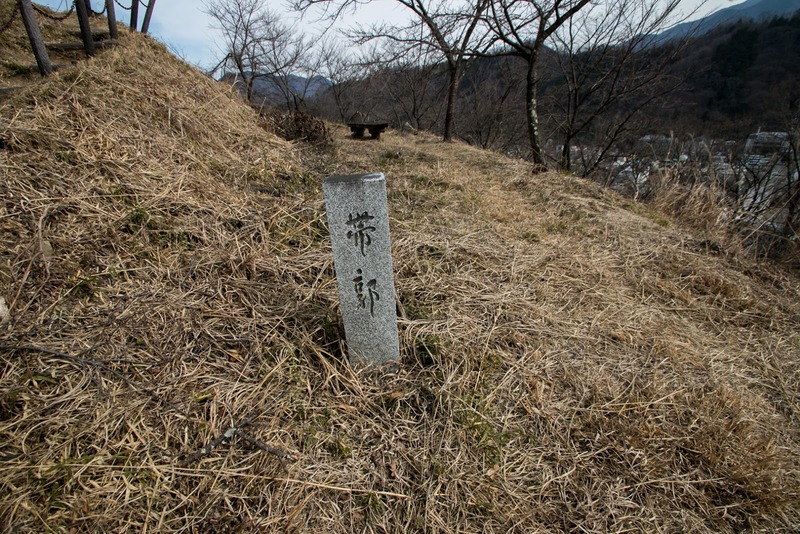 Nagamasa and his son Yukinaga Asano (1576-1613) belonged to Ieyasu and activated at decisive battle of Sekigahara in 1600. 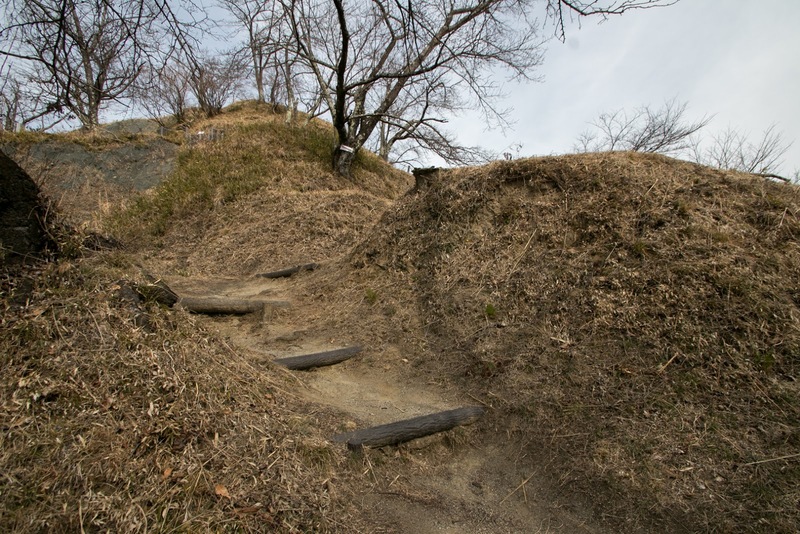 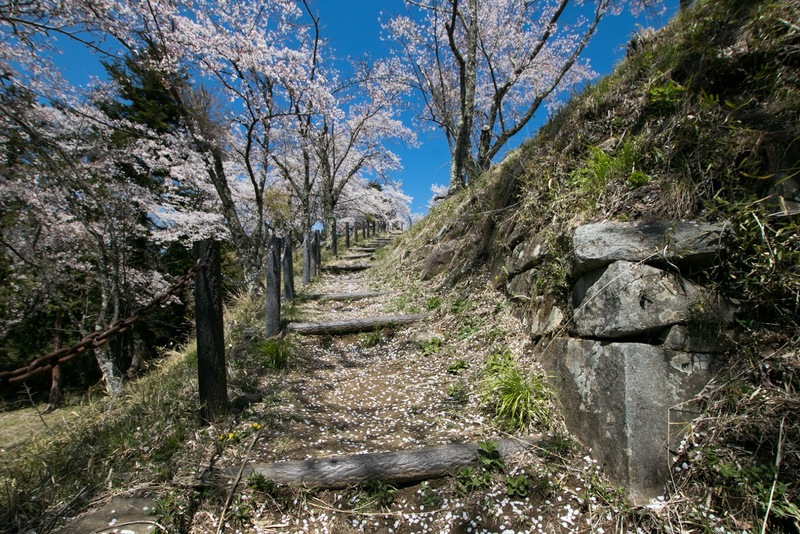 After the battle, Yukinaga Asano moved to the lord of Wakayama castle with larger territory. 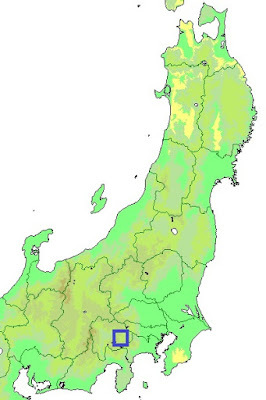 After Asano clan, most part of Kai province became the direct territory of Edo Shogunate the relatives of Ieyasu was nominally assigned as the lord. 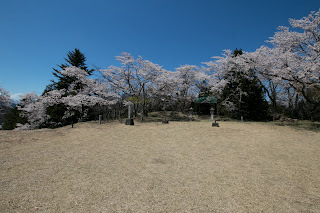 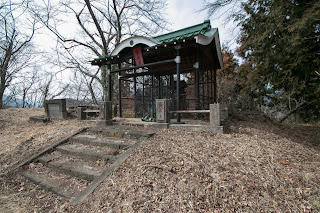 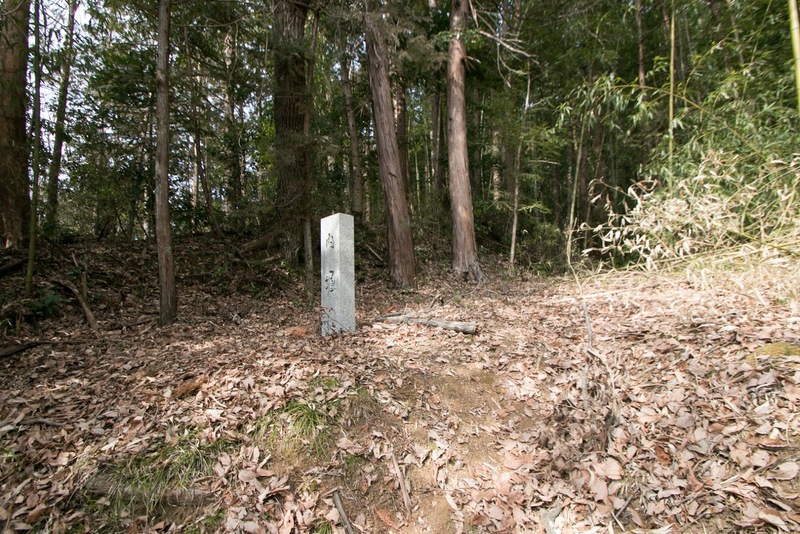 But Gunnai area was given to Naritsugu Torii (1570-1631), the son of Mototada who died at the battle of Fushimi castle, then became Yamura domain. 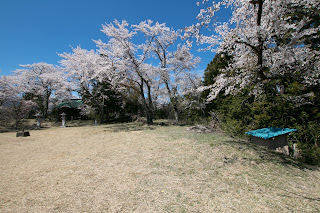 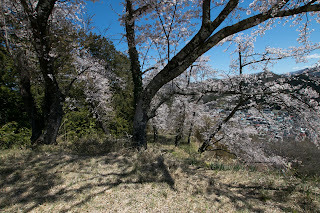 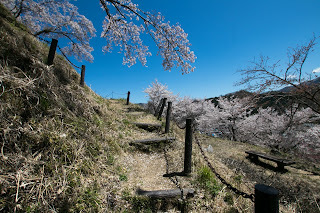 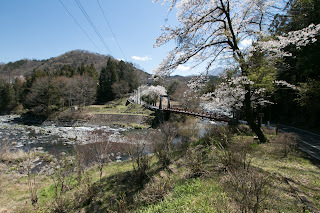 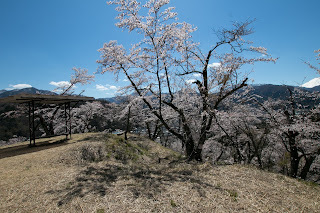 Torii clan lived at Yamura residence and reformed it into a small castle, but Katsuyama castle was also kept and connected by bridge to Yamura castle. 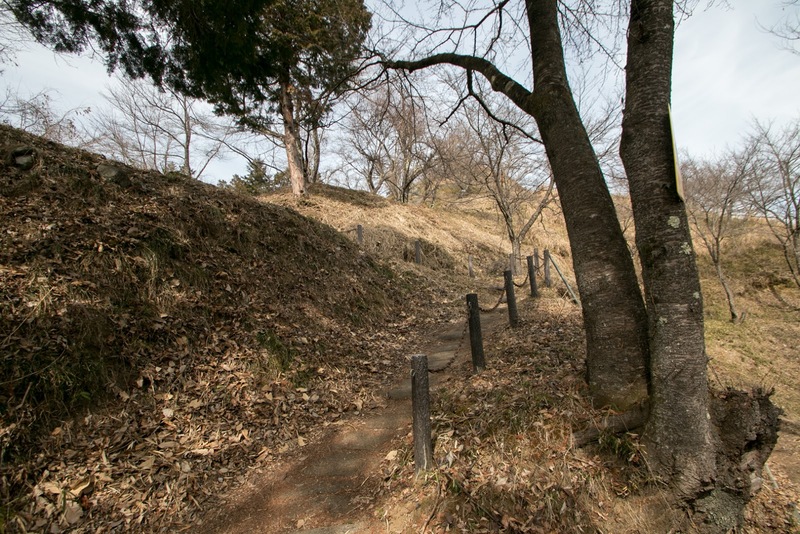 Torii clan held Katsuyama castle by 1631 but was involved in political conflict then expelled, then Akimoto clan became the lord. 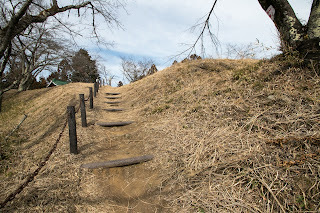 But in 1704 Akimoto clan moved to Kawagoe castle (Saitama prefecture), then Gunnai area also became a direct territory of Edo Shogunate and Katsuyama castle was abolished. 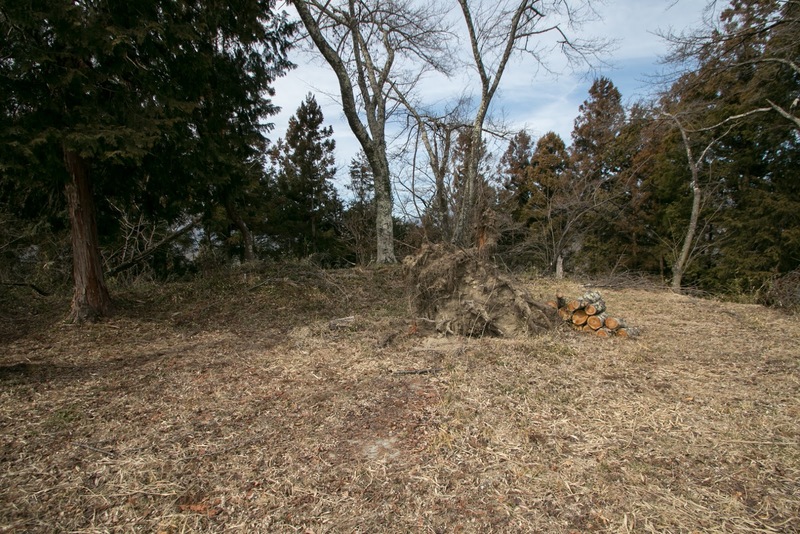 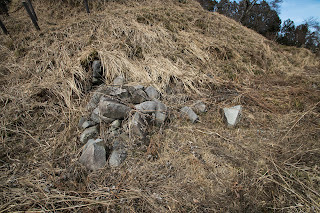 Now all building is lost but structure of the castle well remains over the hill along with slightly remaining stone walls. 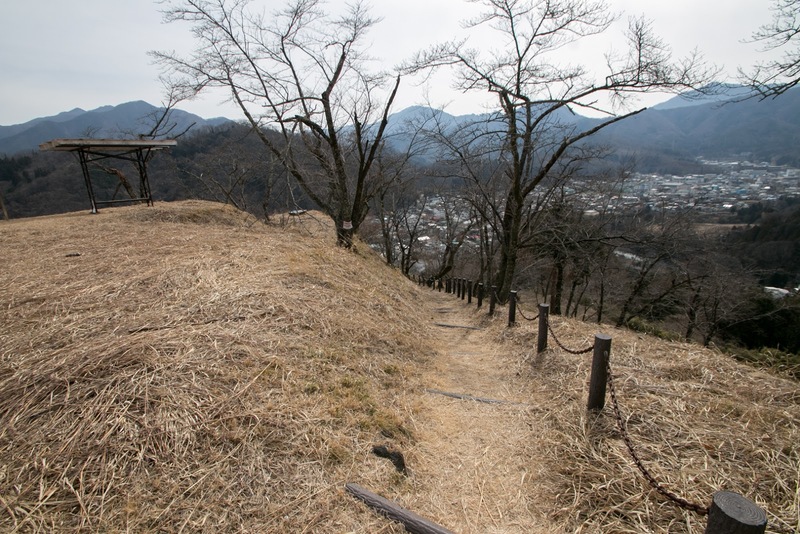 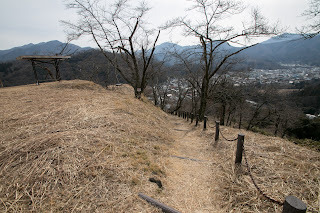 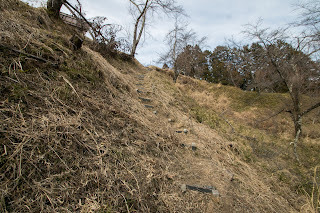 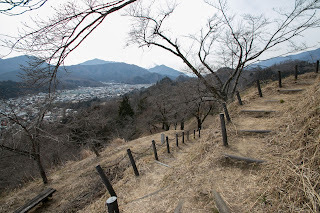 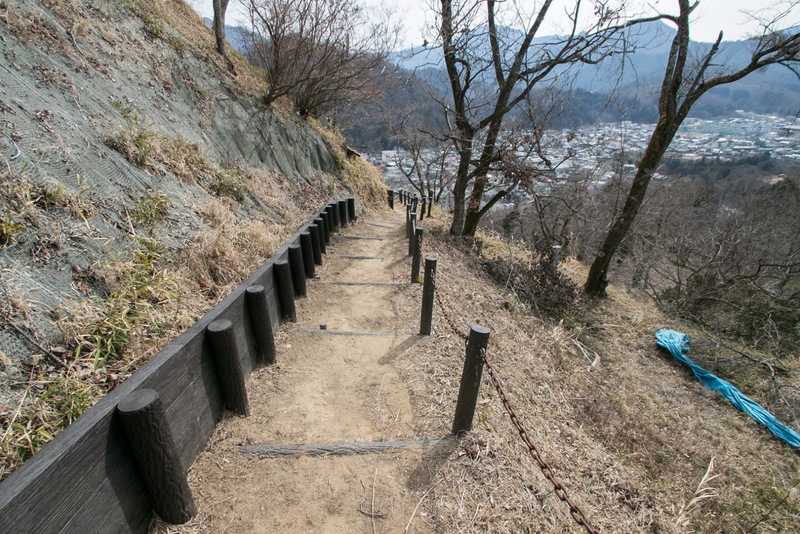 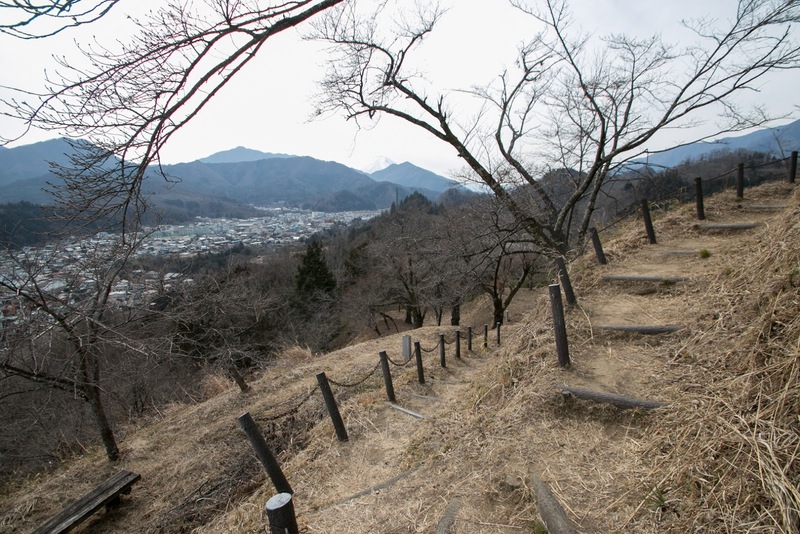 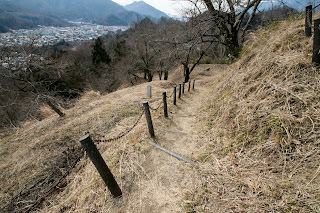 Straight lined terraces built by heavy constructions is clearly the one of modern castle, only seen in Kofu castle and Katsuyama castle in Kai province. 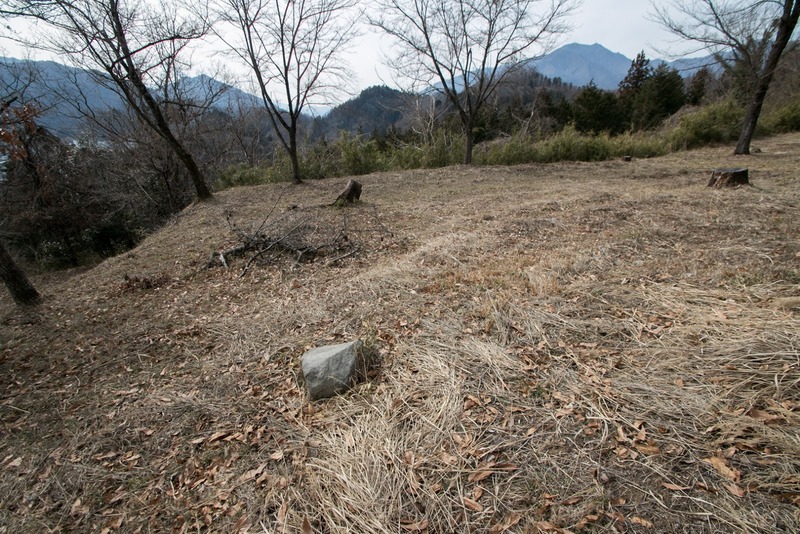 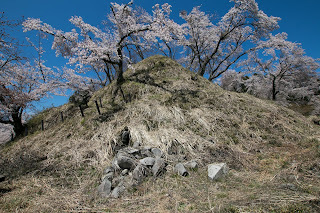 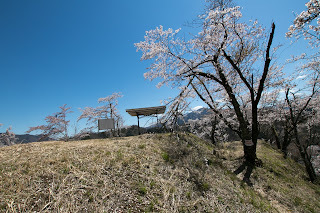 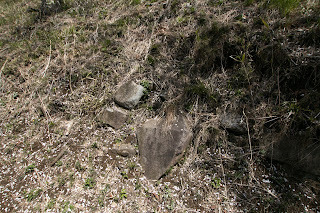 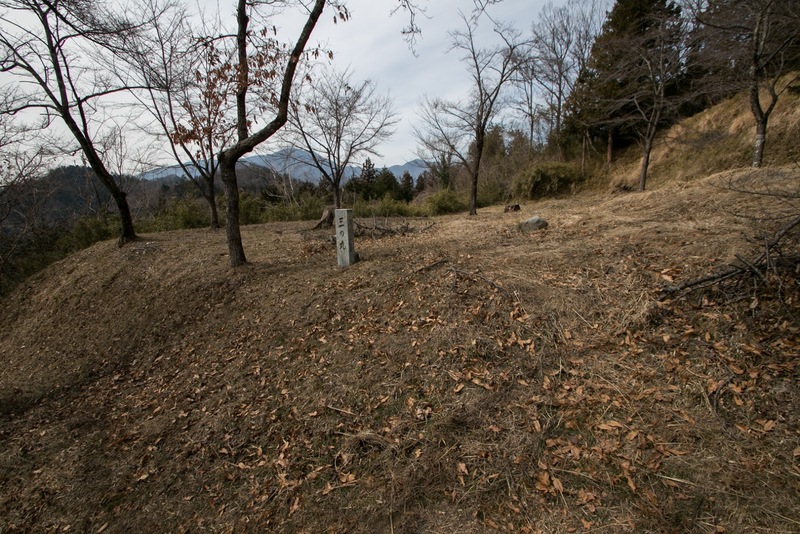 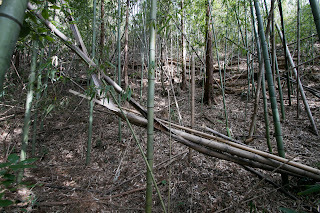 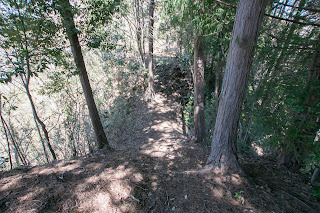 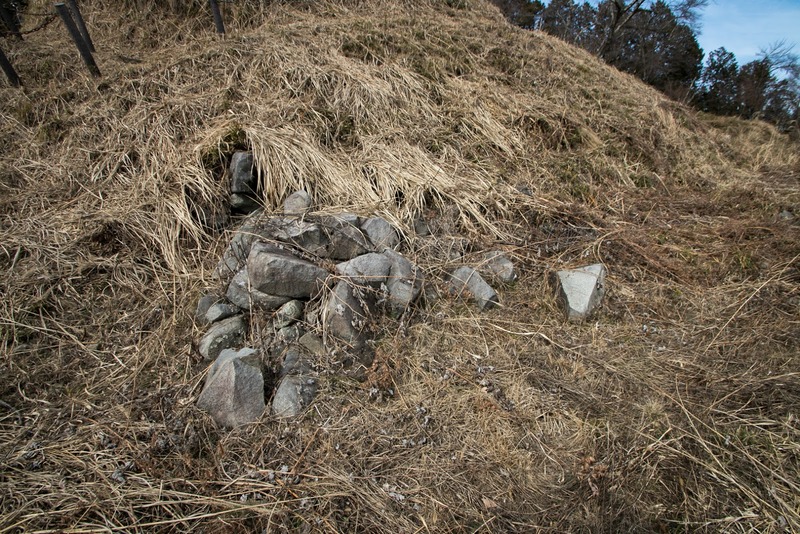 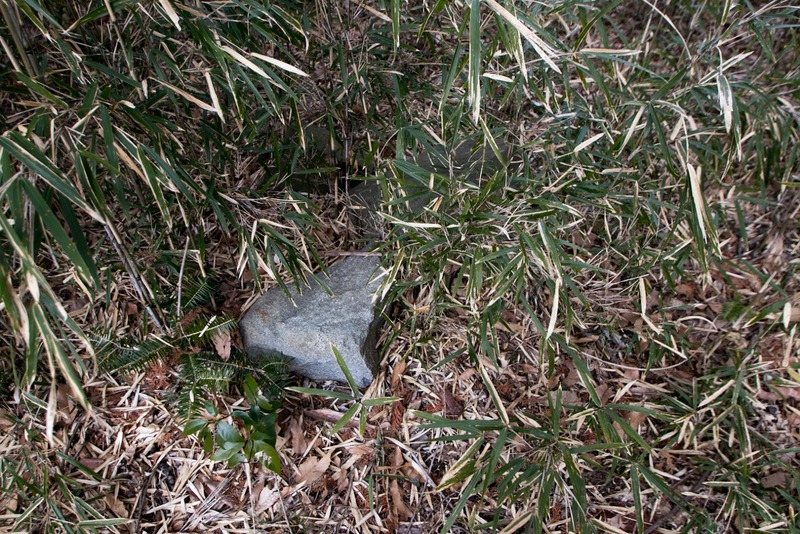 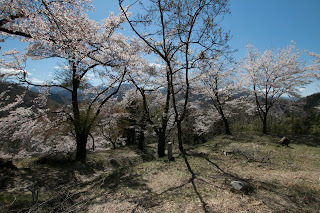 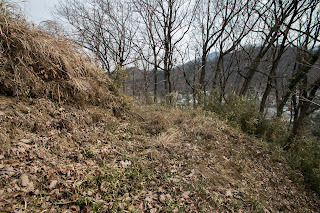 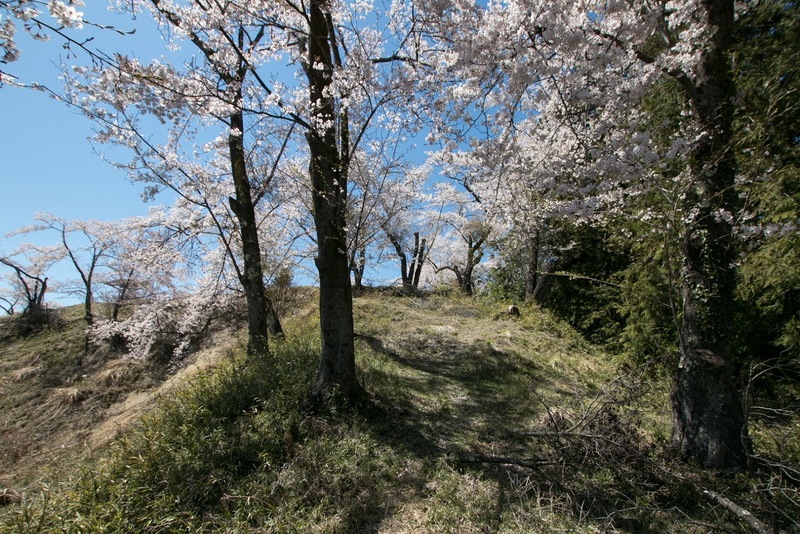 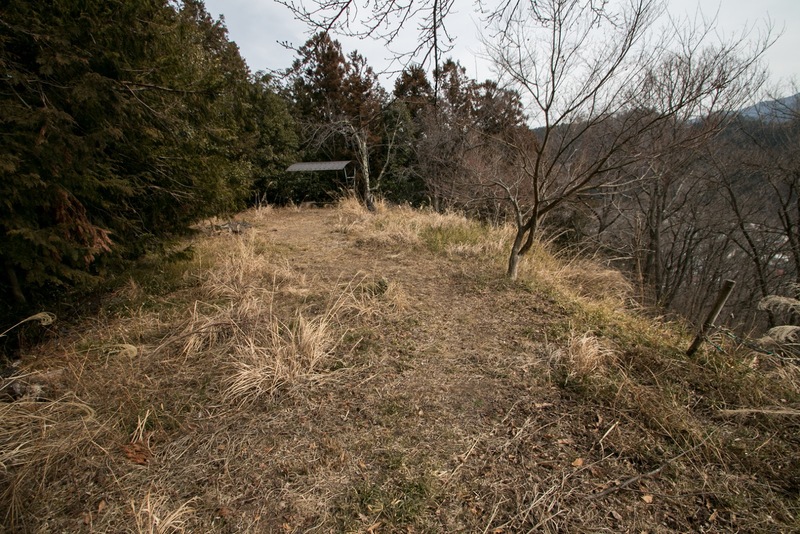 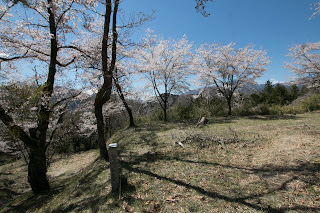 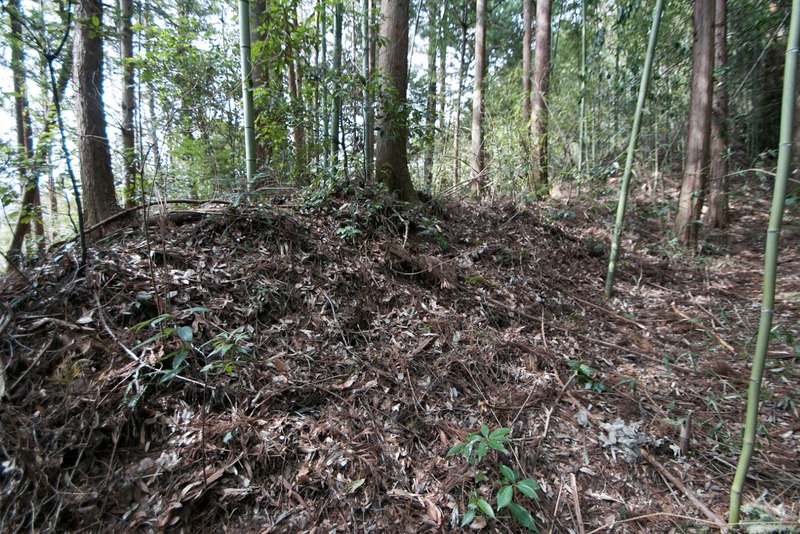 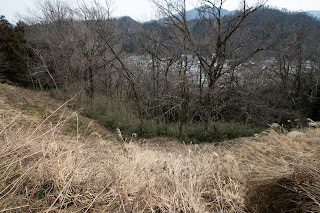 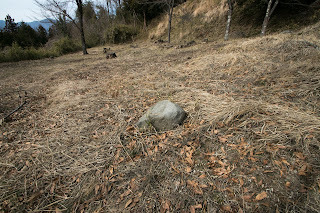 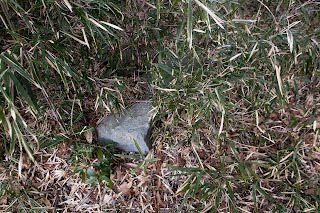 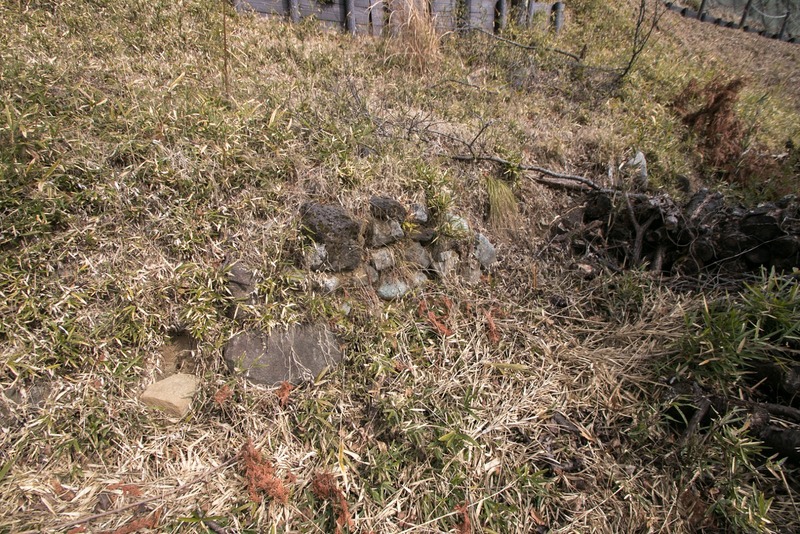 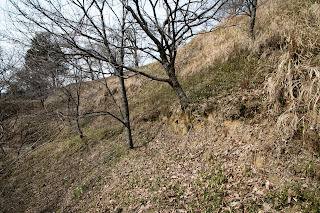 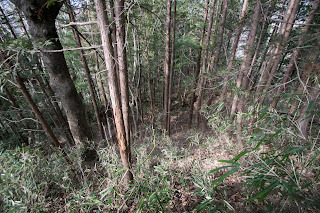 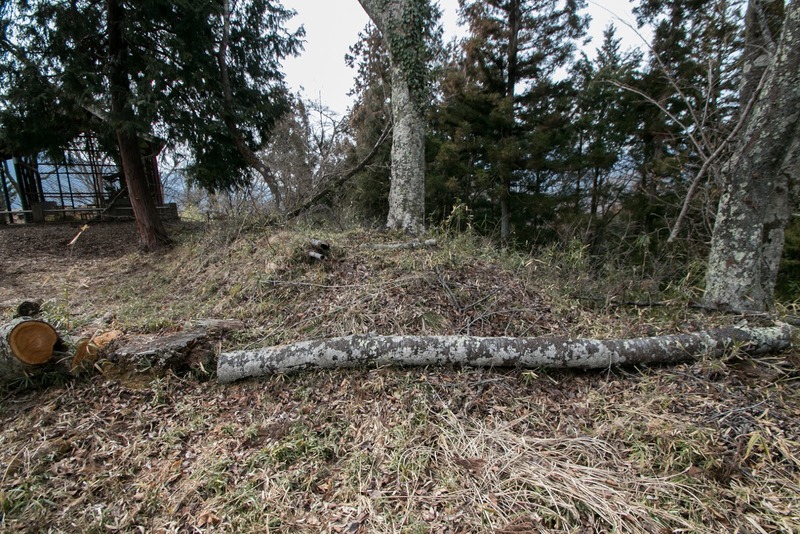 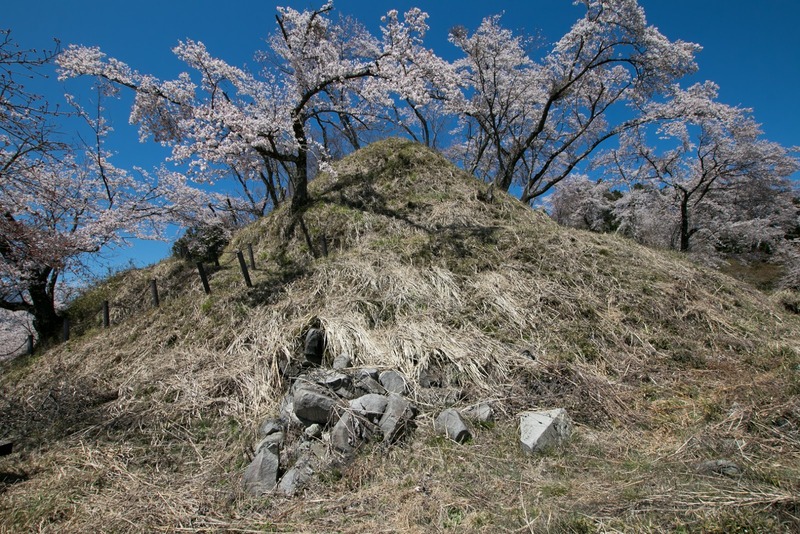 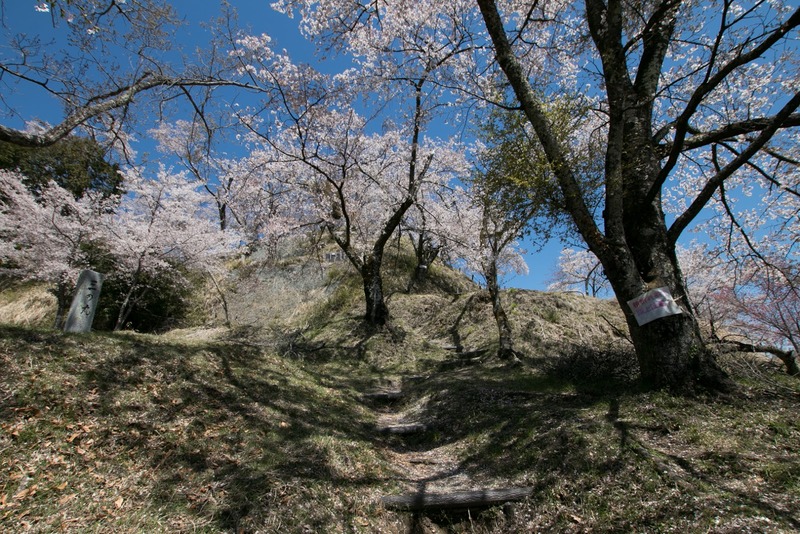 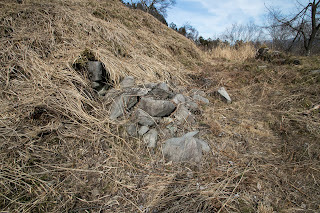 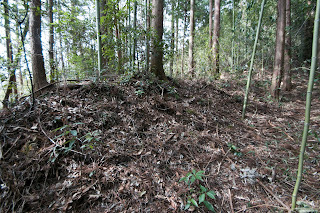 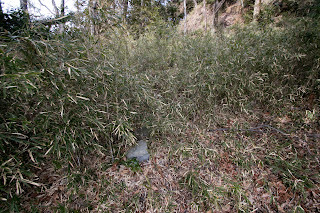 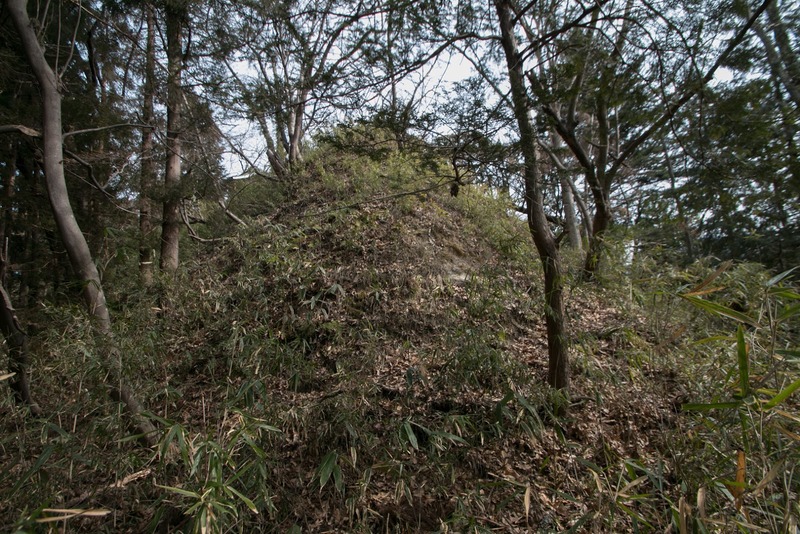 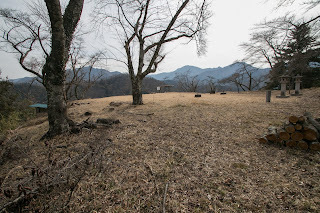 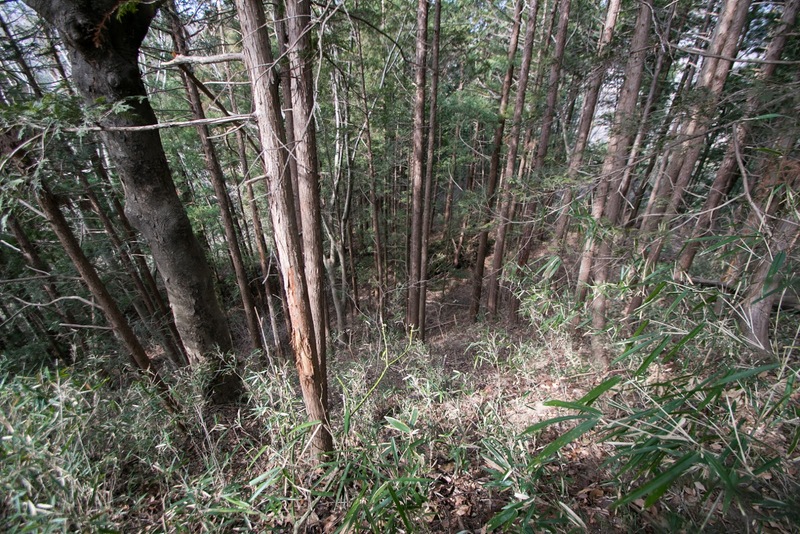 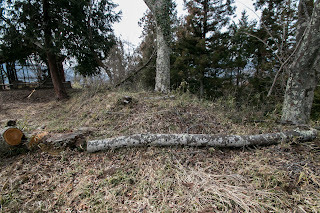 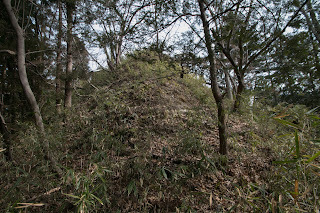 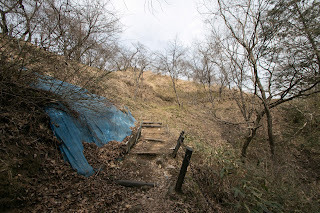 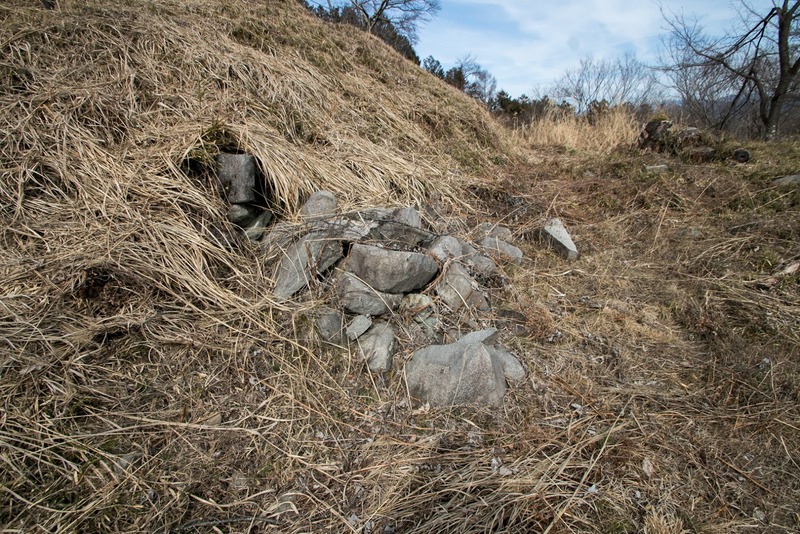 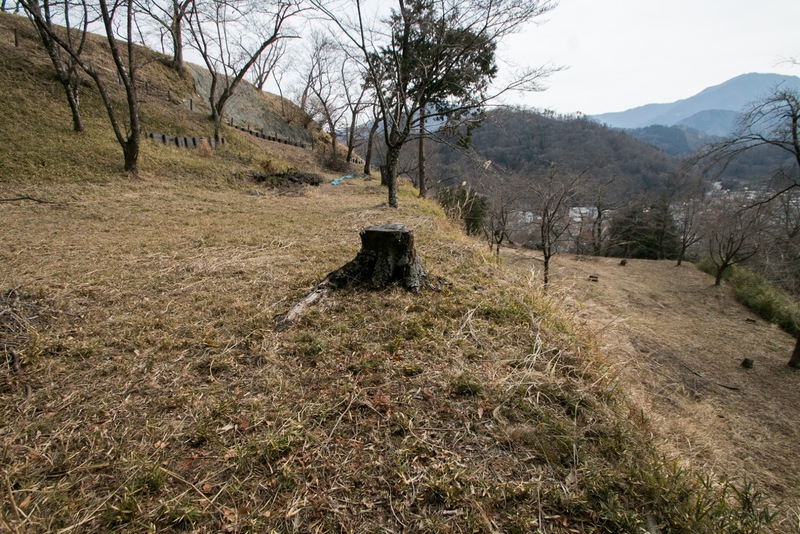 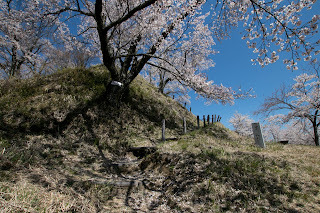 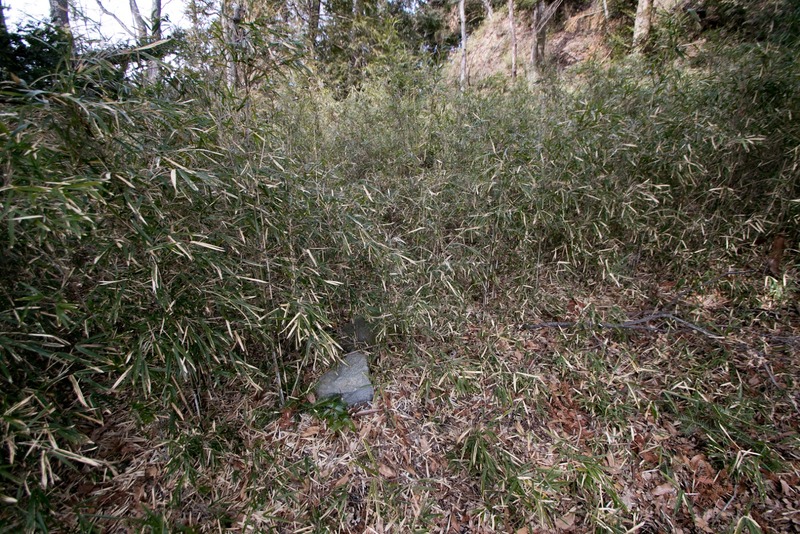 In Kai province, lords after Takeda clan did not use former castles and newly built their castles, then original shape of the castles of Takeda clan well remains. 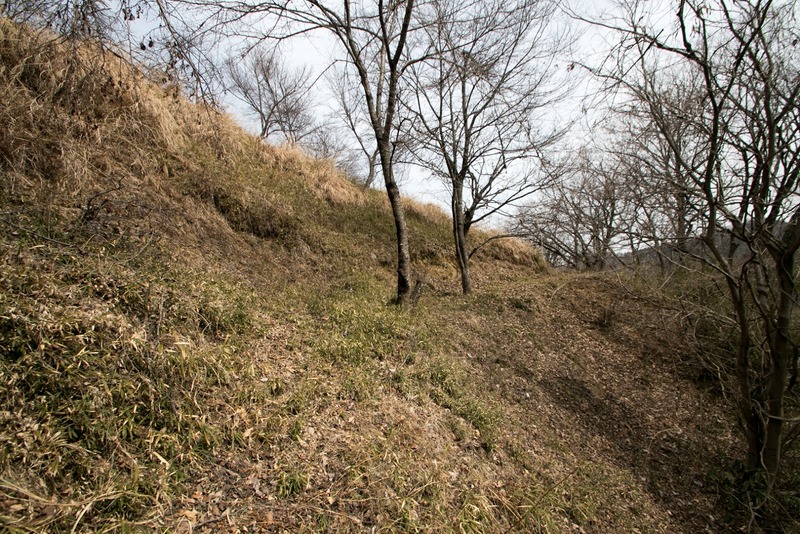 This difference of two type castles shows discontinuity of the Heroic Age of Takeda clan and early modern period after that. 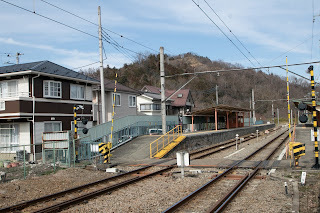 15 minutes walk from Fuji-Kyuko Otsuki line Yamuramachi station. 20 minutes drive from Chuo Jidoshado Fuji-Yoshida route Tsuru interchange to hillside parking.